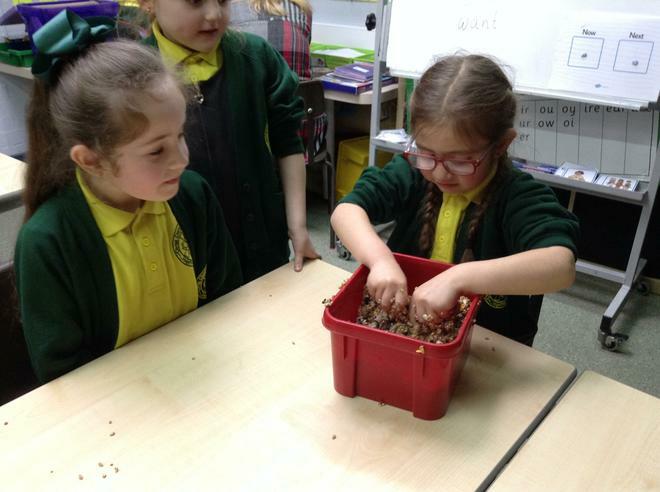 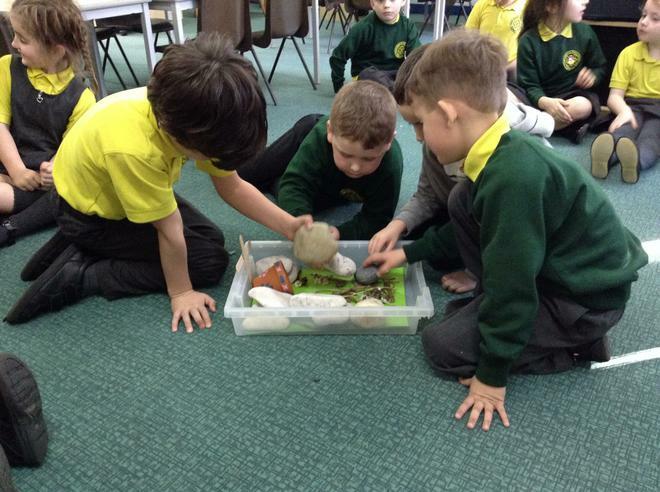 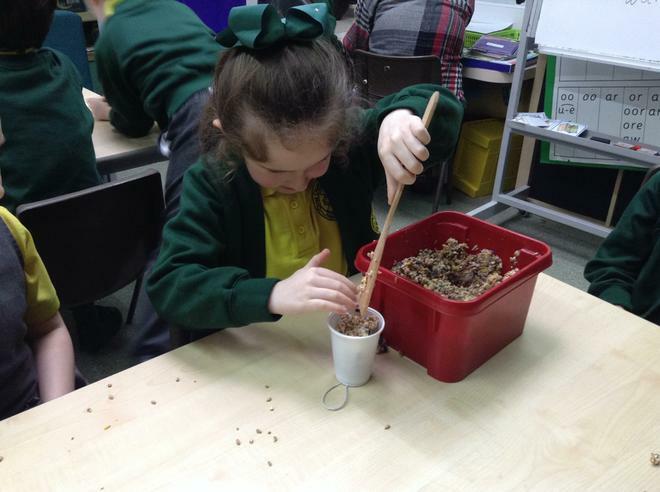 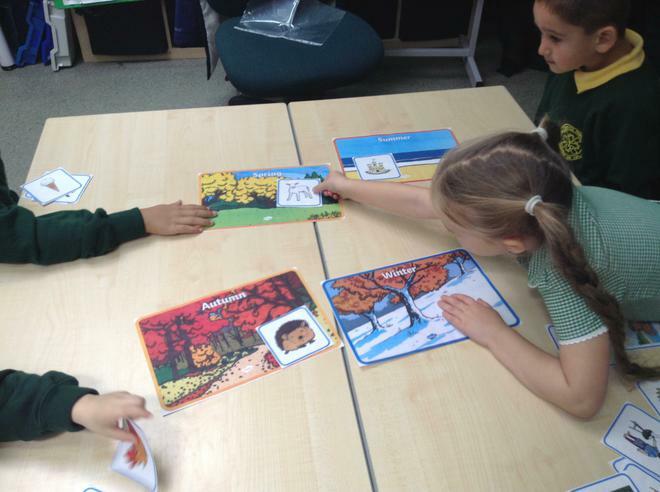 During our Science lessons this term, we will continue to observe the changes that occur across the four seasons. 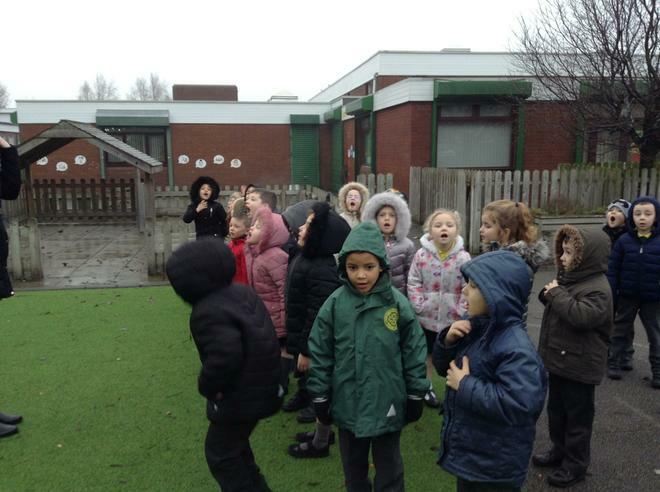 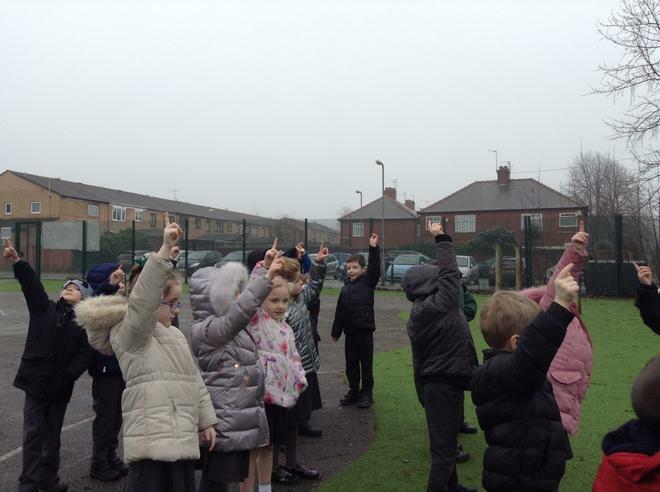 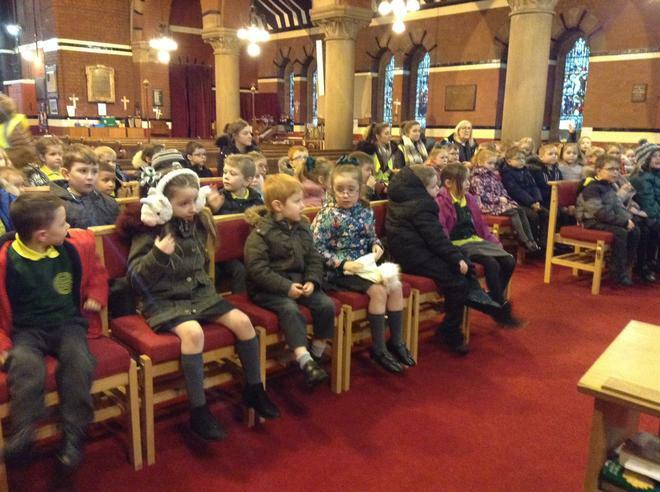 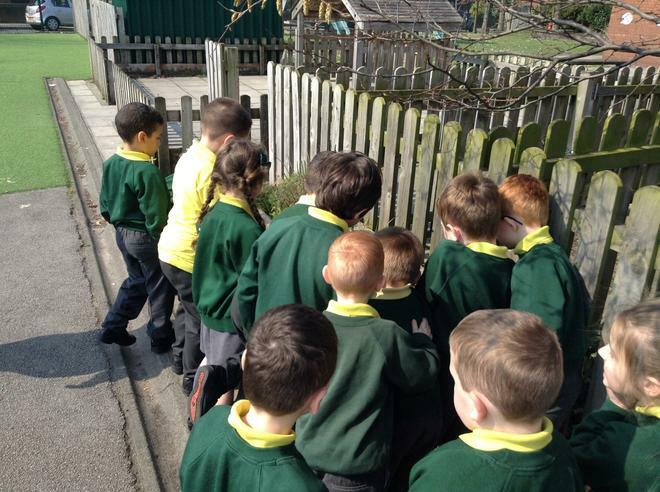 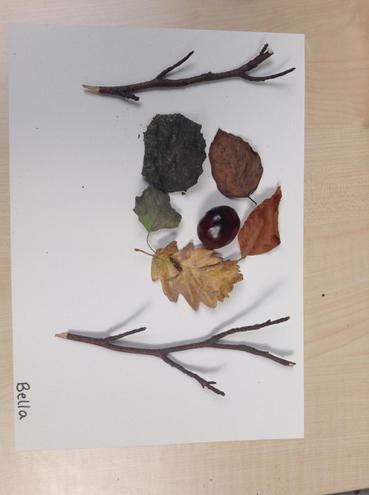 We will go on a winter walk around our school to observe the different signs of winter that we can see. 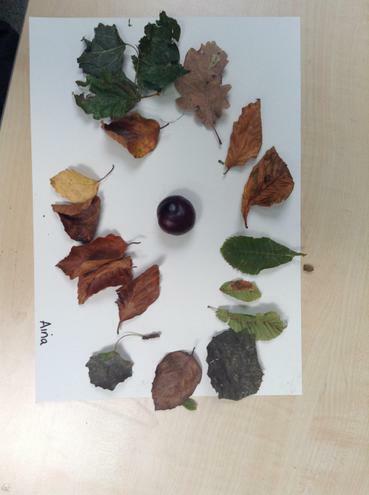 We will then compare these to the signs of autumn that we previously observed last season. 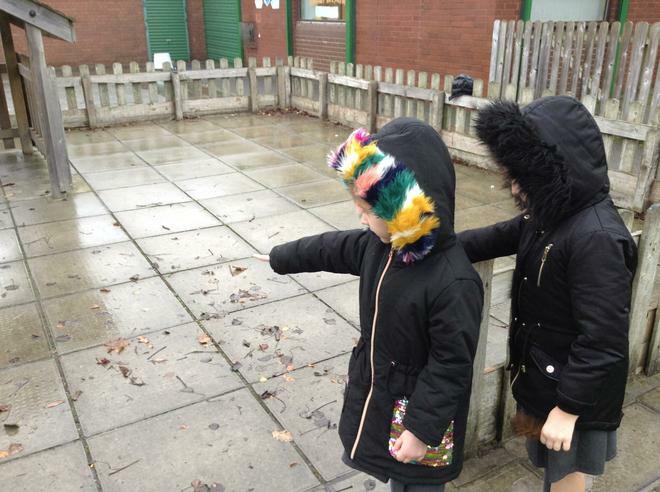 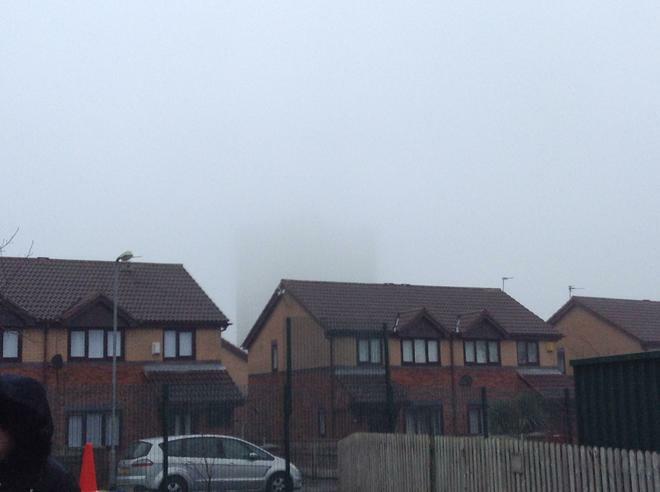 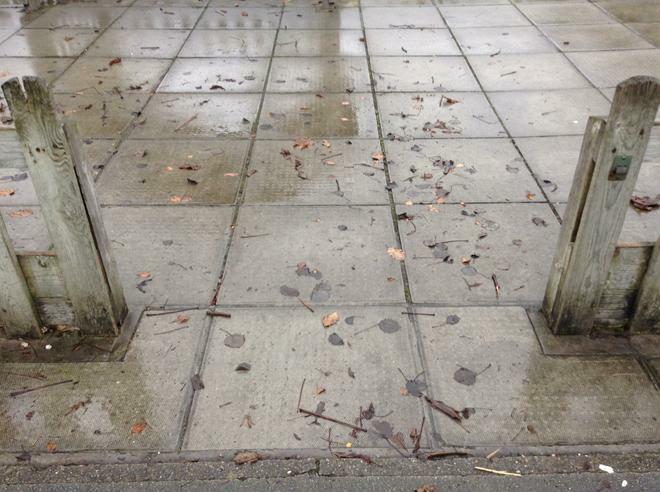 We will also be setting up our own experiment to measure the rainfall and temperature across the different seasons. 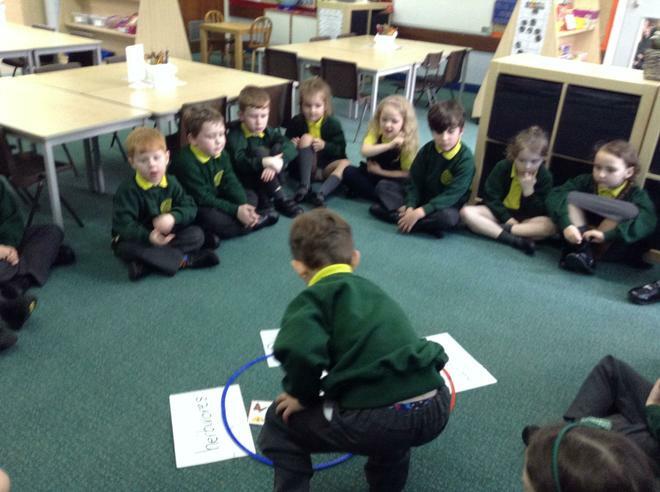 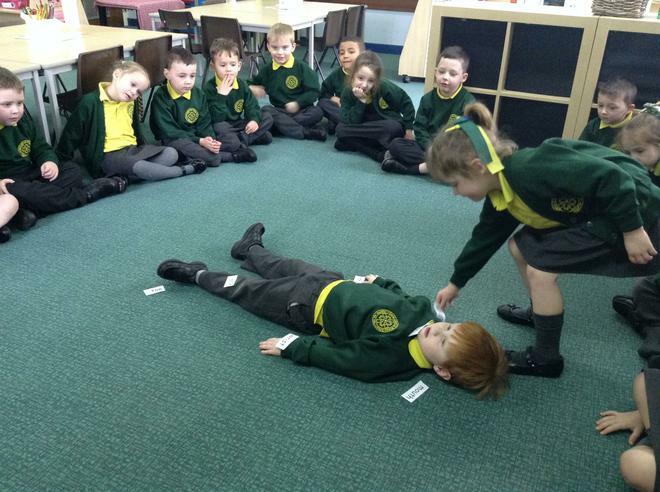 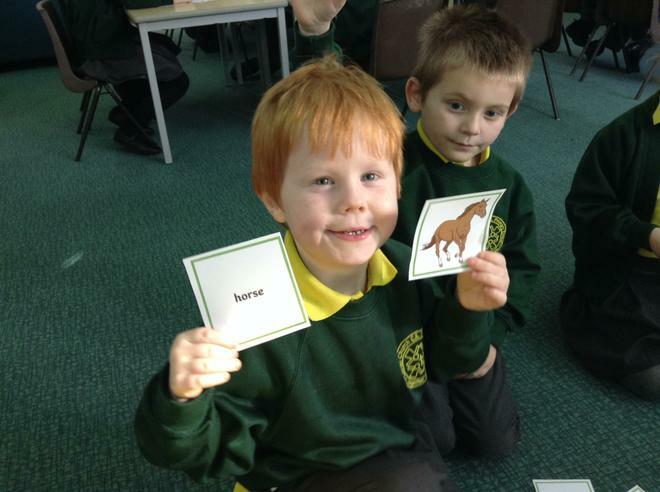 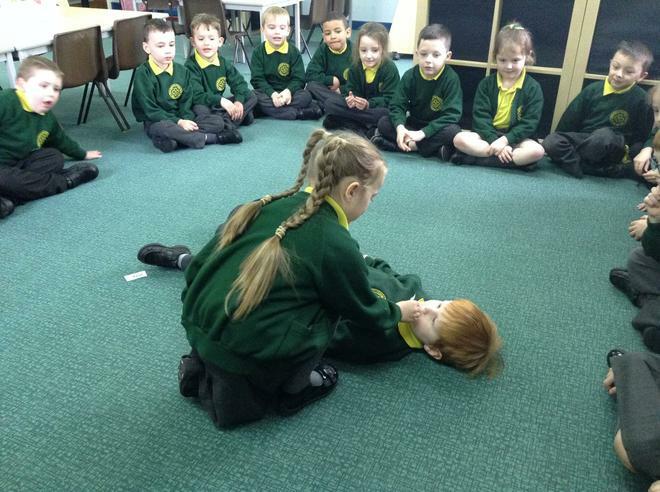 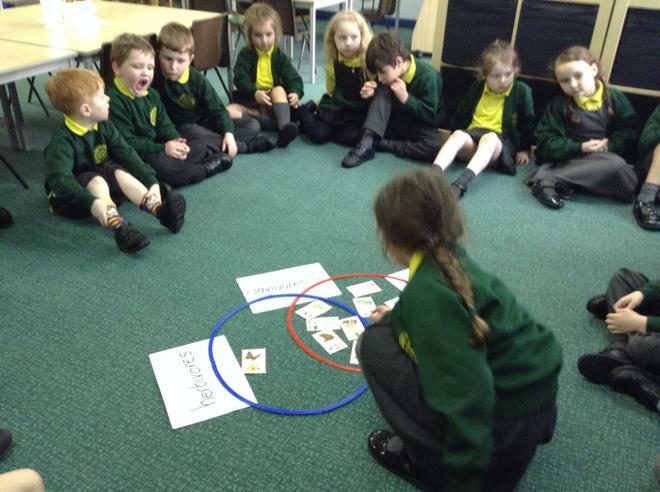 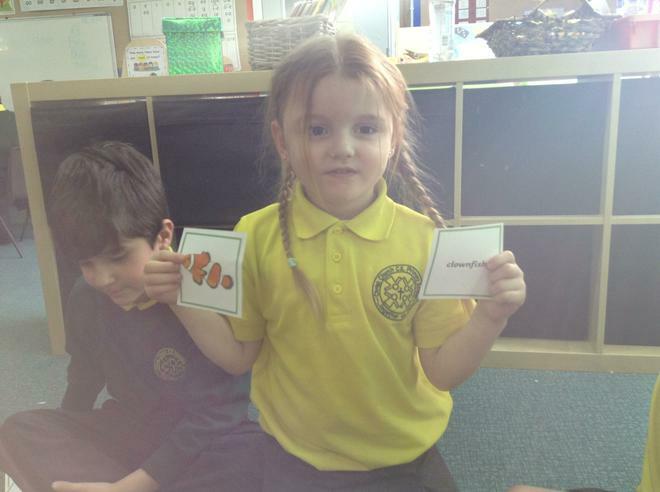 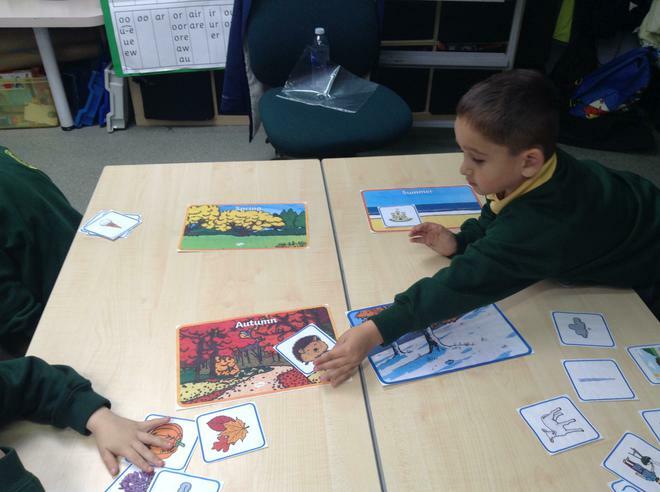 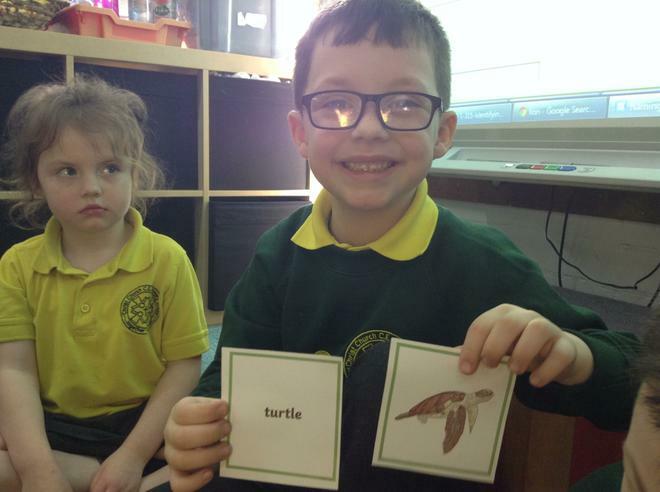 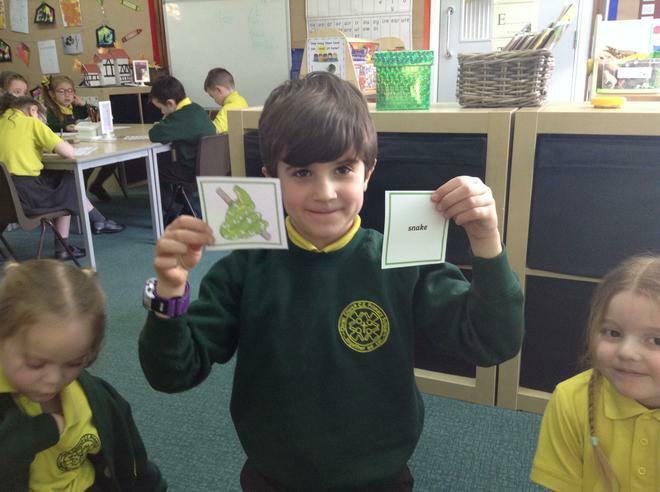 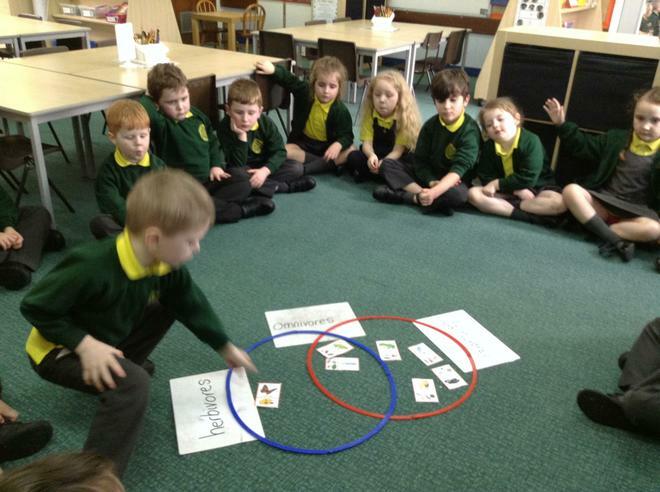 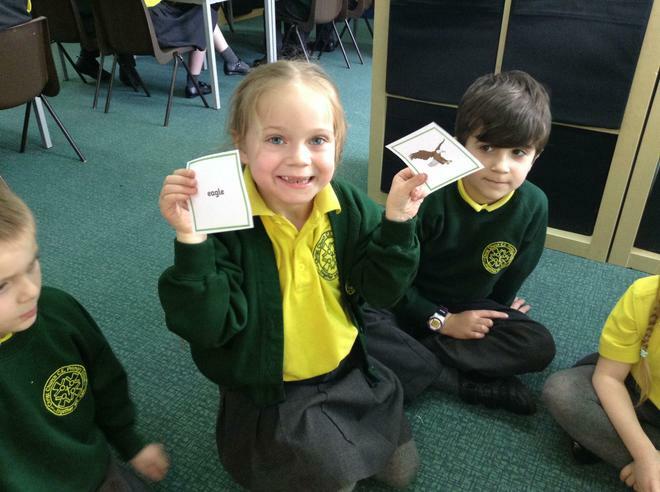 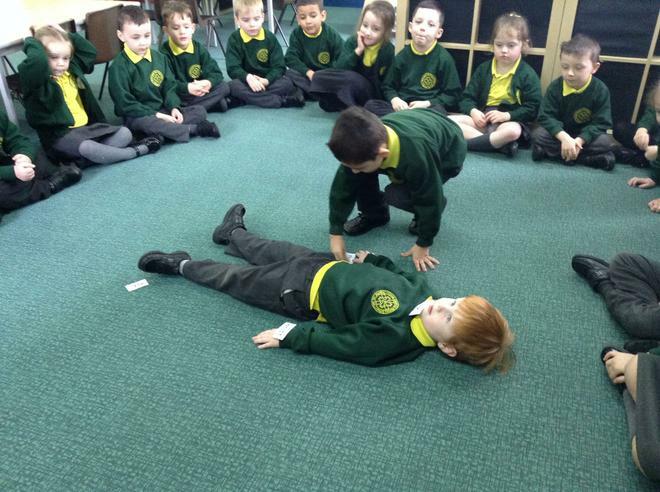 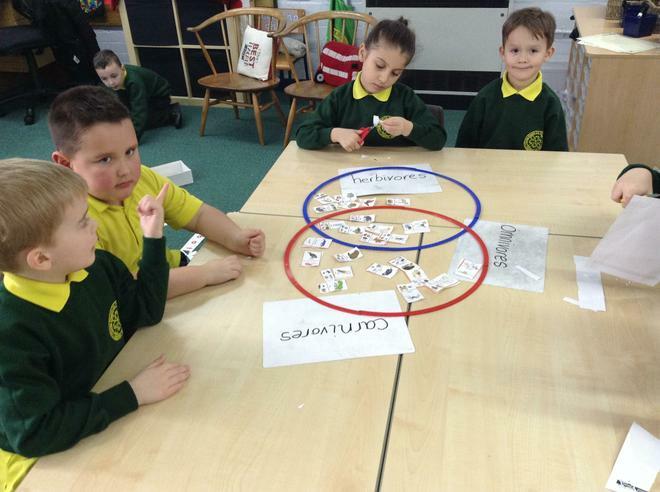 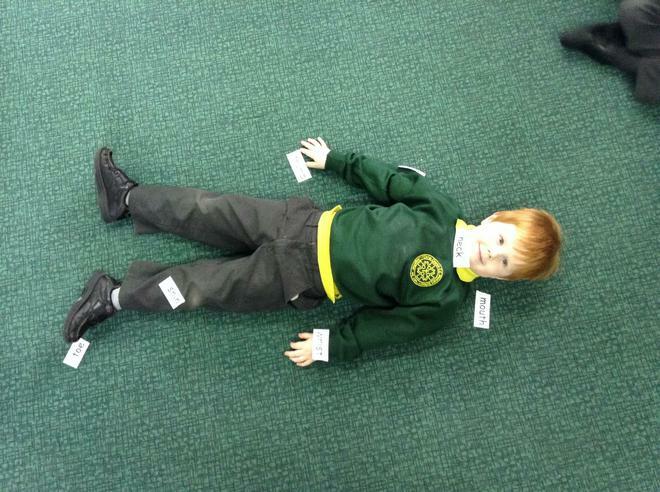 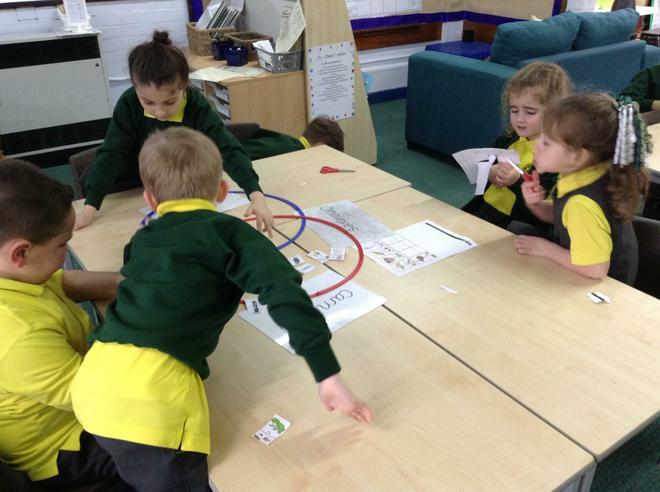 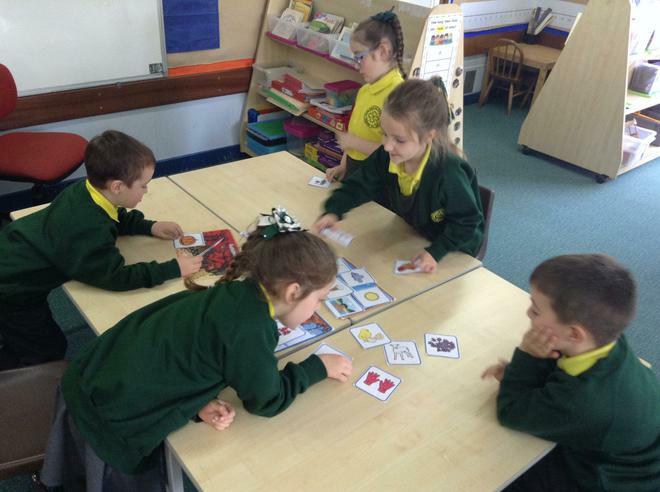 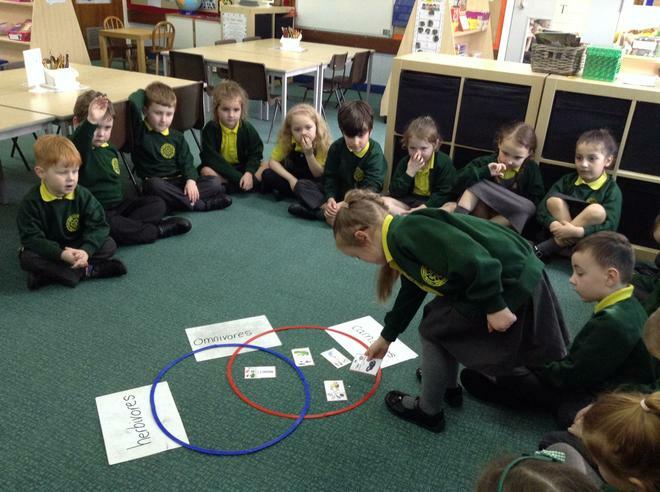 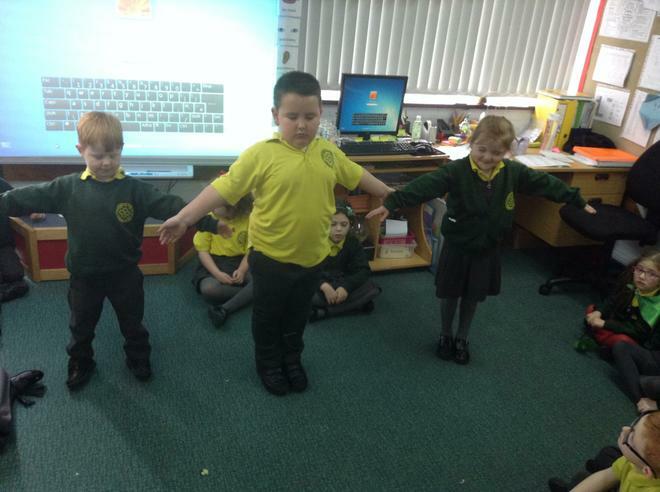 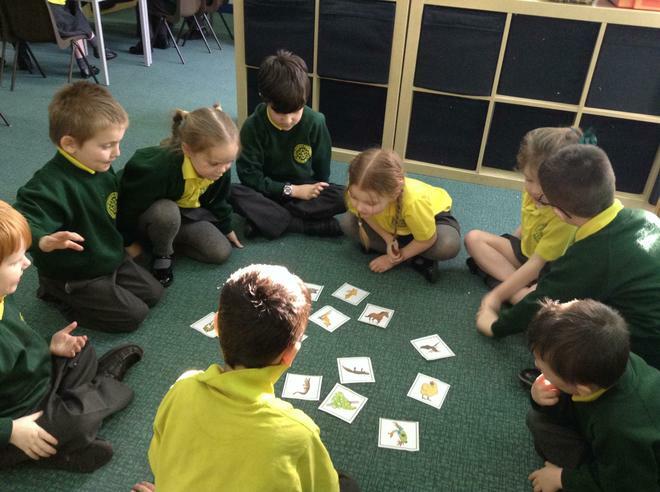 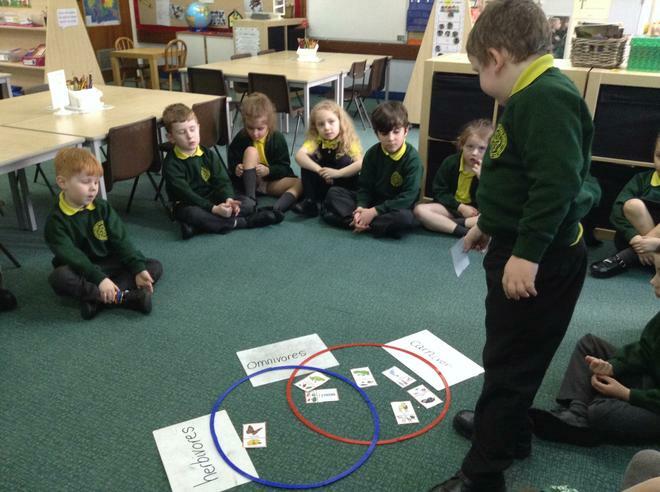 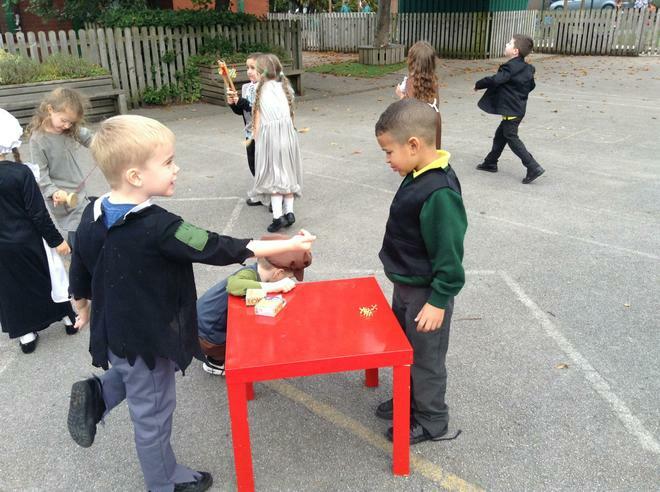 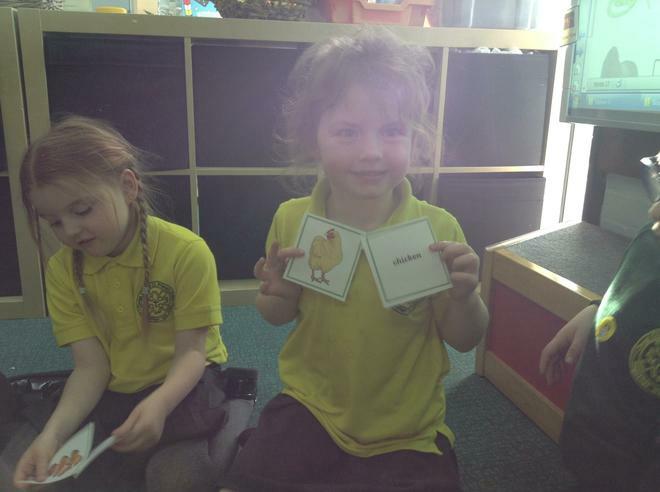 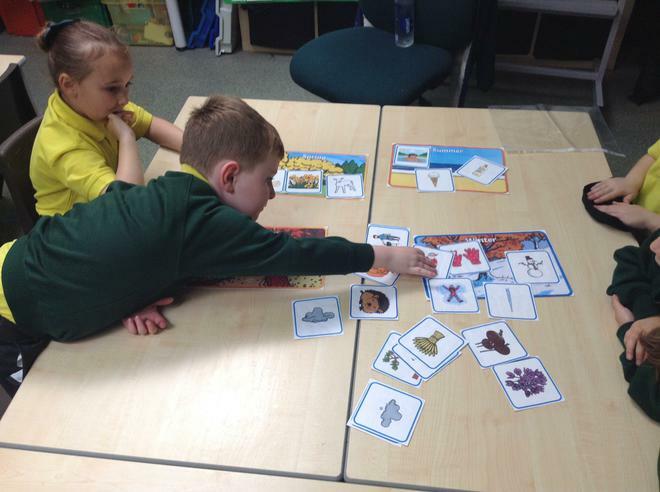 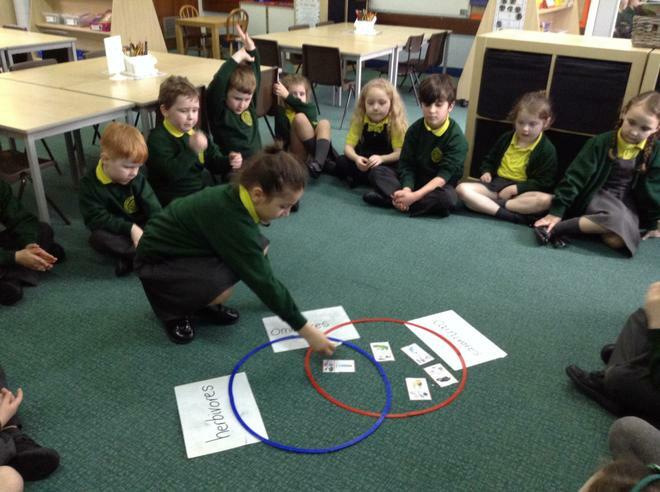 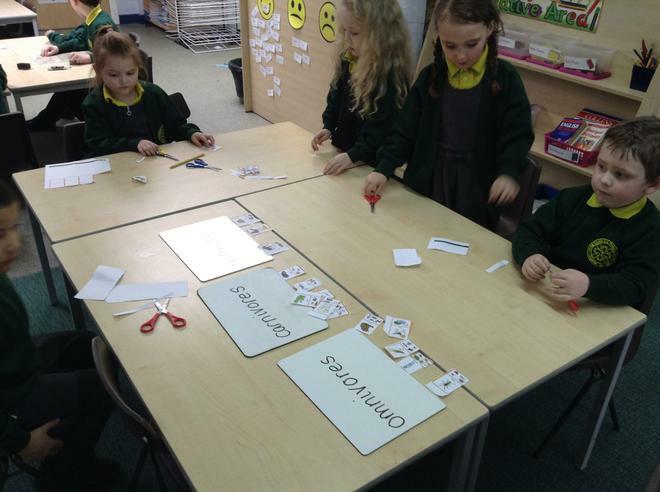 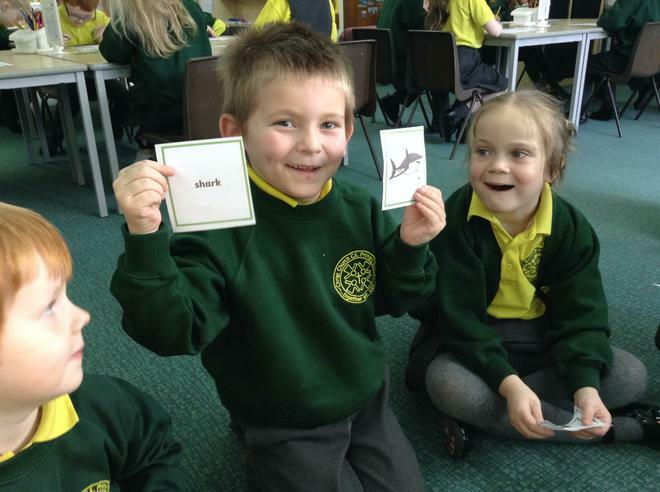 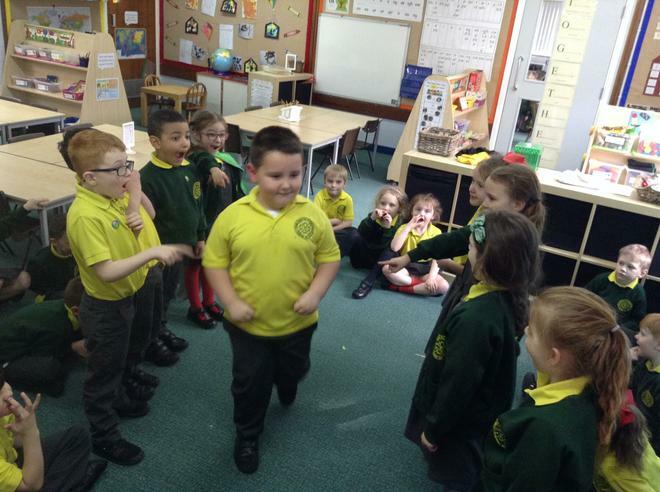 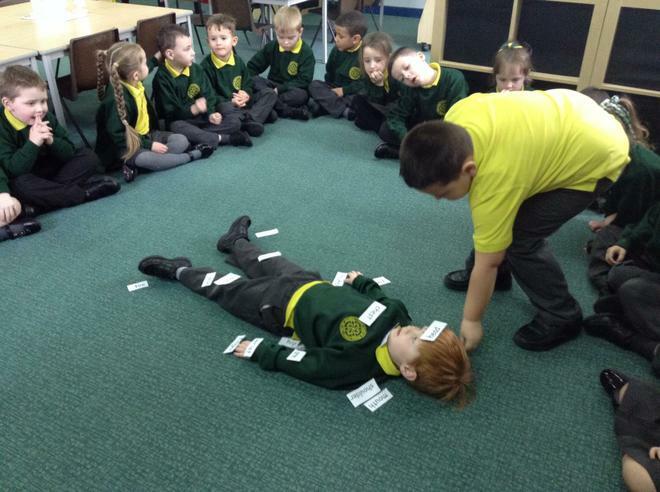 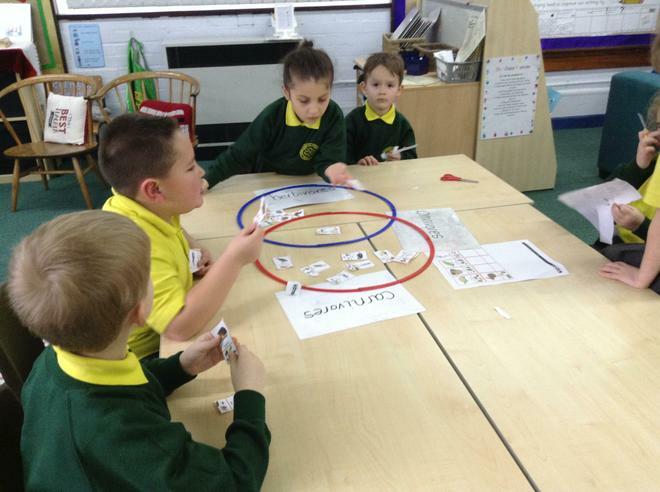 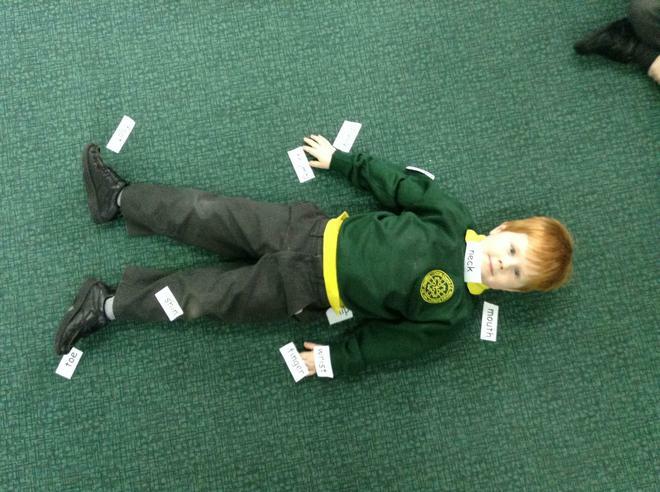 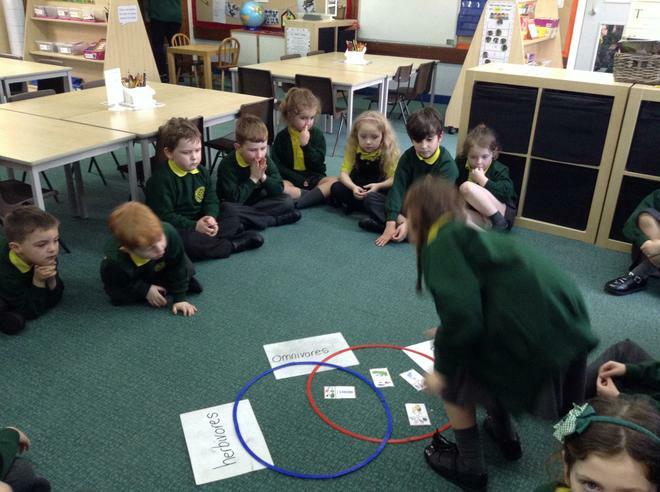 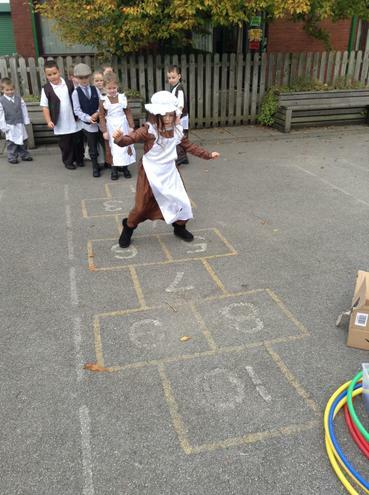 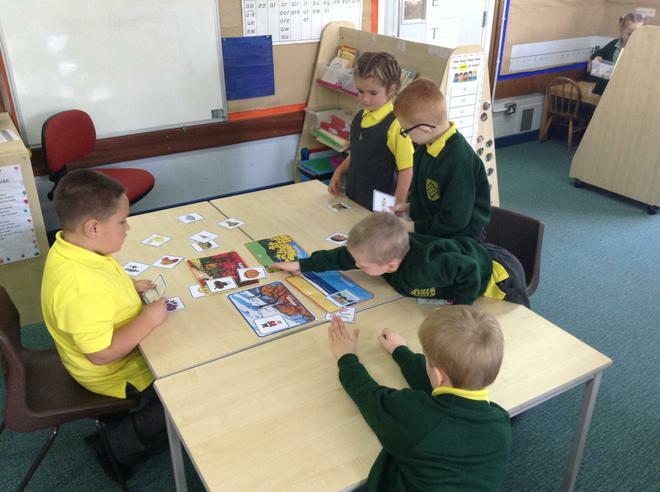 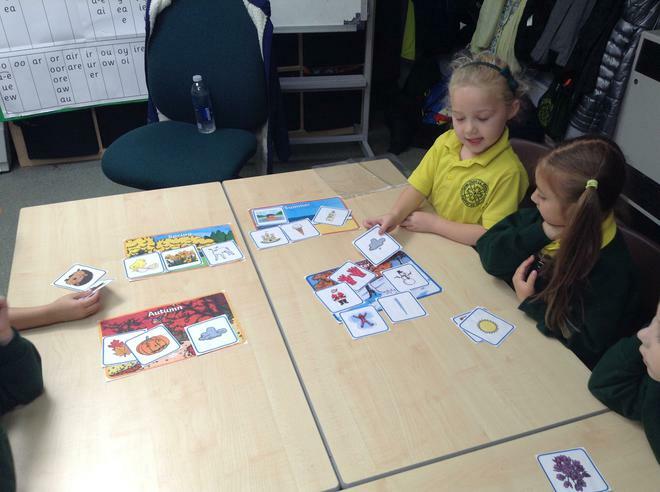 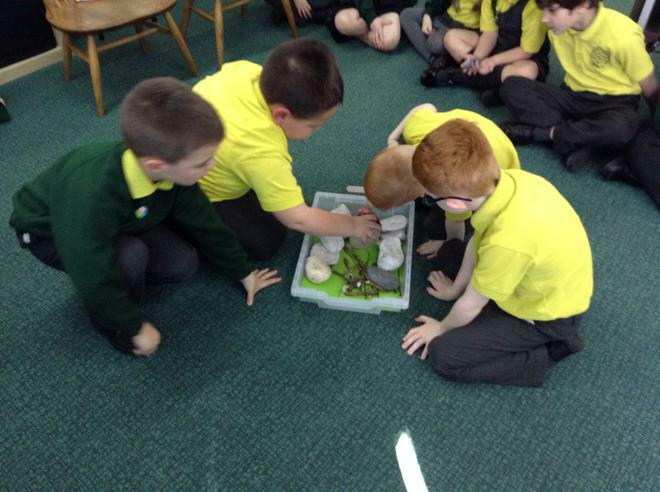 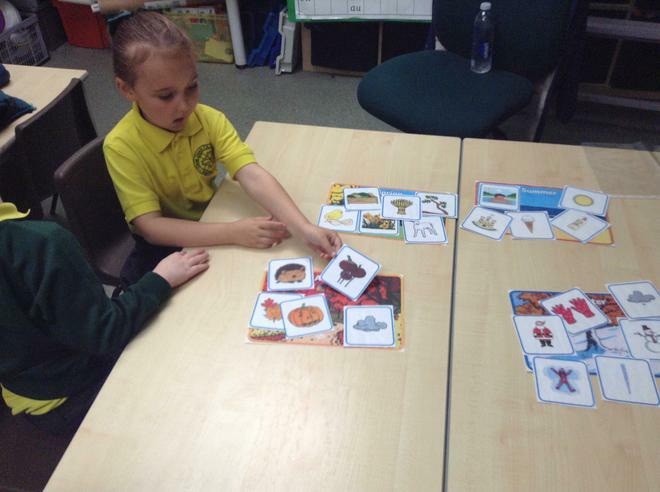 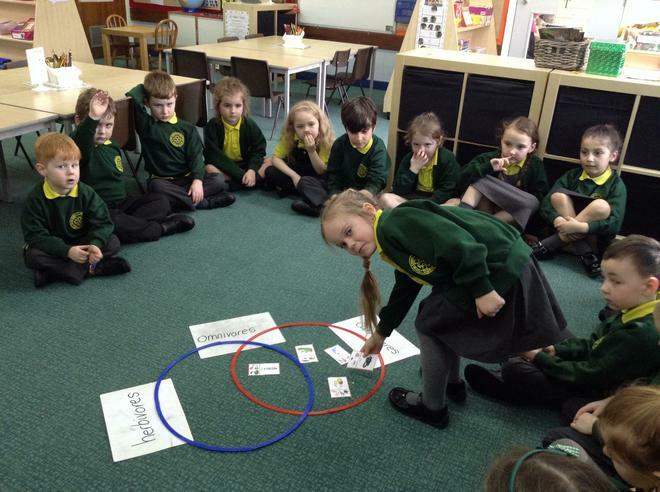 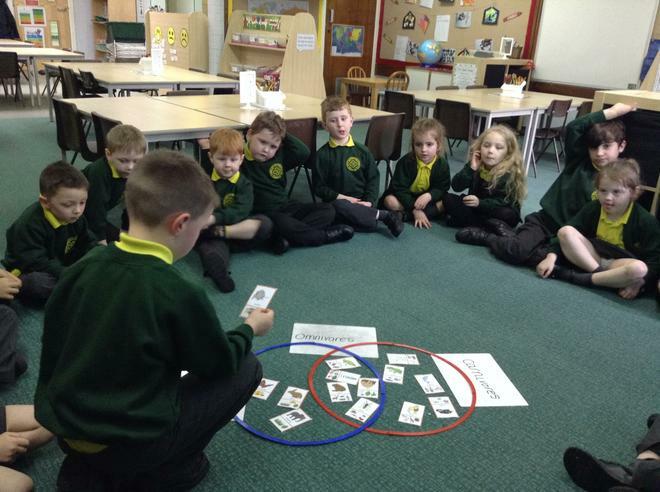 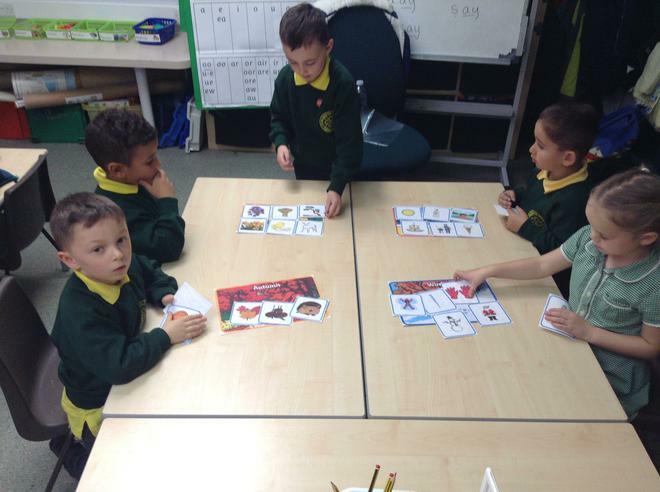 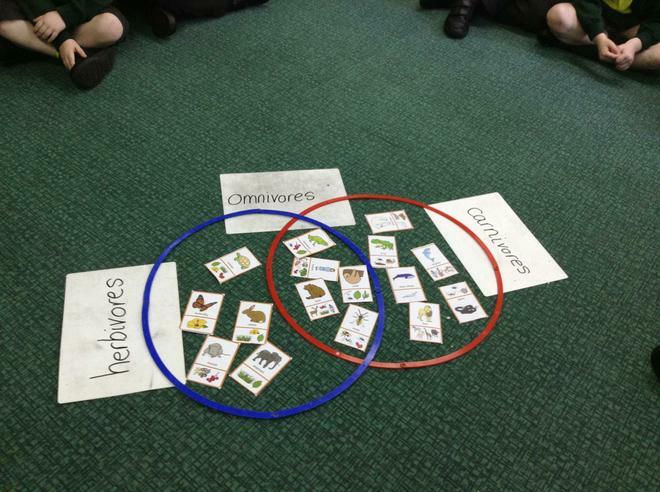 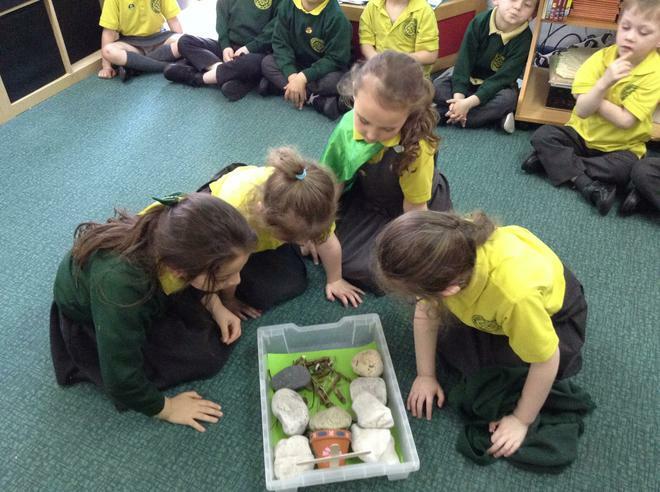 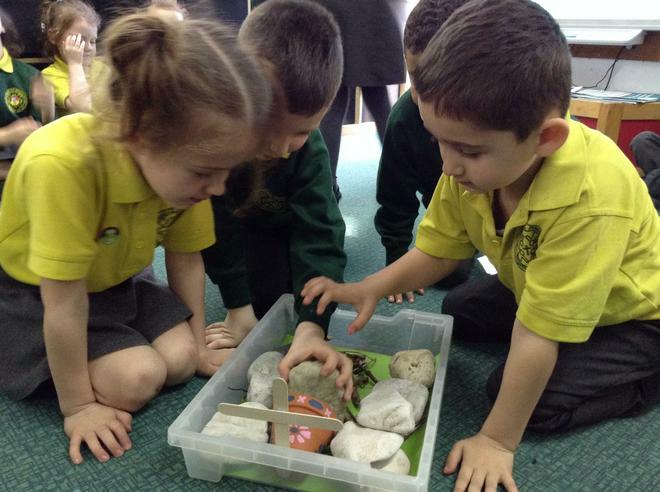 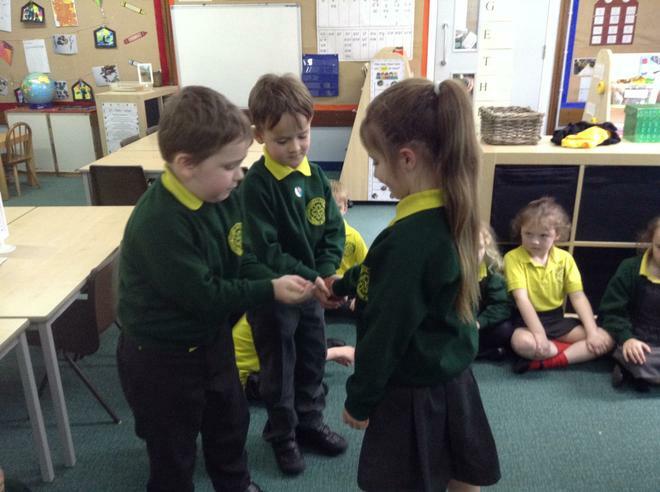 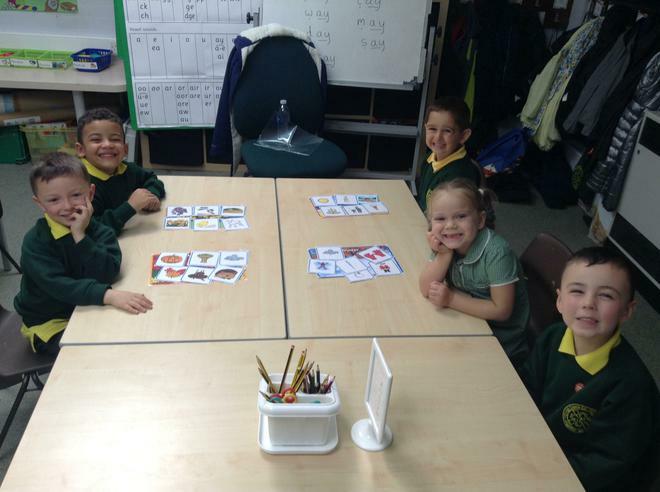 During our Science lessons this term, we will been exploring a new topic 'animals including humans'. 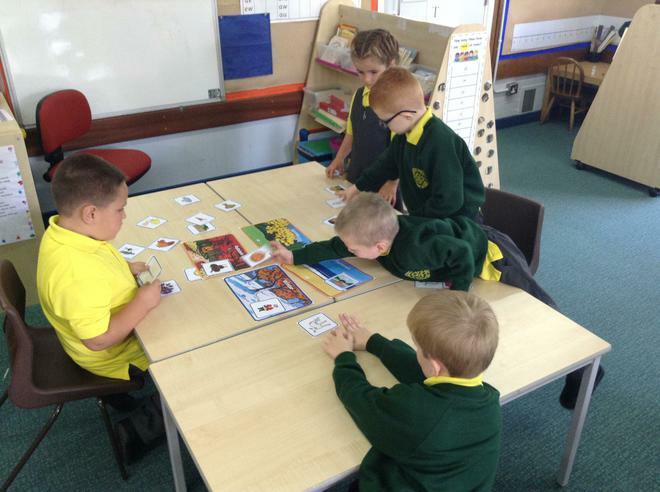 We will be learning about the different parts of the human body, as well as learn about how a human find out information about the world around them using their five senses. 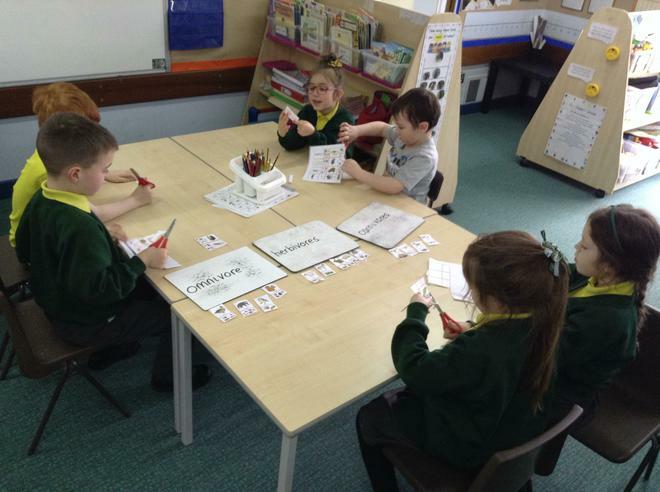 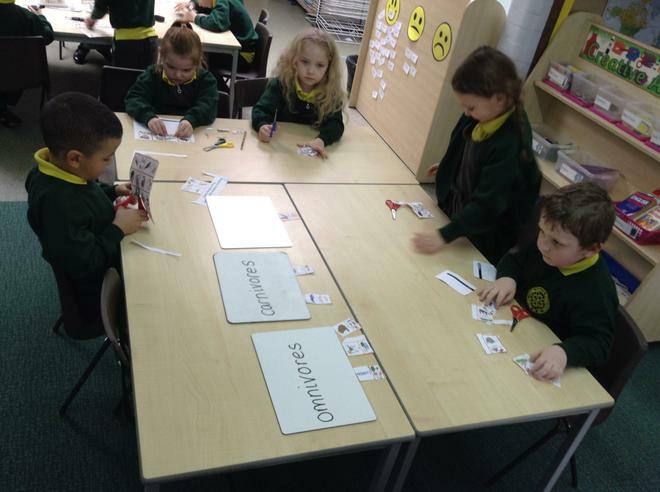 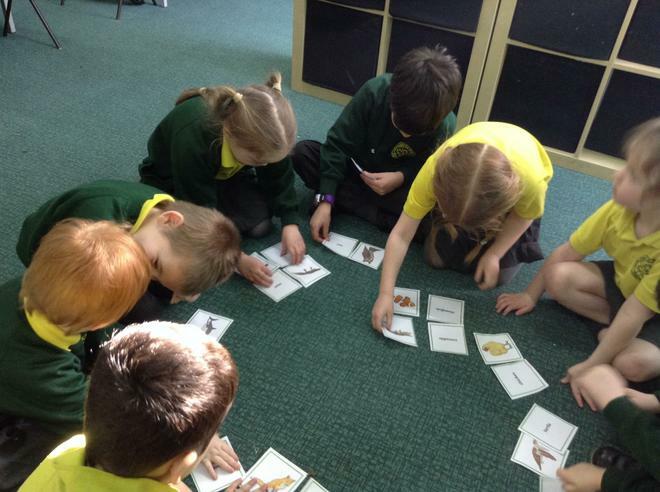 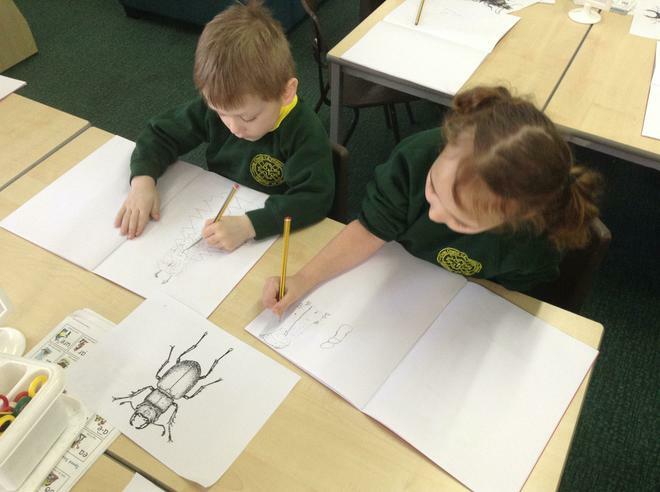 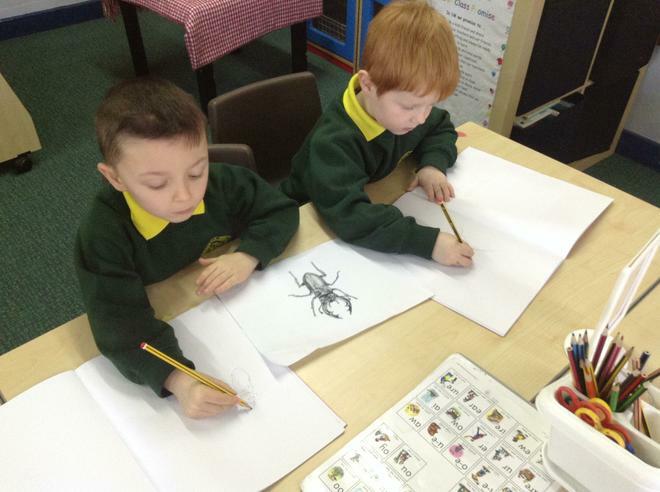 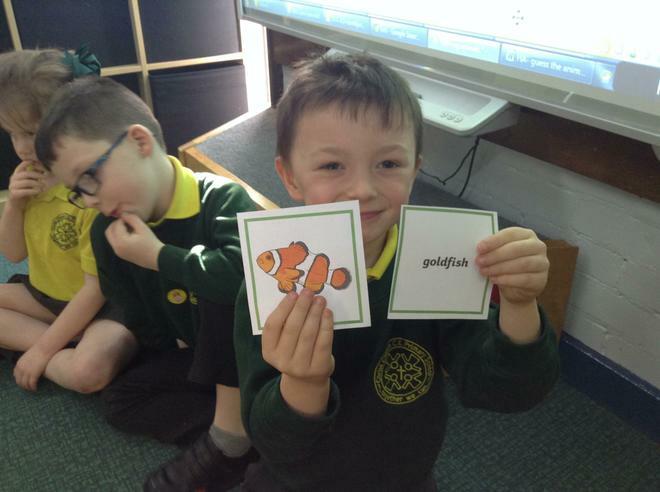 We will be exploring different types of animals, identifying their similarities and differences as well as categorising them using different criteria's. 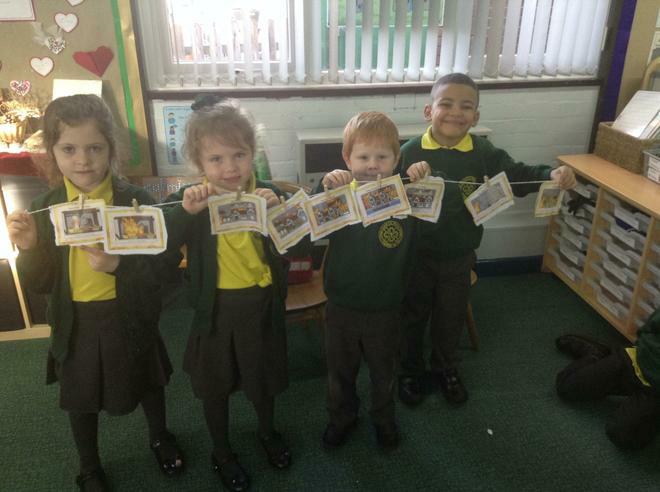 Our History focus for this term is, The Great Fire of London. 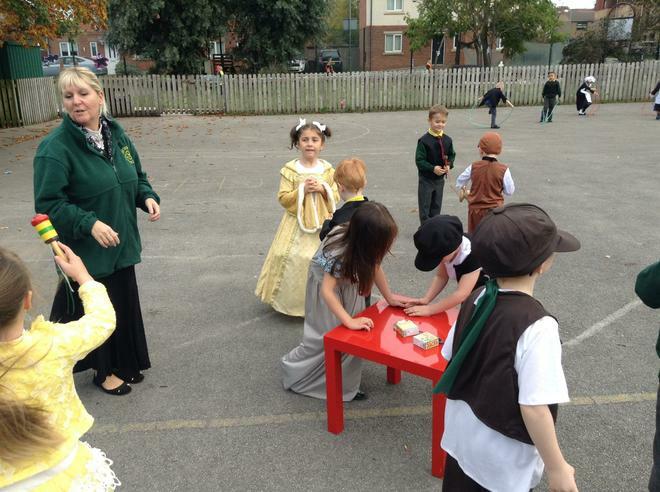 We will be discussing where London is, why it was a dangerous city in 1666 as well as explore the fire itself. 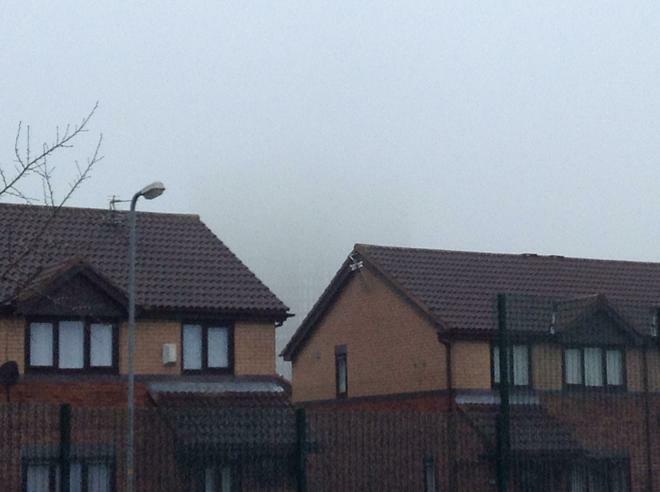 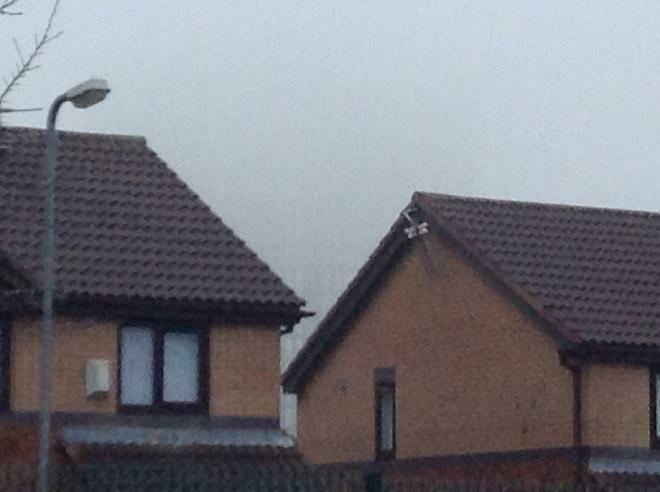 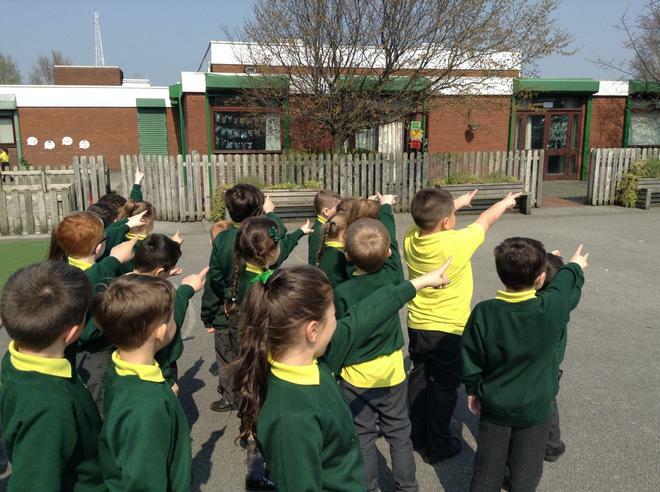 We will be exploring how the fire started as well as the battle to put it out. 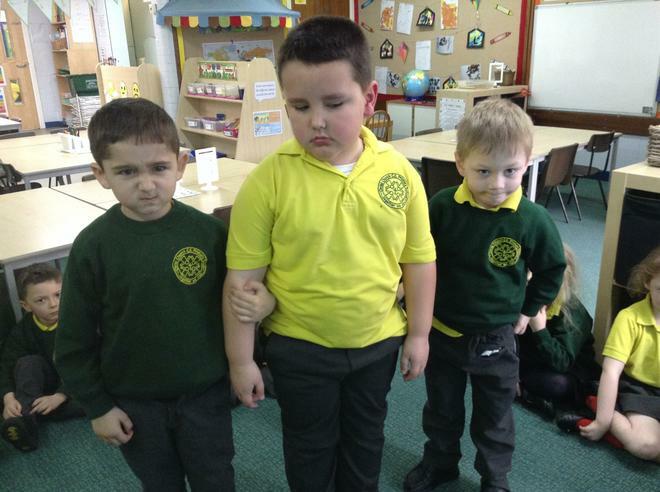 We will be discussing the significant people that were involved in the fire as well as creating our own timeline of events. 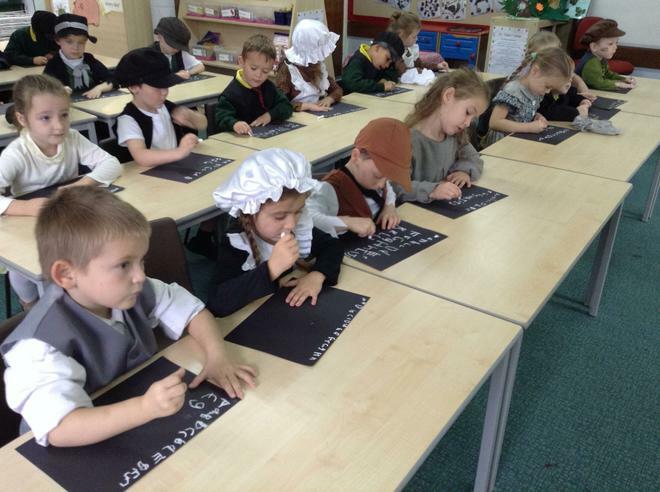 We will also be carrying out some art work in relation to this topic which will focus on the 'Tudor style' houses of 1666. 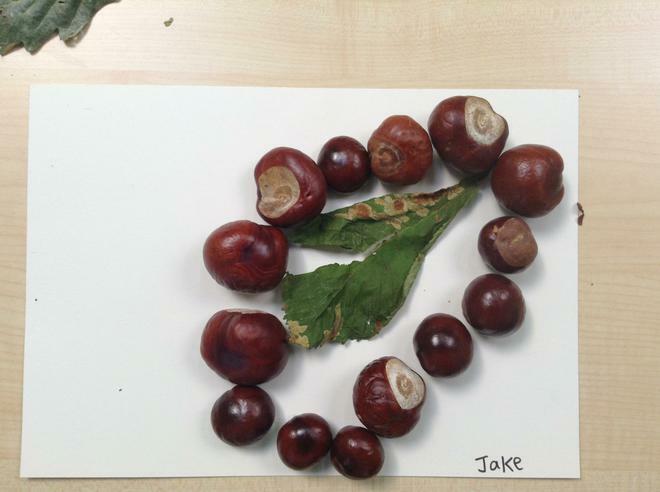 Throughout our Art lessons this term we be focussing on art work created by Cath Hodsman and Joe MacGown. 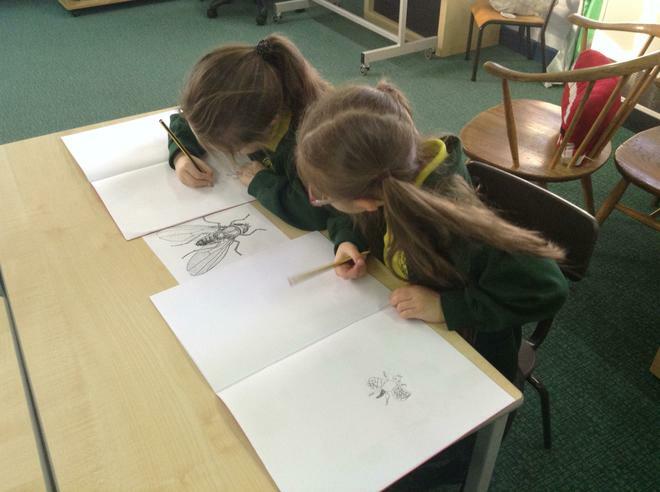 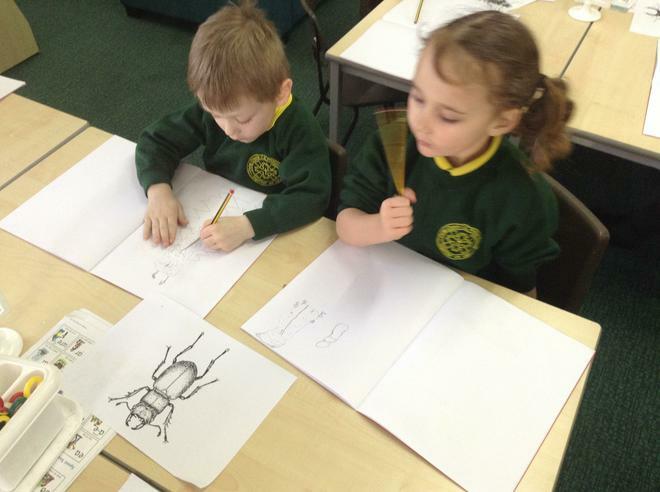 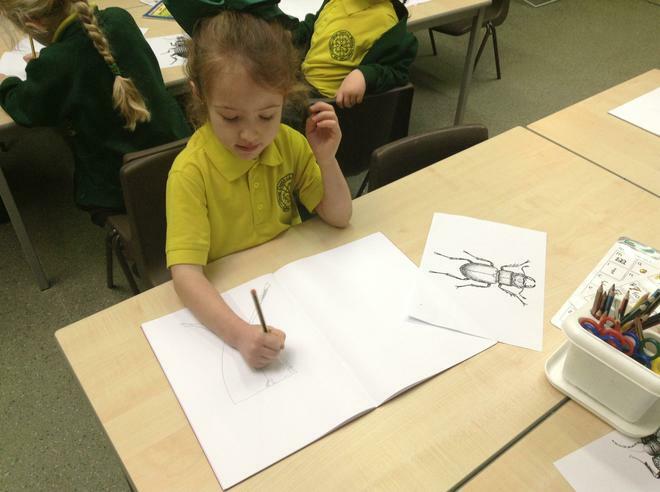 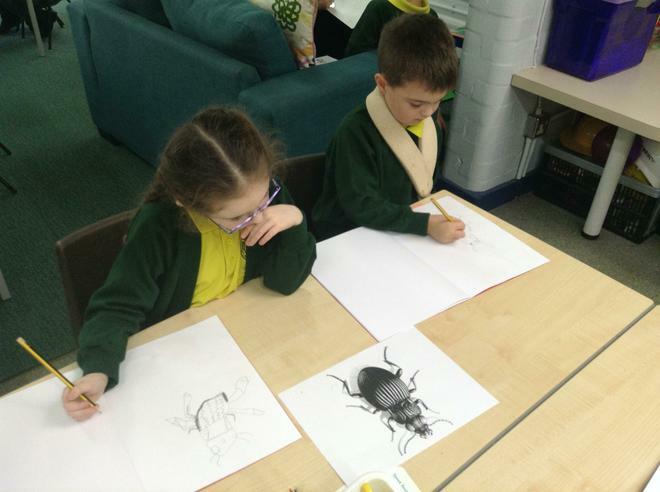 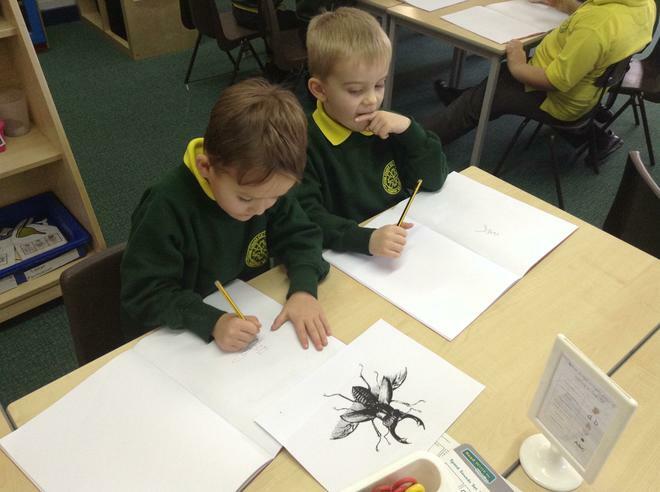 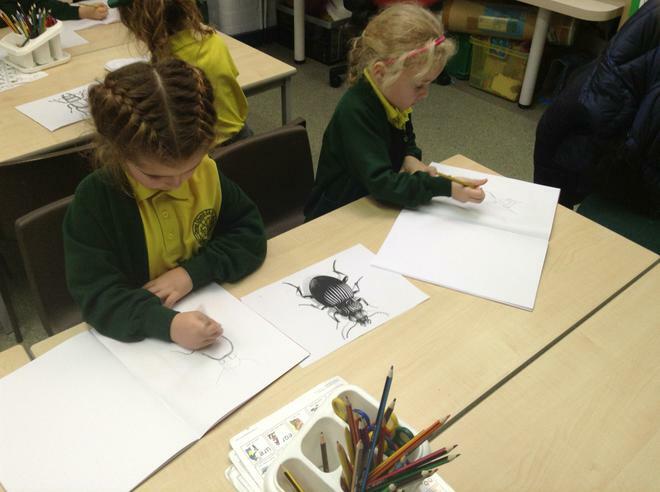 We will be exploring the use of line and shapes to create different textures and tones when sketching. 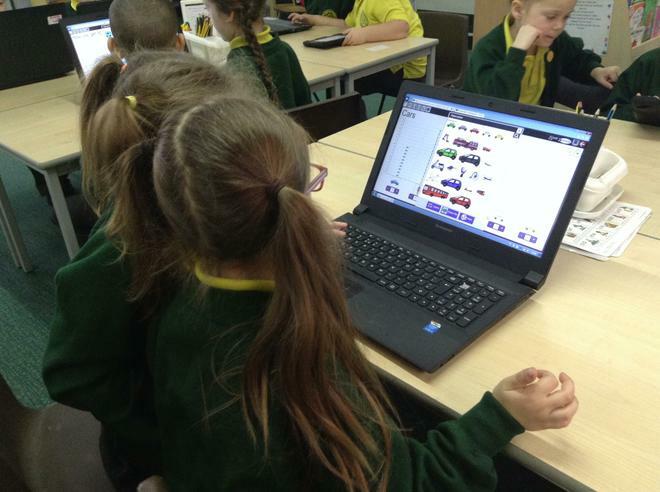 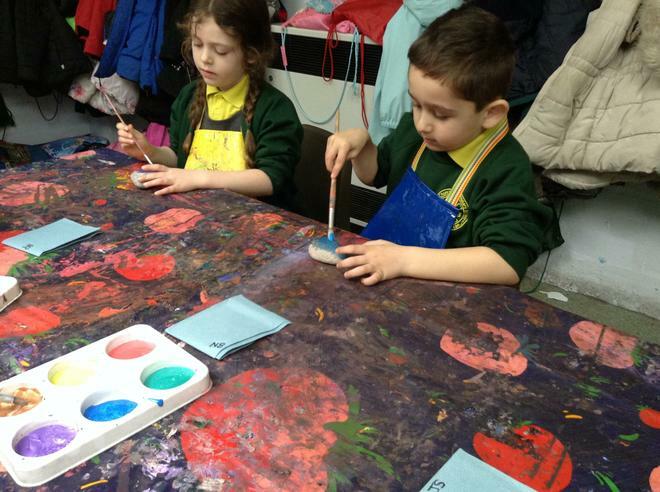 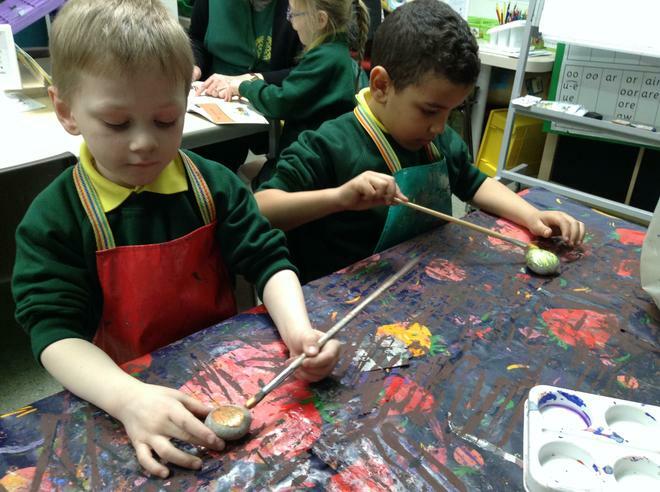 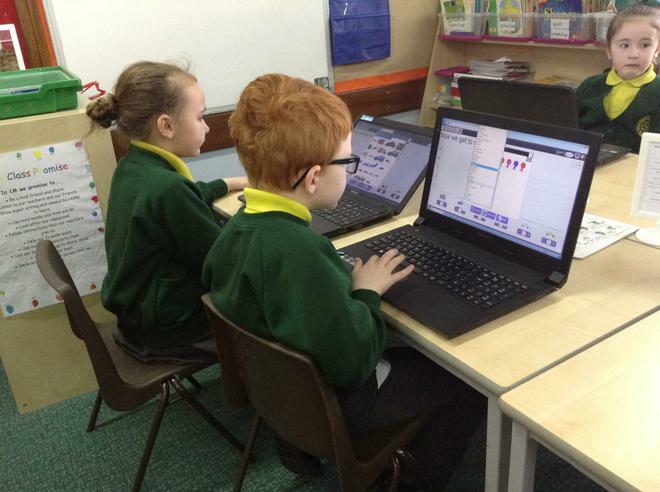 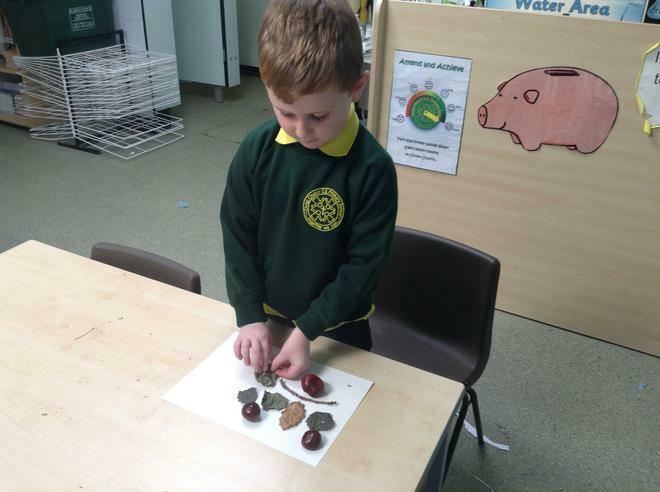 We will also be using a range of different resources in order to be creative and understand how these can be adapted to create desired effects. 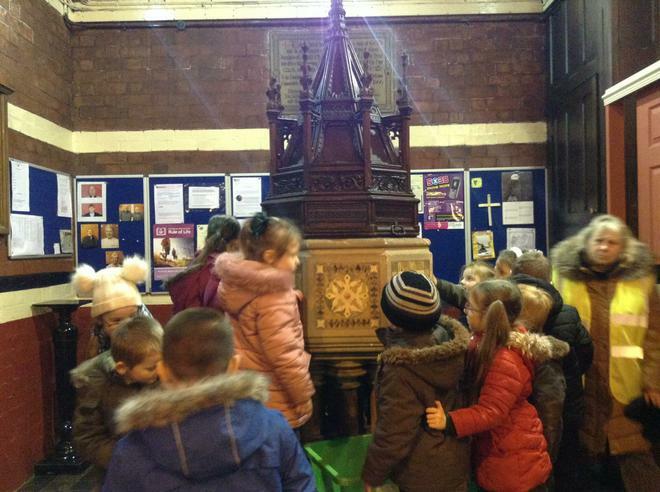 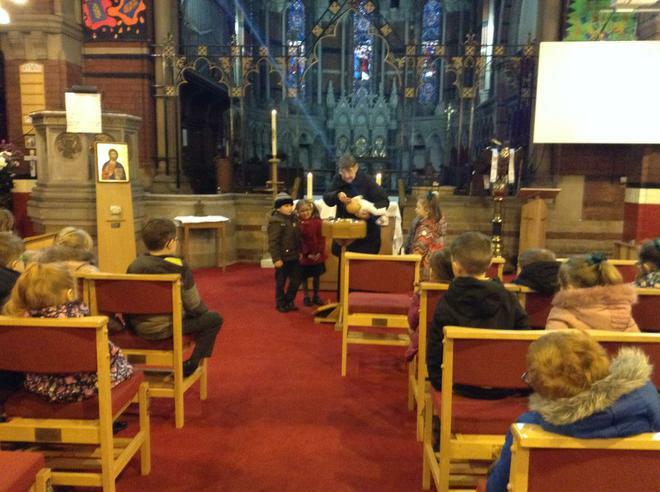 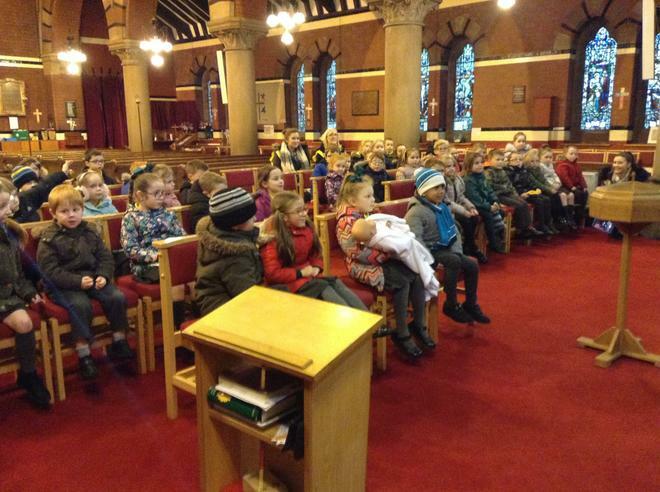 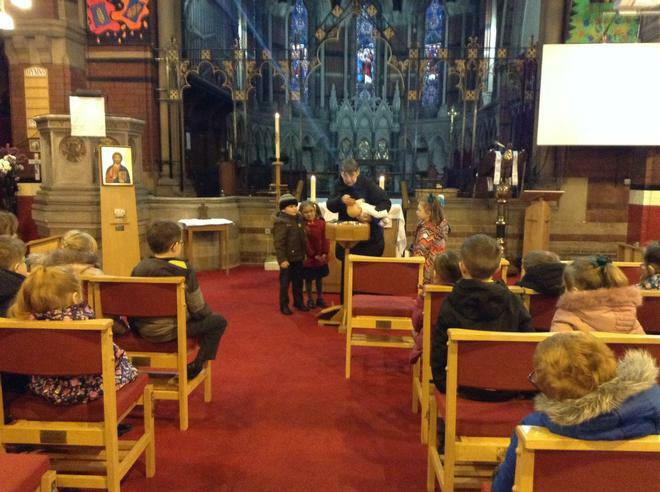 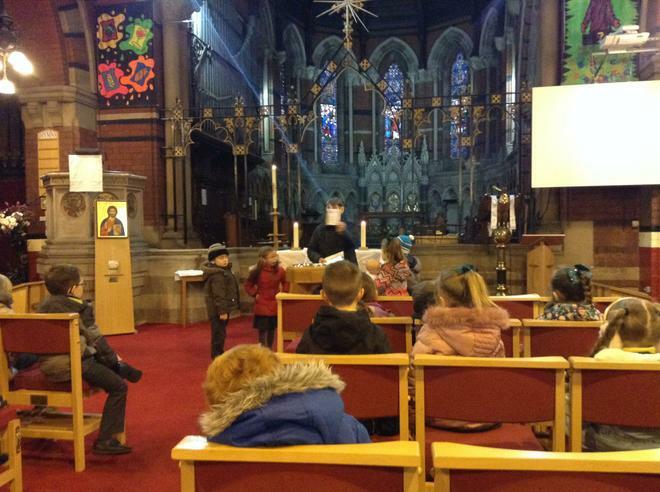 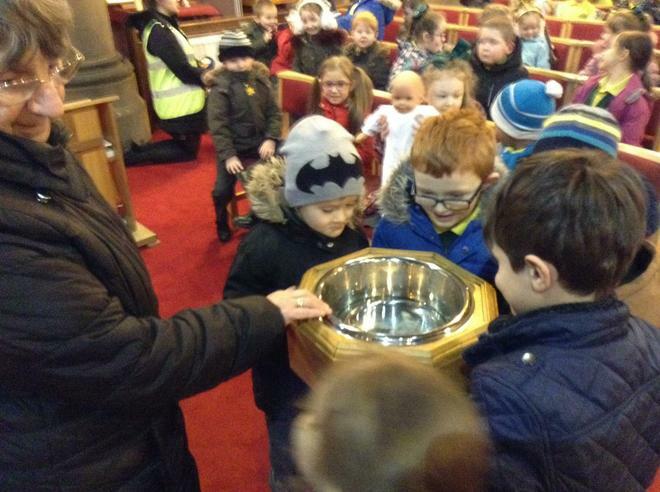 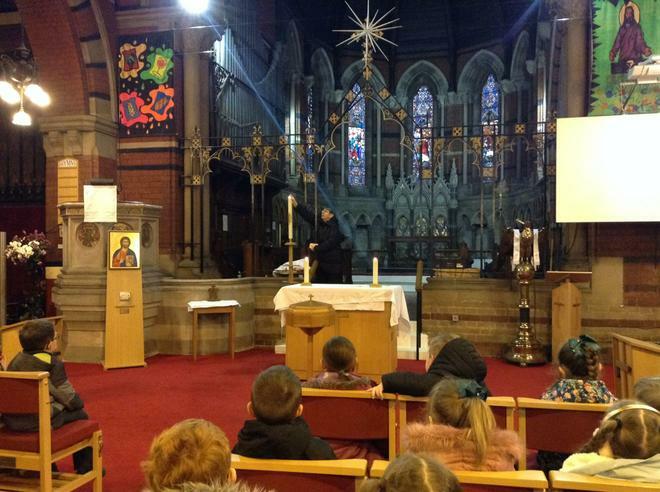 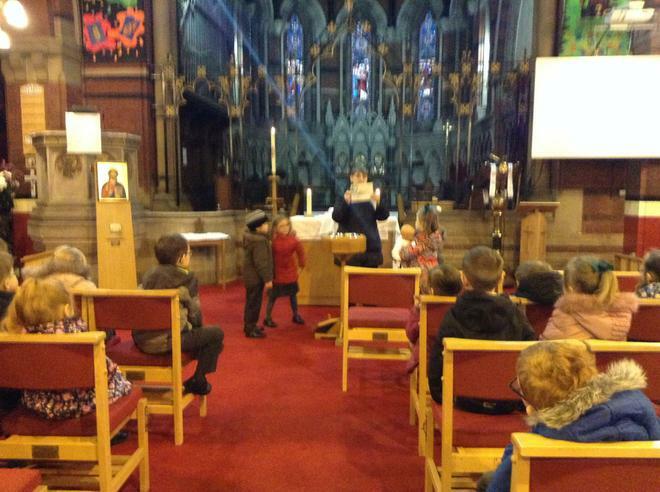 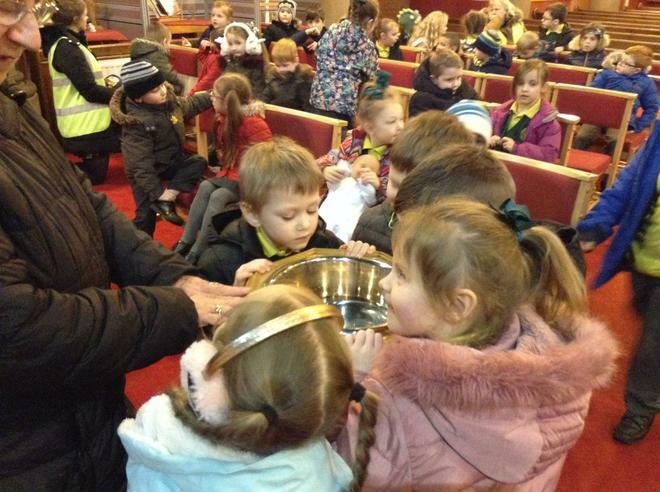 Our RE focus this term is Baptism. 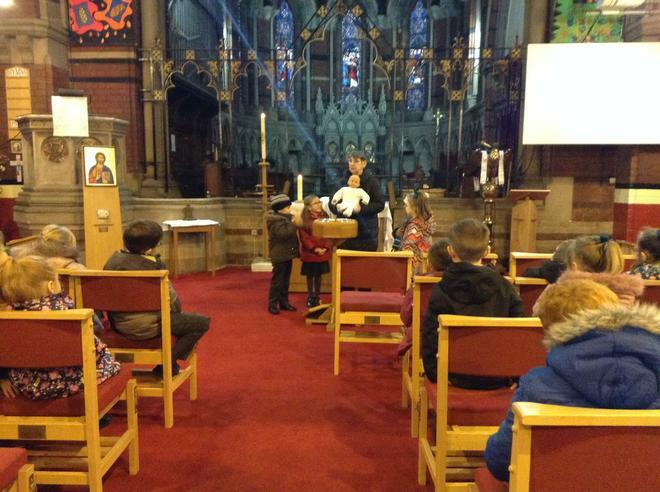 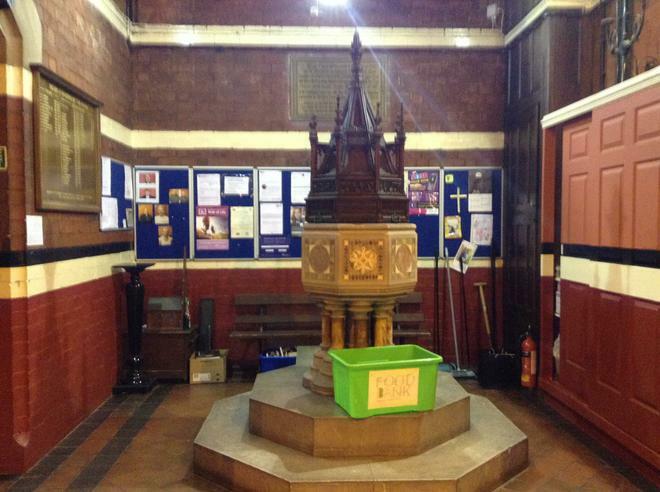 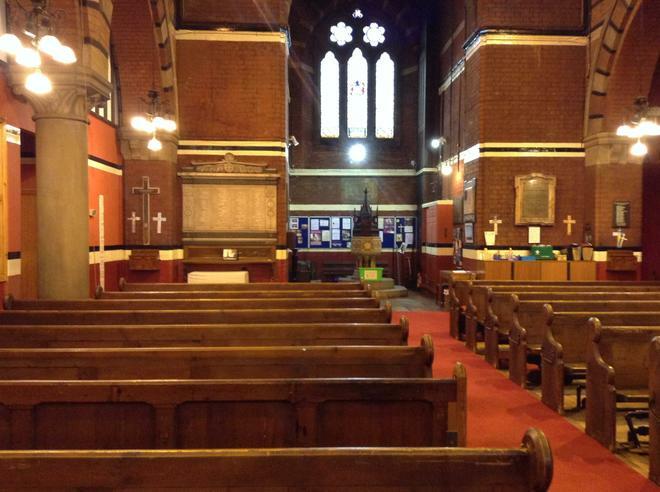 We will be discussing why a baptism ceremony takes places as well as the important symbols of a baptism ceremony. 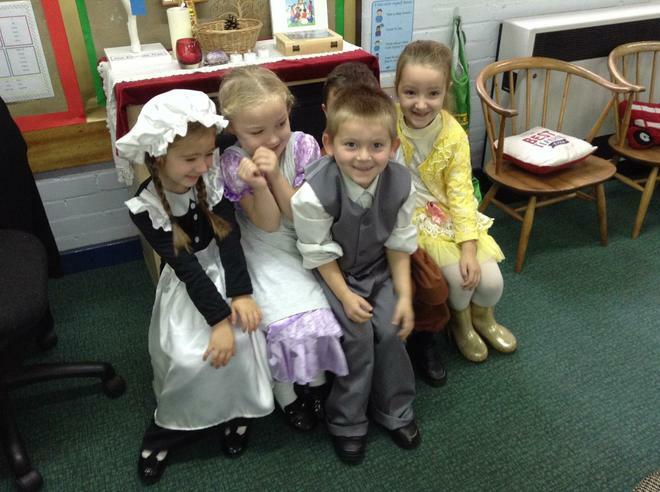 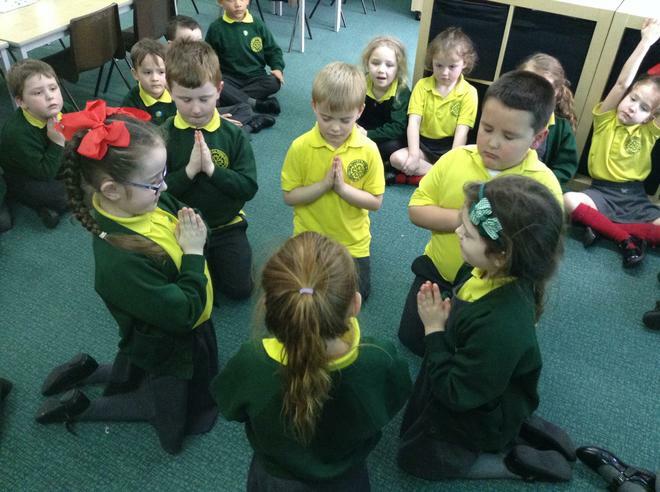 We will be acting out a mock baptism ceremony in order to observe first hand what happens when a person is baptism. 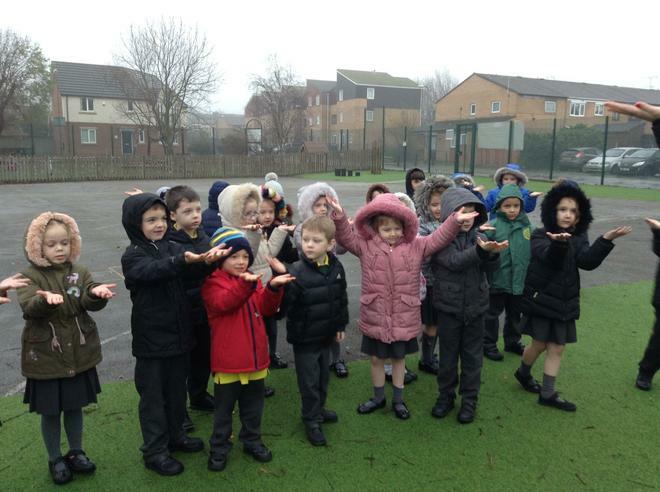 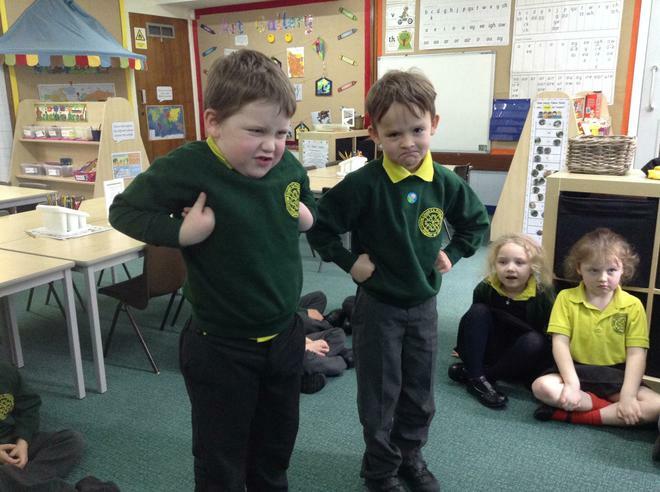 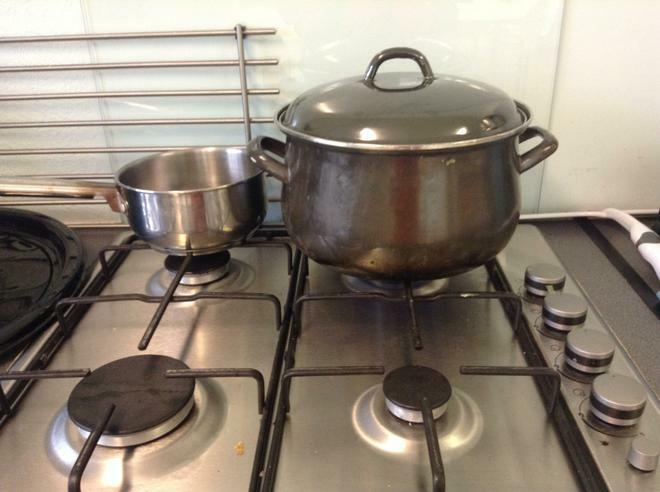 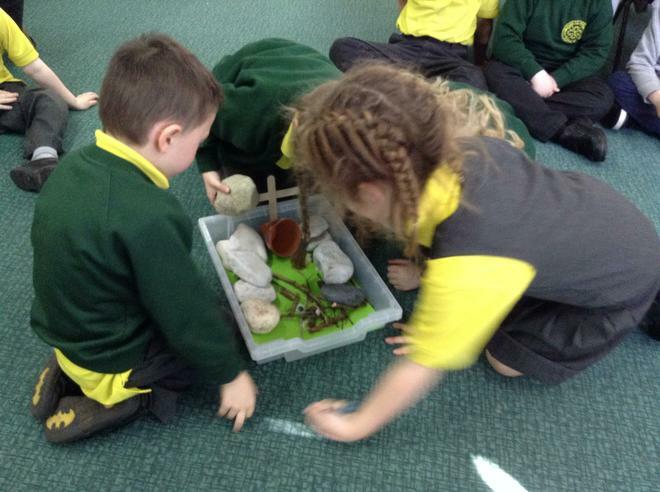 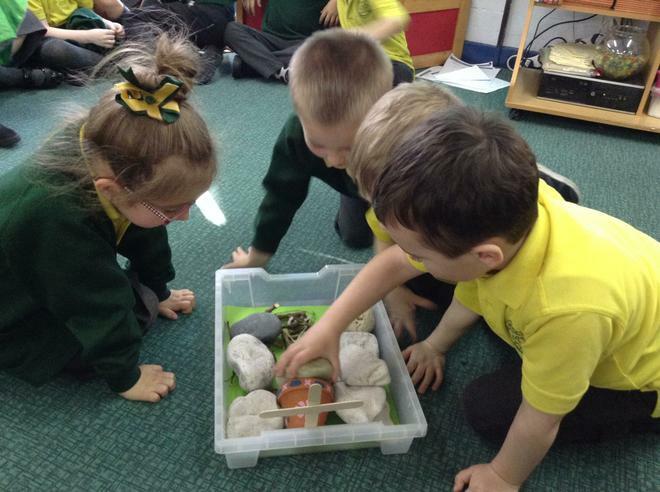 This term our Geography topic is 'hot and cold places'. 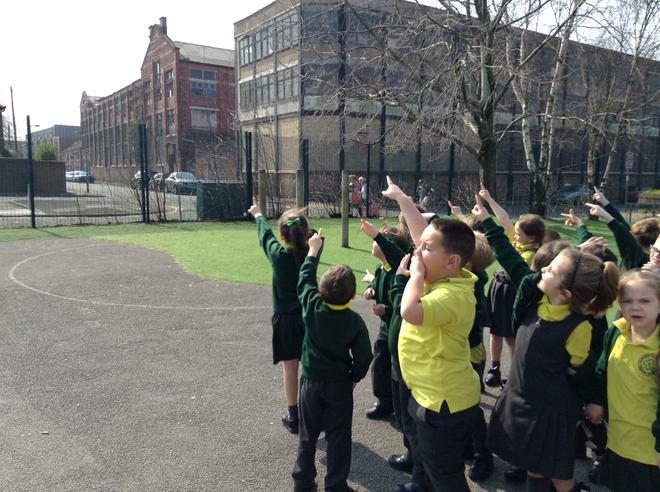 We will be using globes, Digimaps and atlas' to help us locate different hot and cold places around the world and use the equator to help us understand why these places are hot or cold. 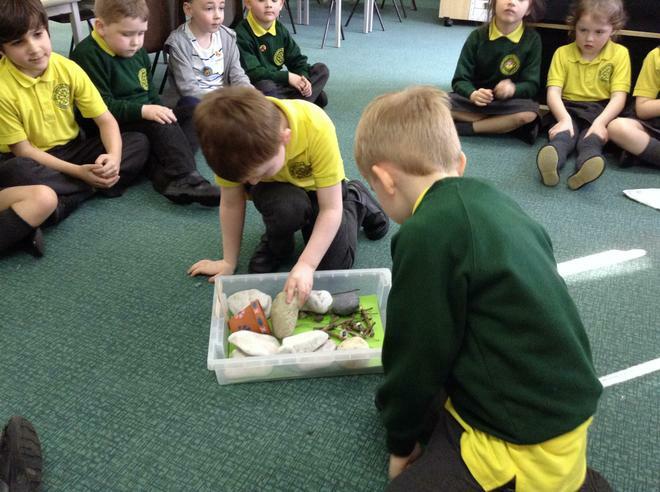 We will be comparing the different features of these countries, the animals that live there as well as the clothes that may be worn. 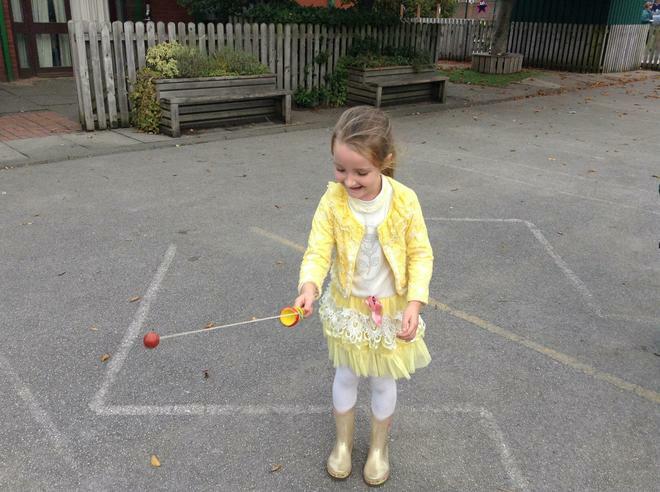 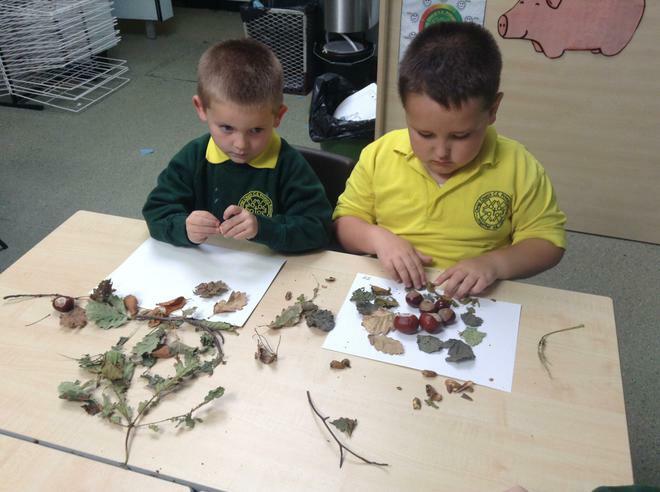 This half term we will be learning about the four seasons with a particular focus on Autumn. 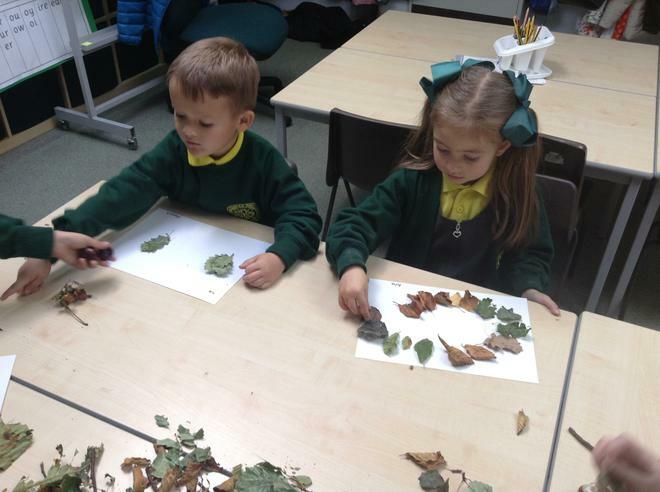 We will be observing the weather daily using our calendar as well as discuss the different items of clothing that can be worn throughout the Autumn season. 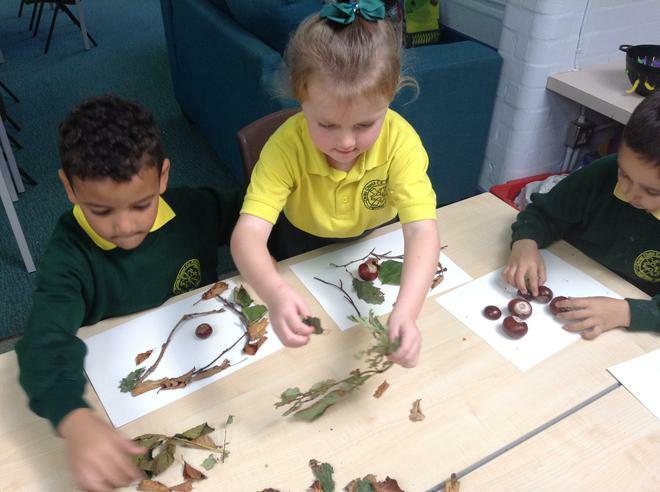 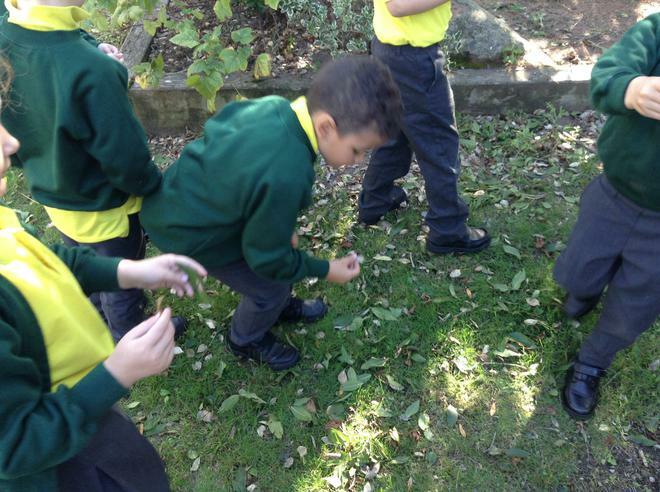 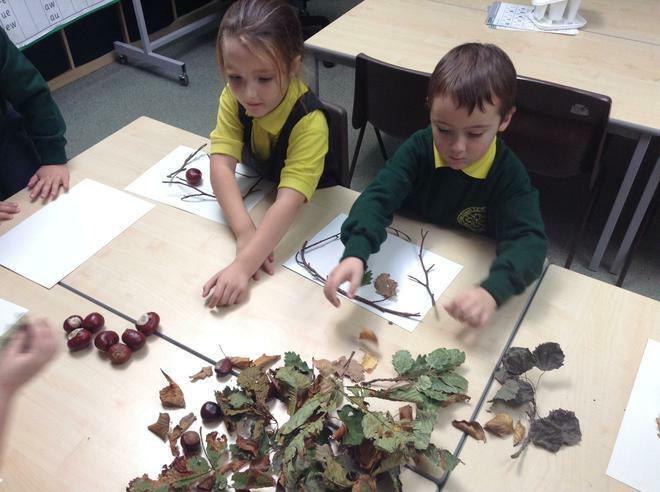 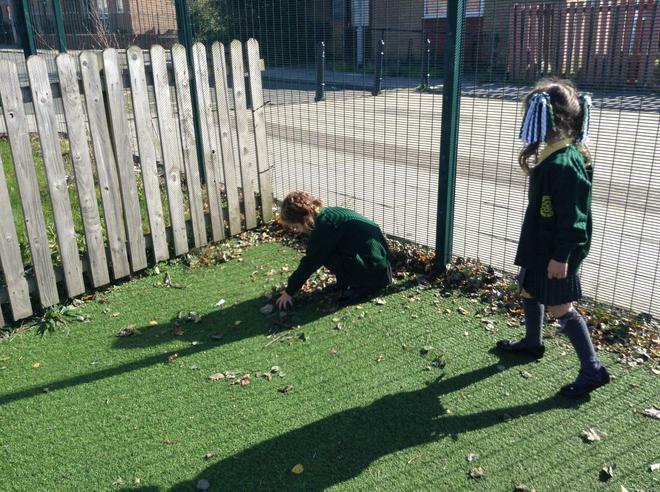 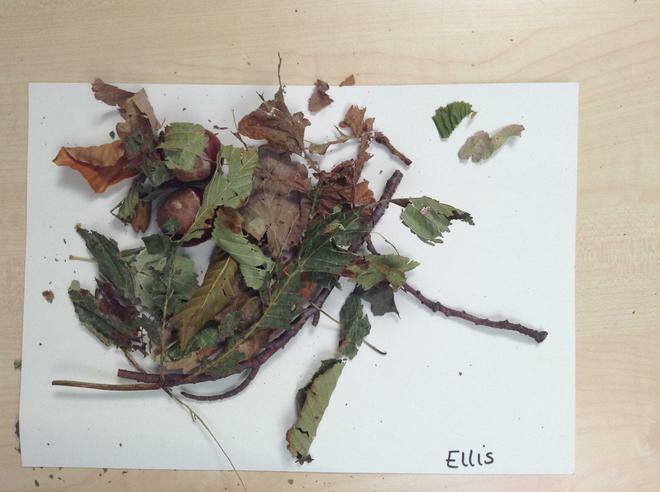 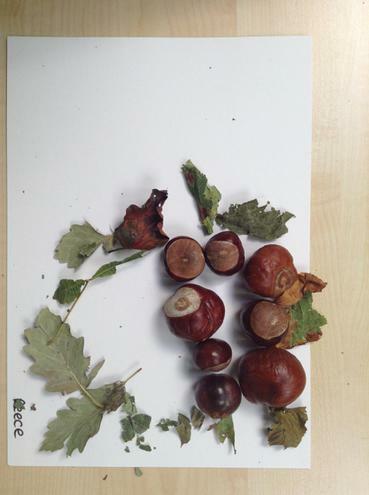 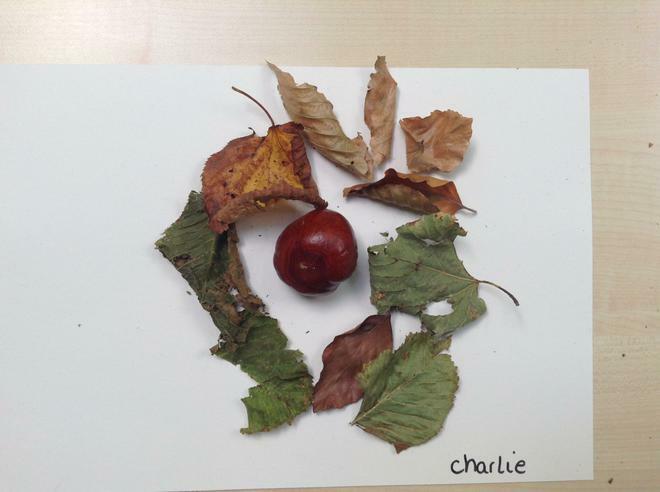 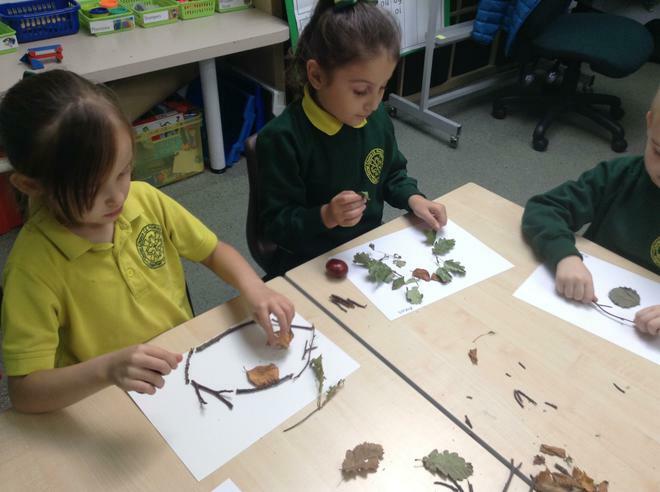 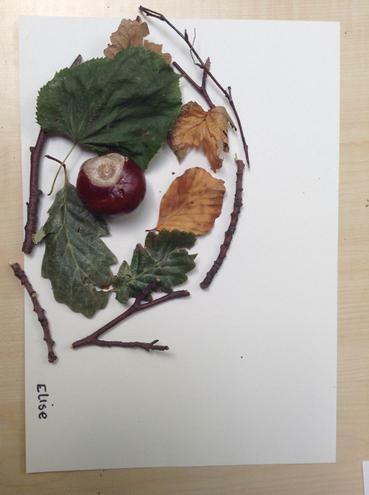 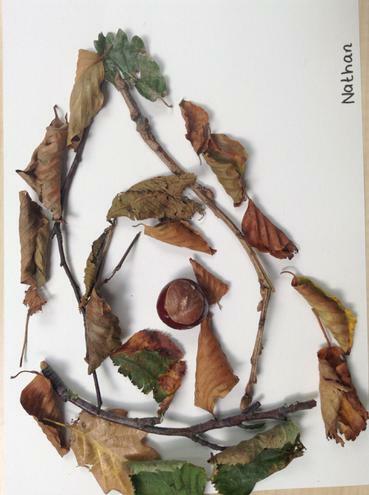 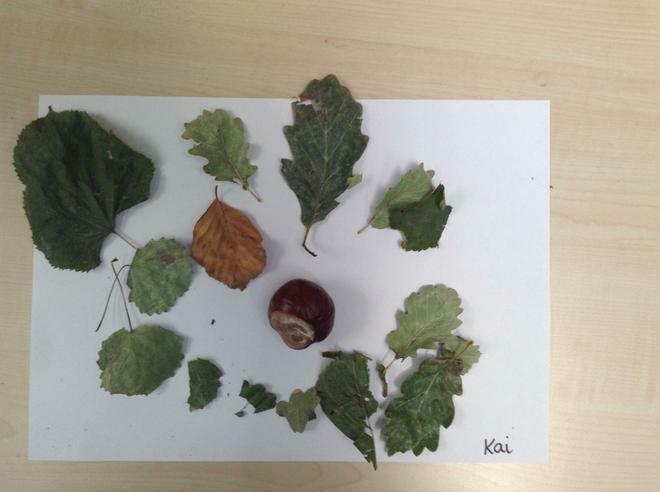 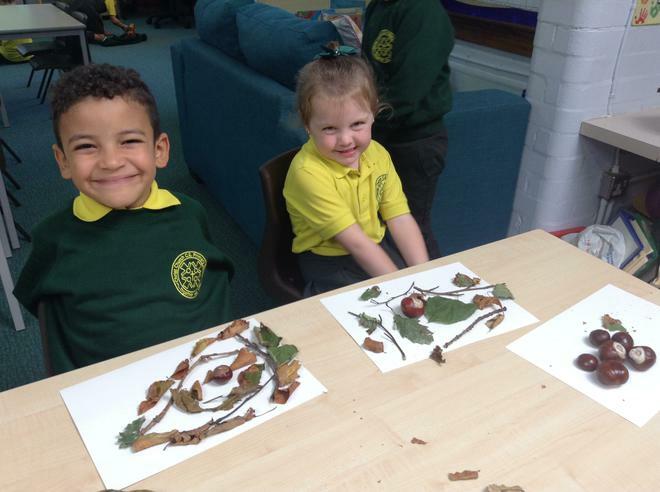 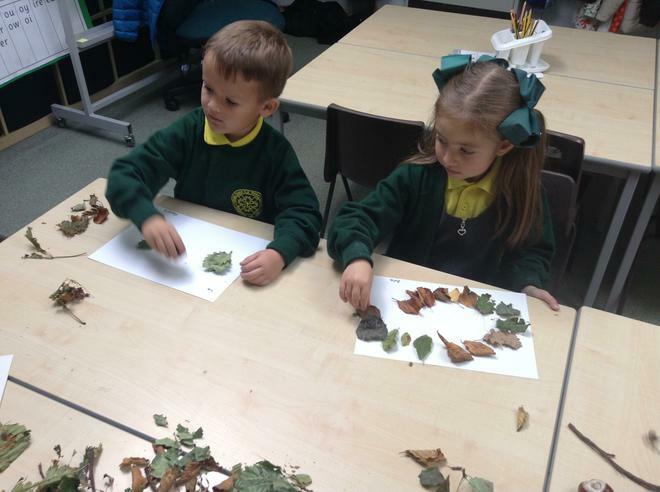 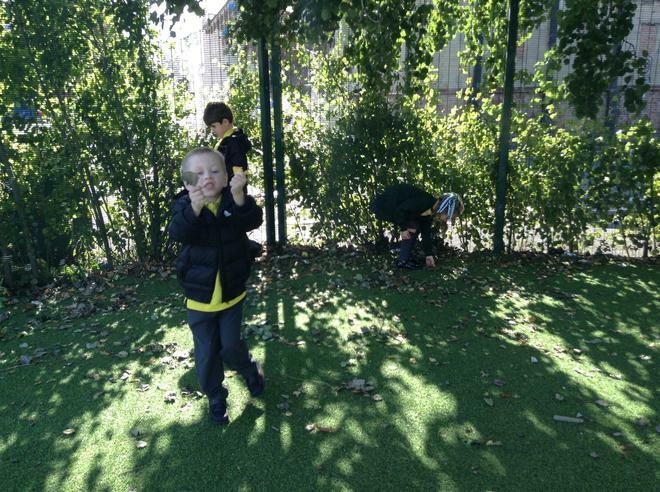 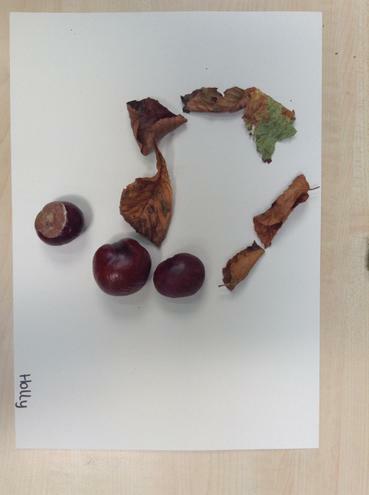 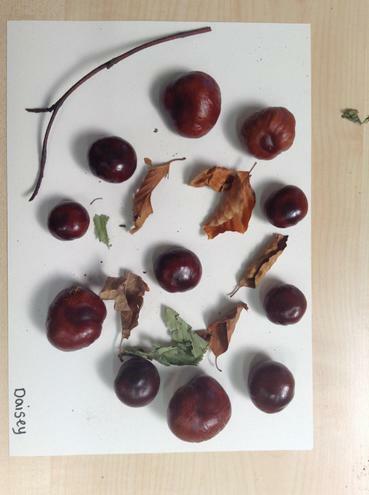 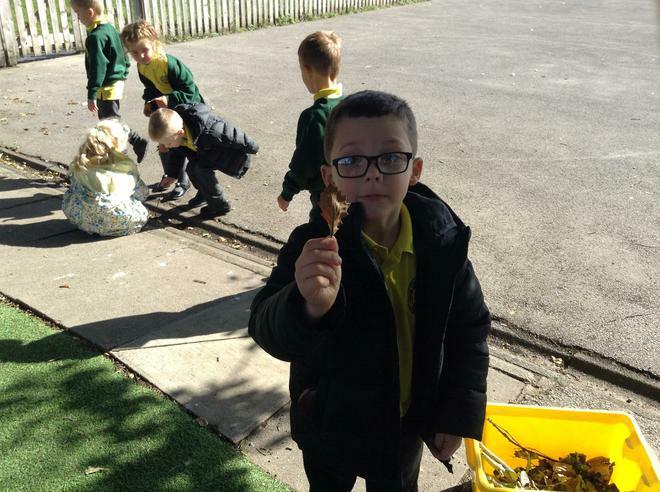 We will also be going on an Autumn walk, were we will look for different signs of Autumn and collect some items to create our own artwork in the style of Andy Goldsworthy. 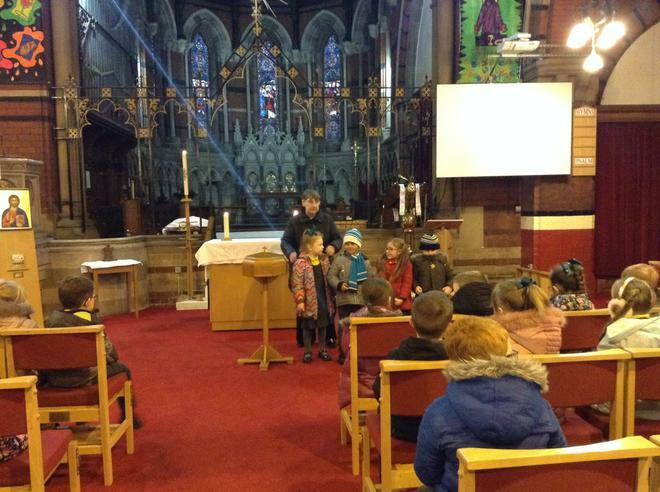 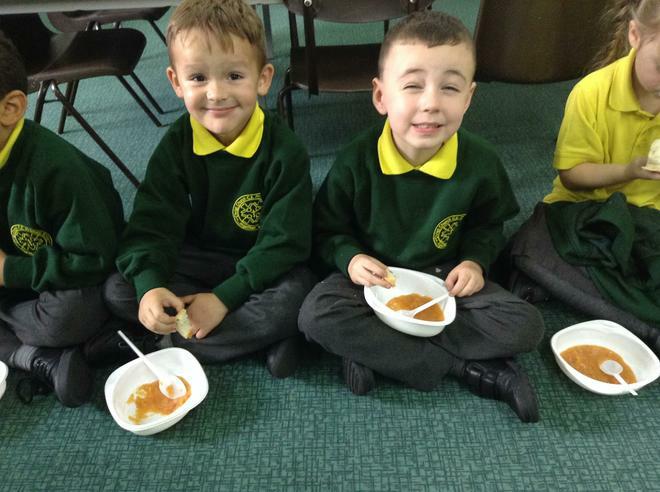 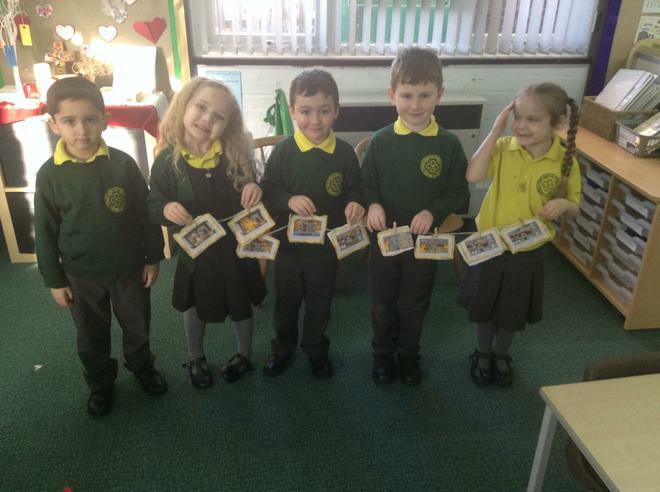 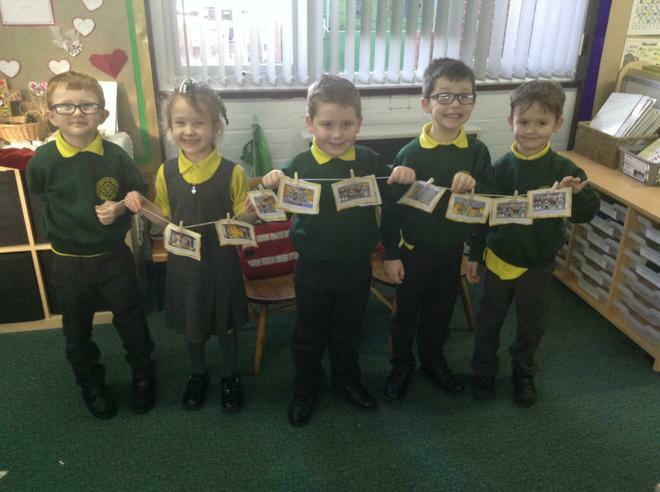 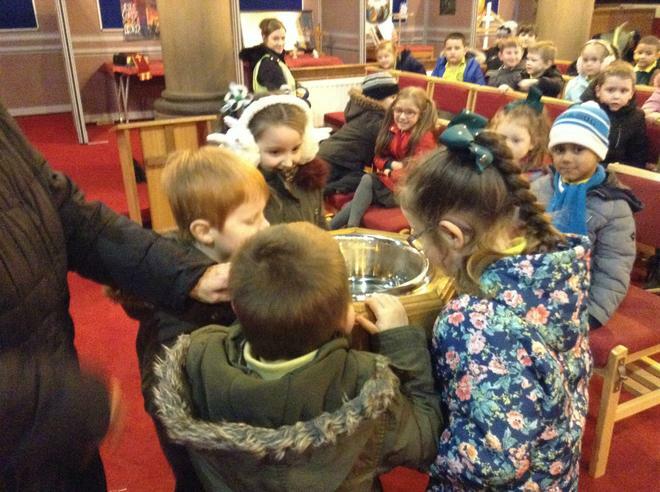 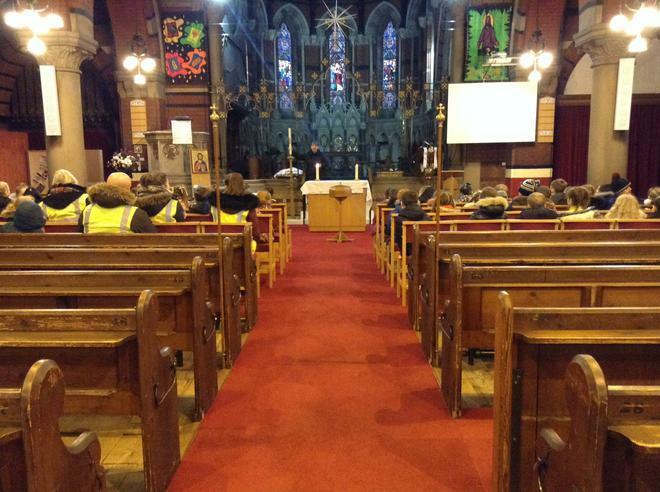 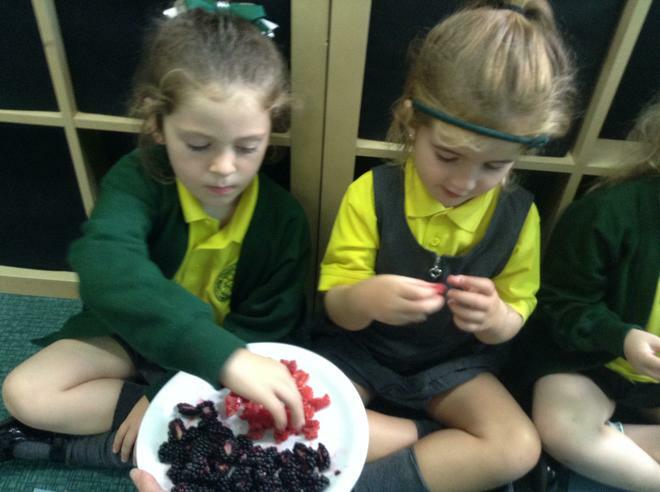 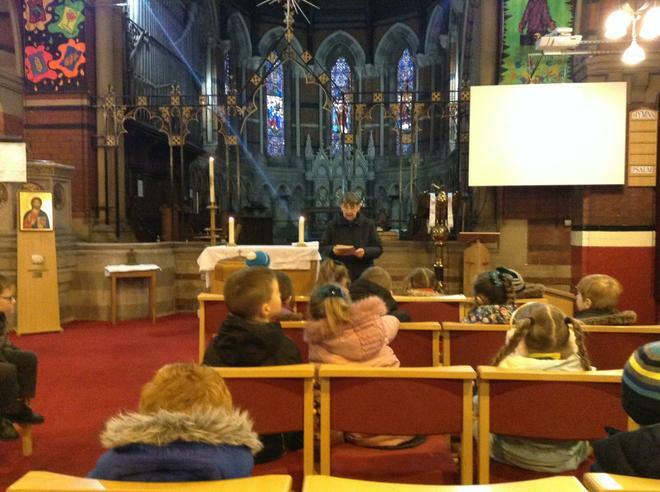 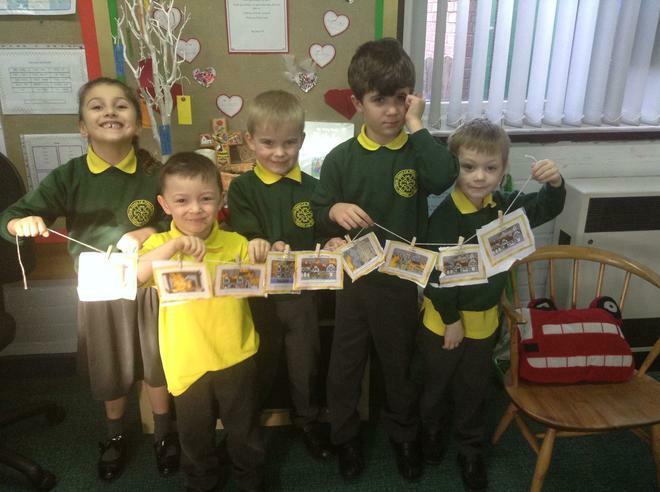 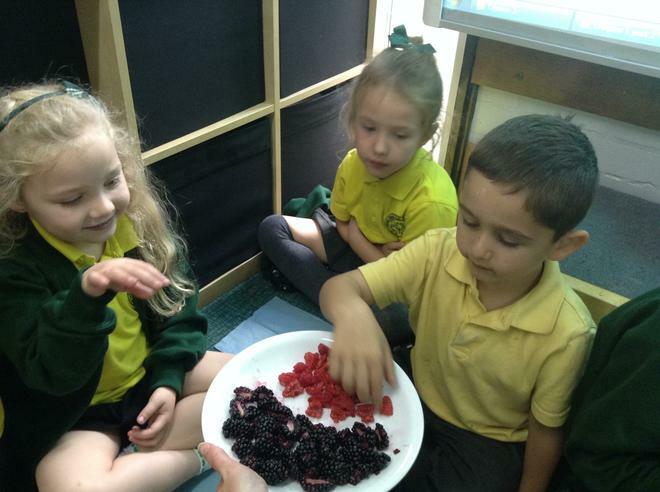 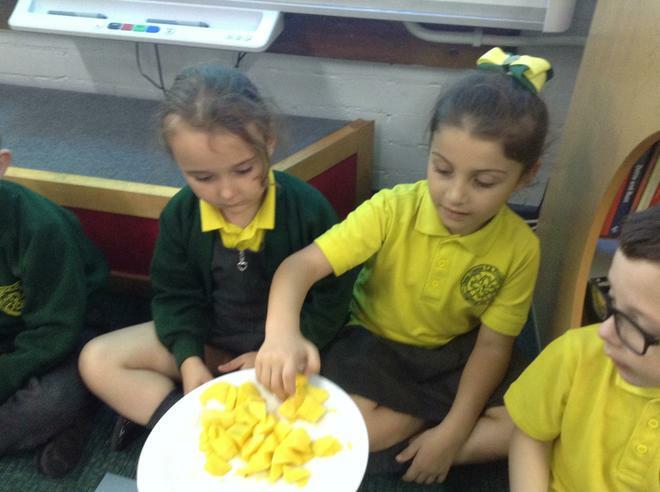 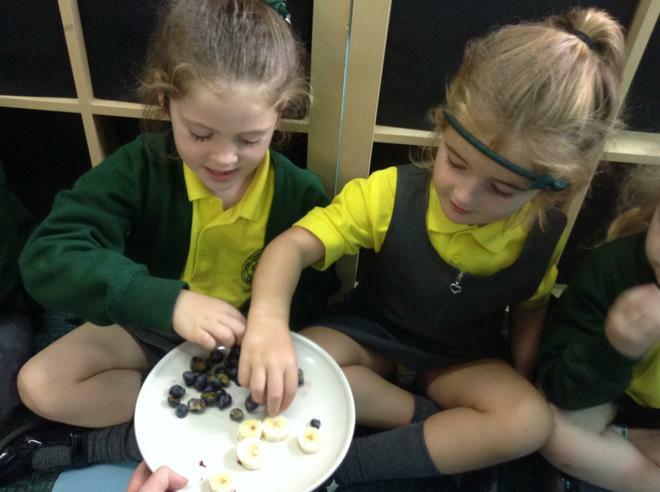 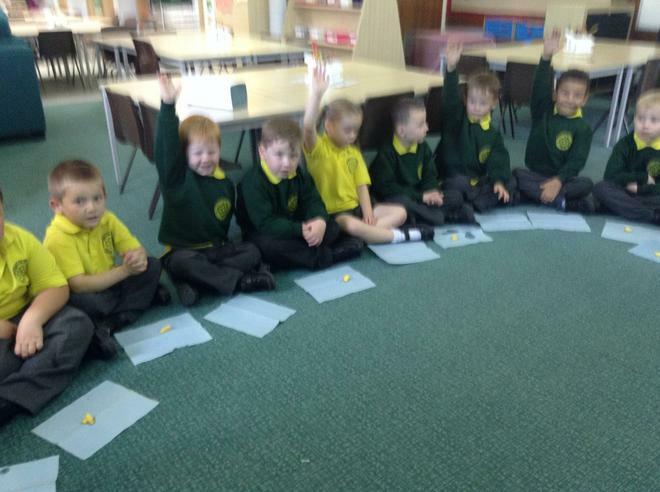 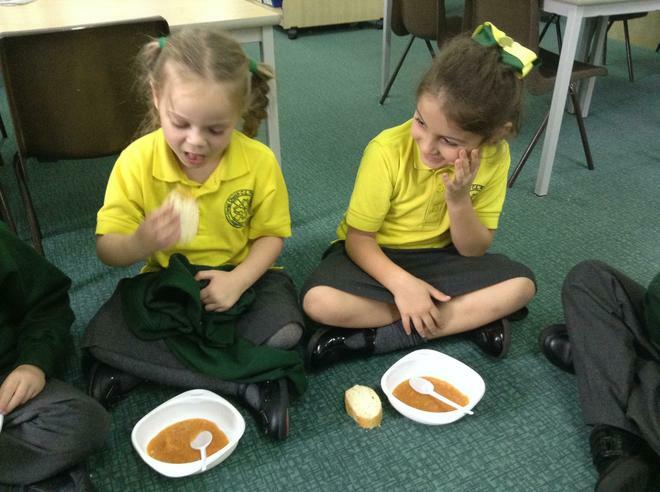 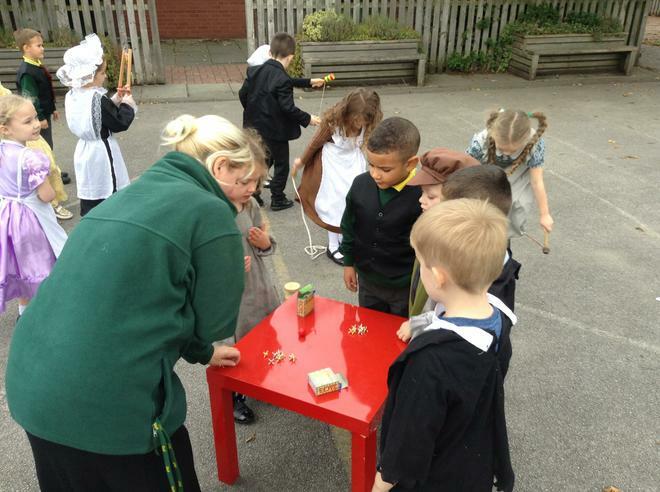 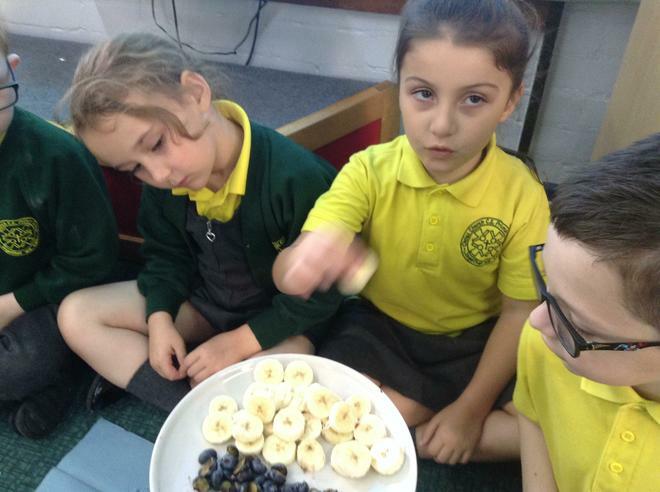 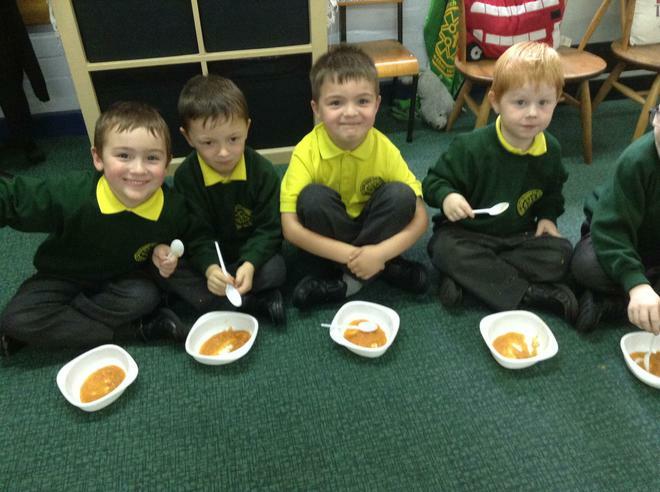 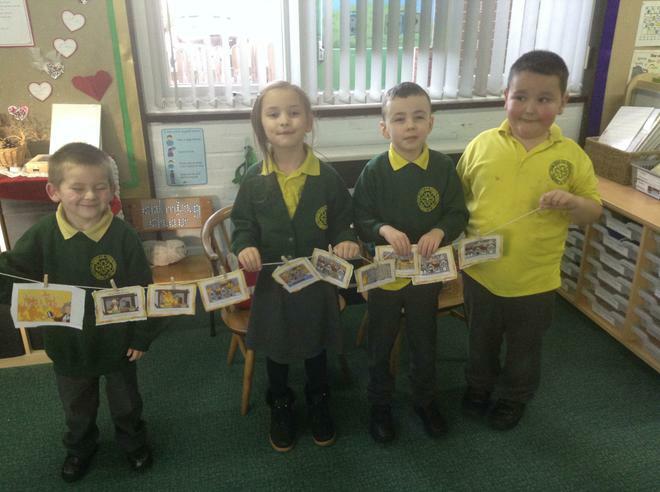 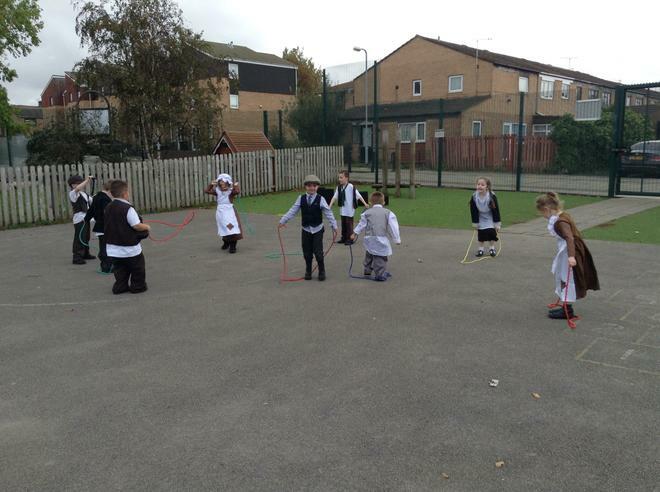 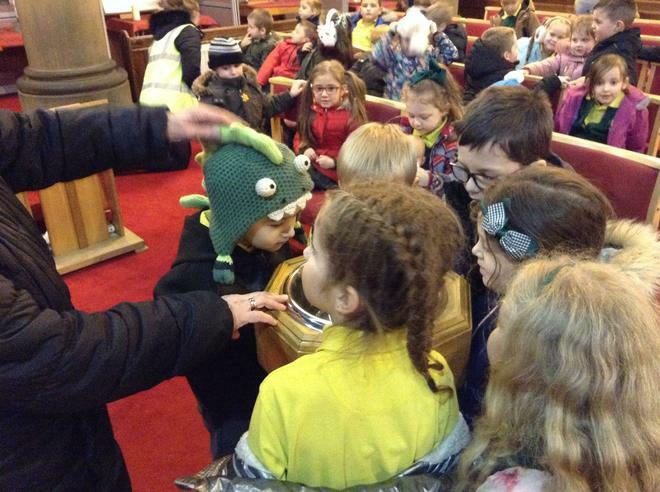 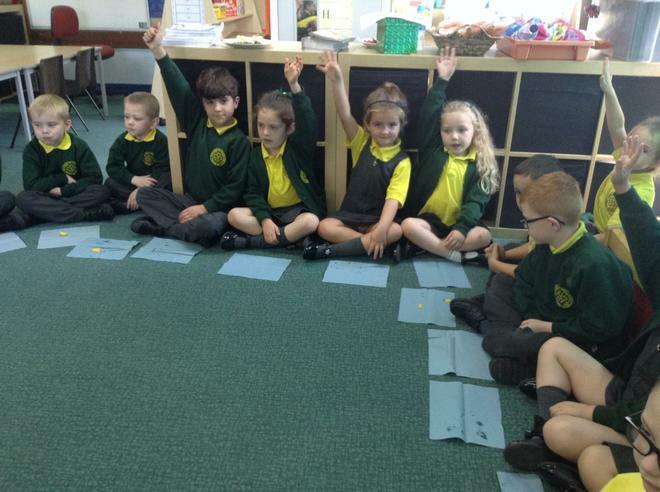 During our RE lessons, we will be learning about how Christians celebrate Harvest. 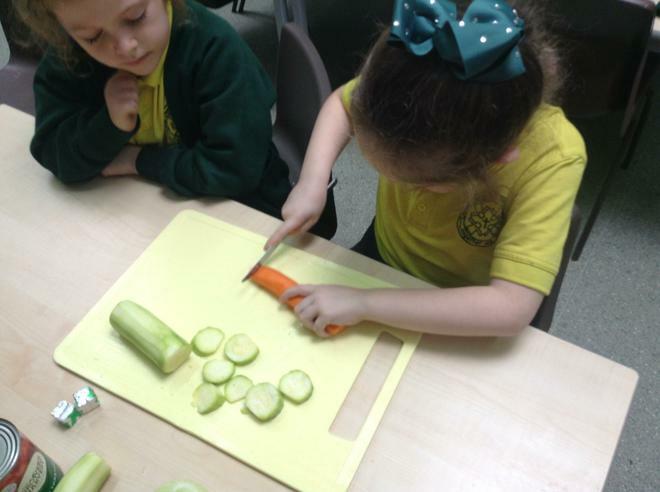 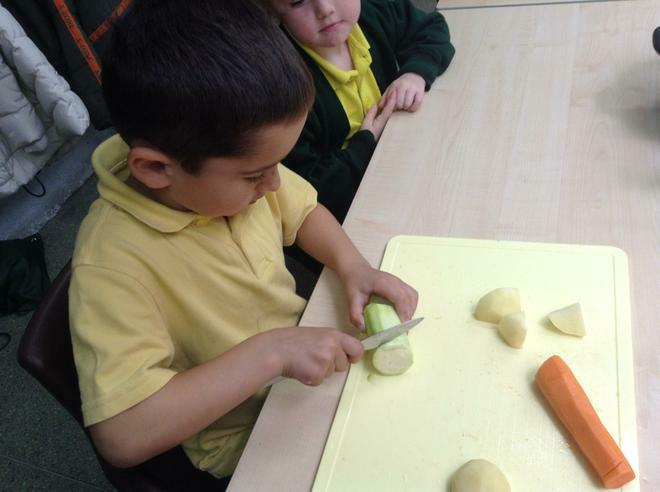 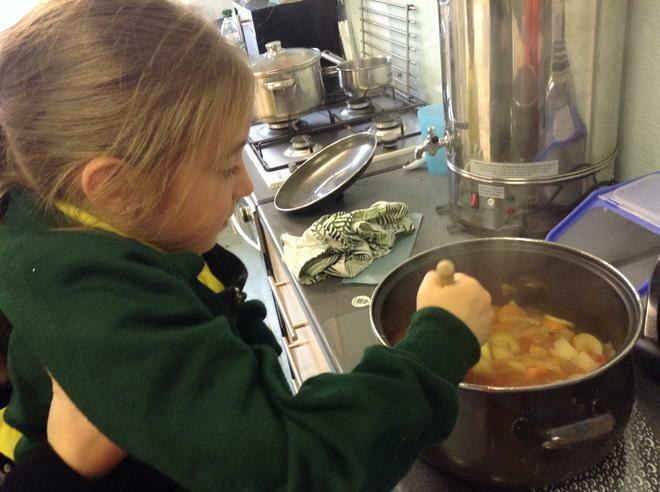 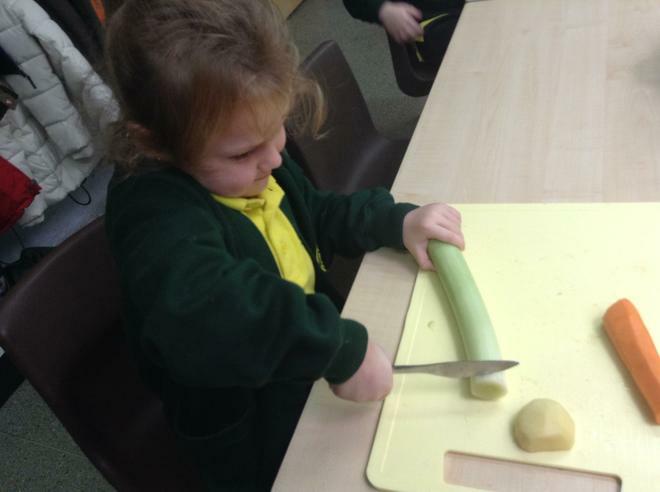 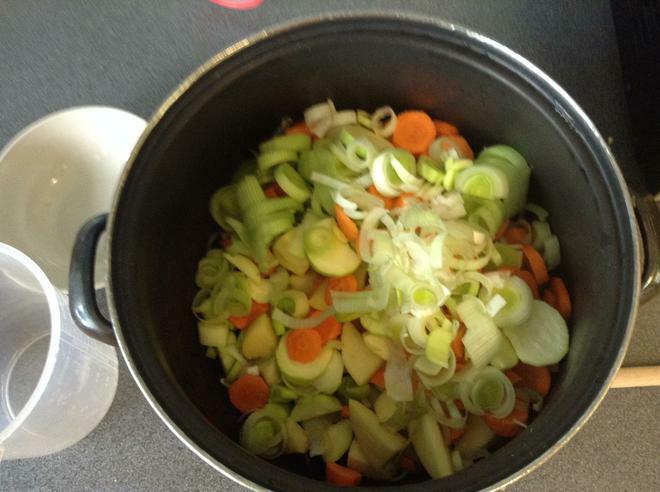 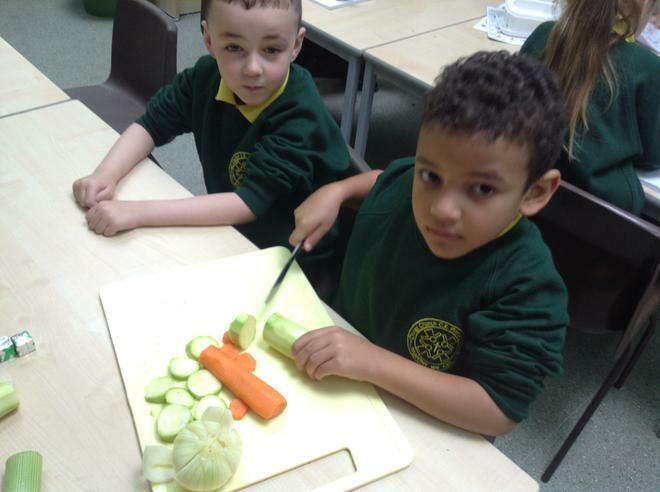 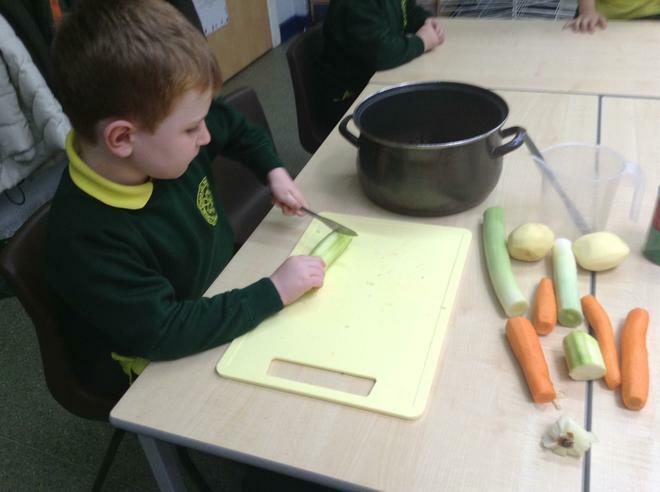 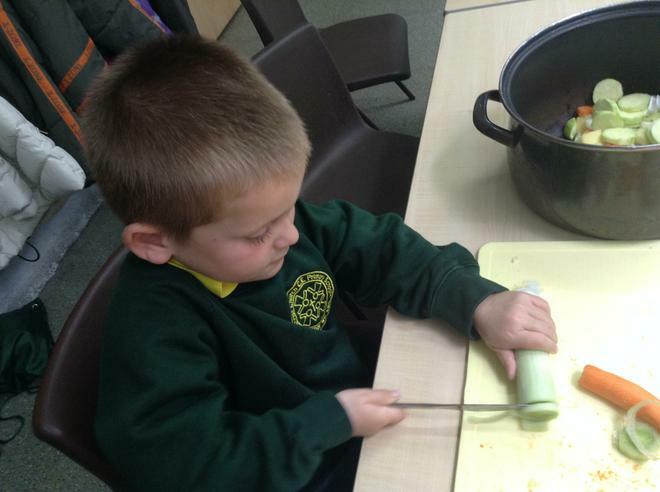 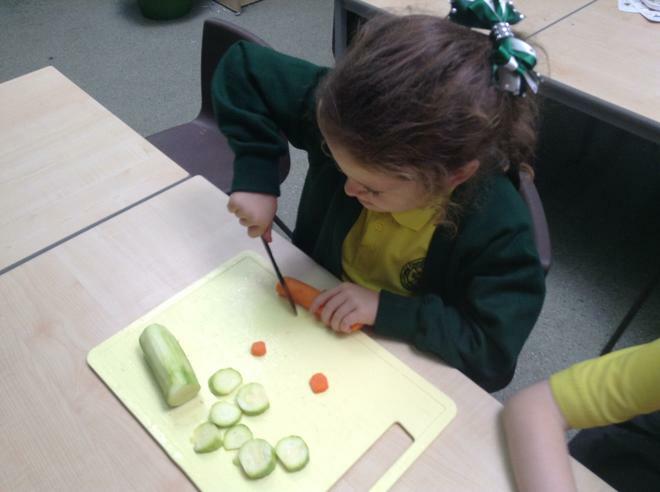 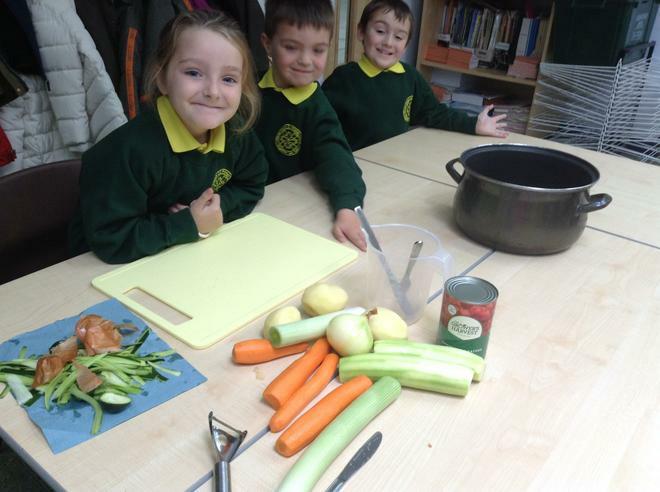 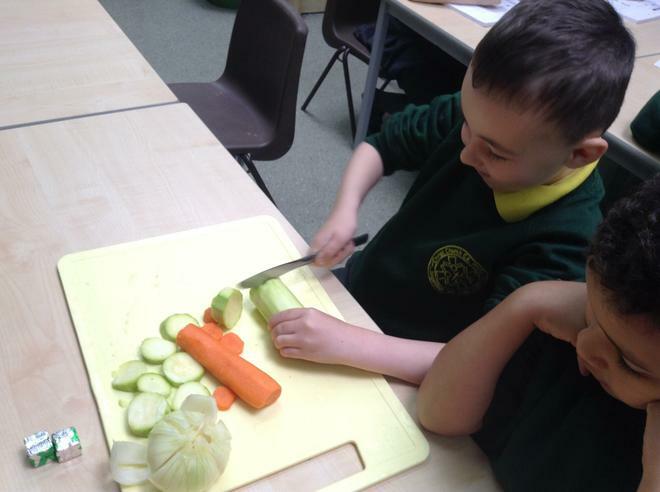 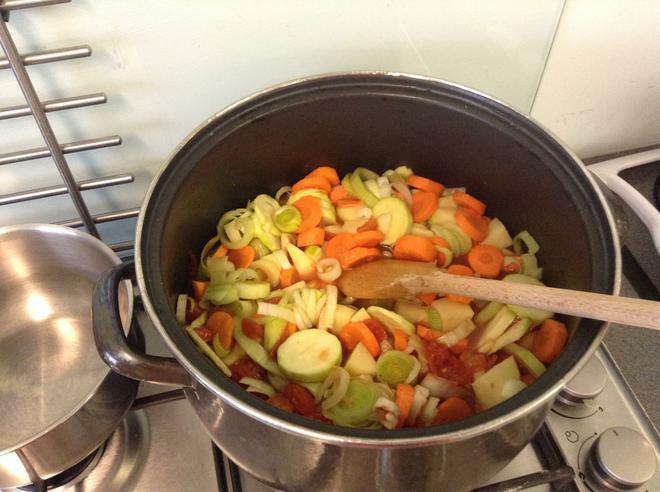 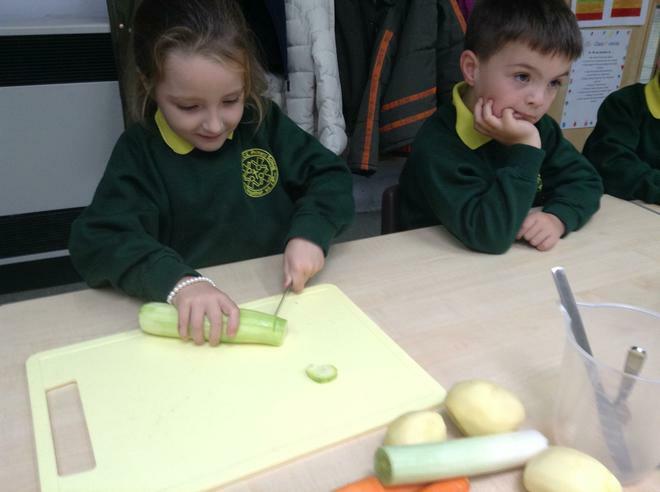 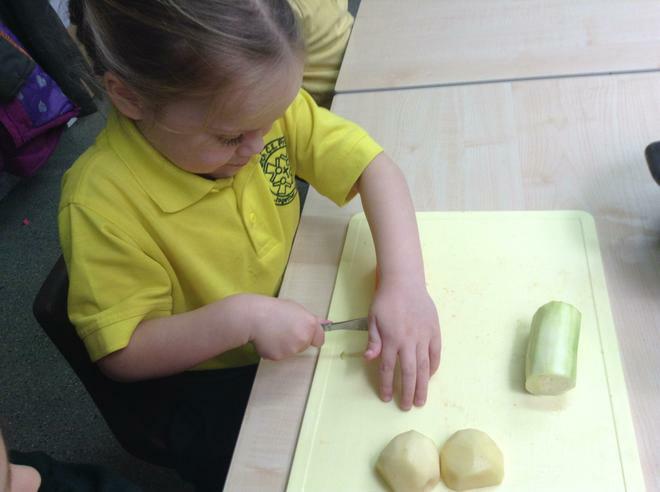 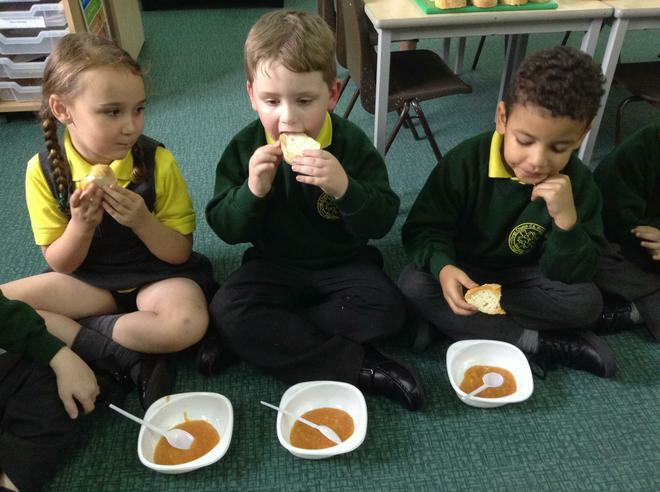 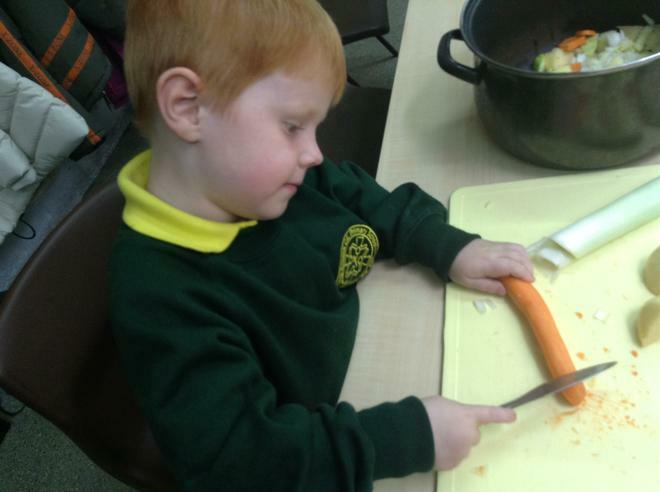 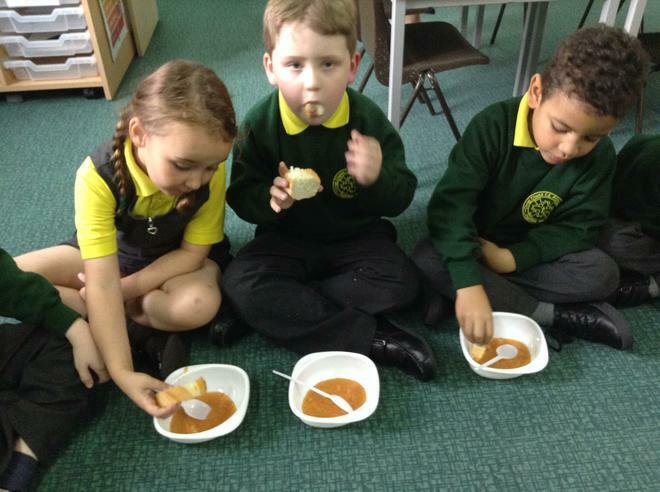 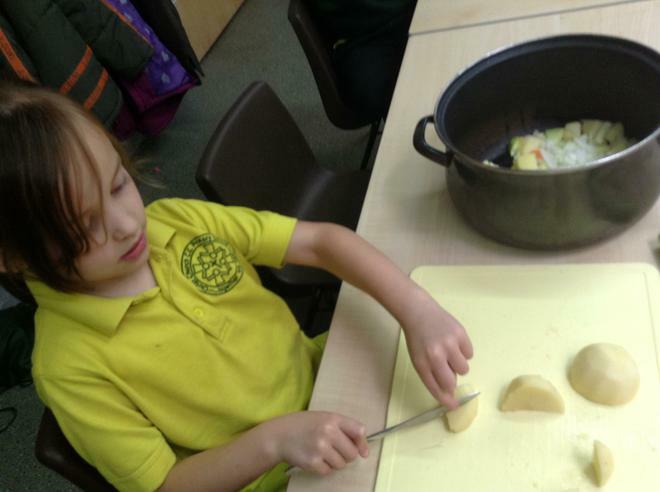 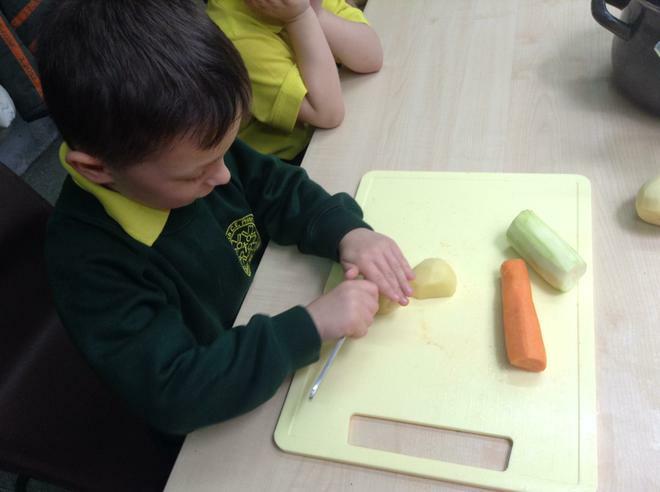 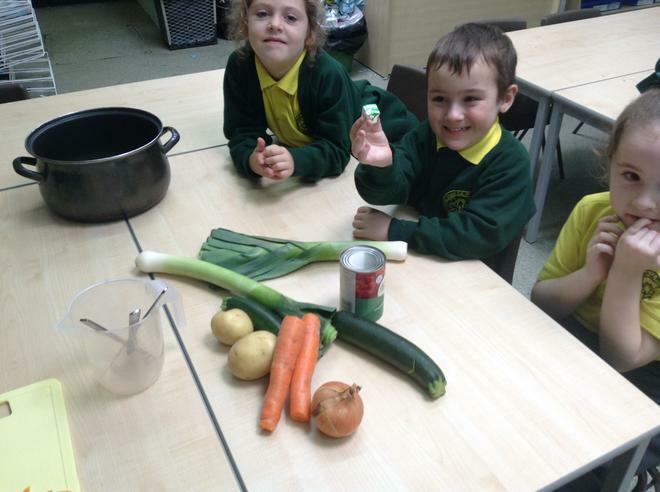 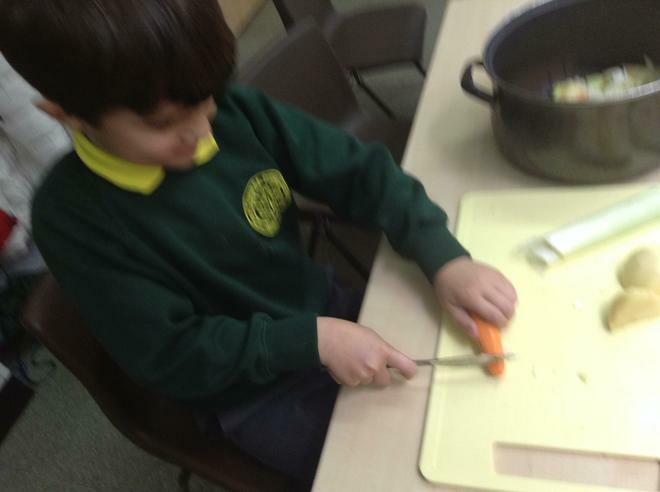 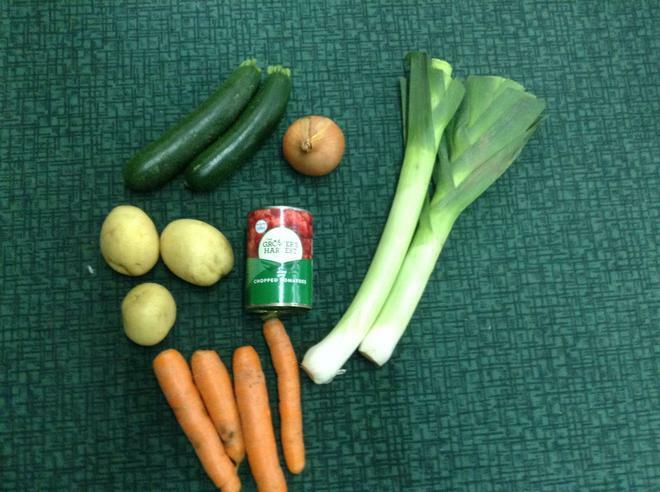 We will be tasting different Harvest vegetables and using some of these to make our own Harvest soup as part of our Design and Technology lessons. 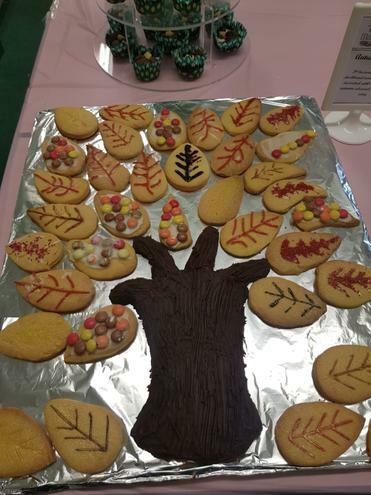 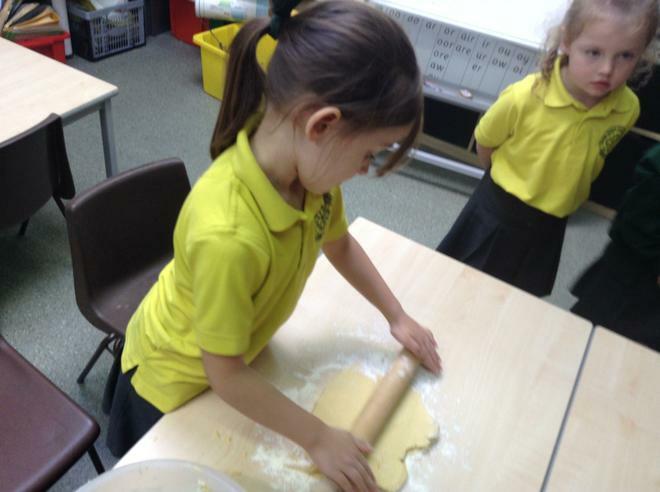 As part of our DT lessons, we have taken part in the 'Christ Church Bake Off'. 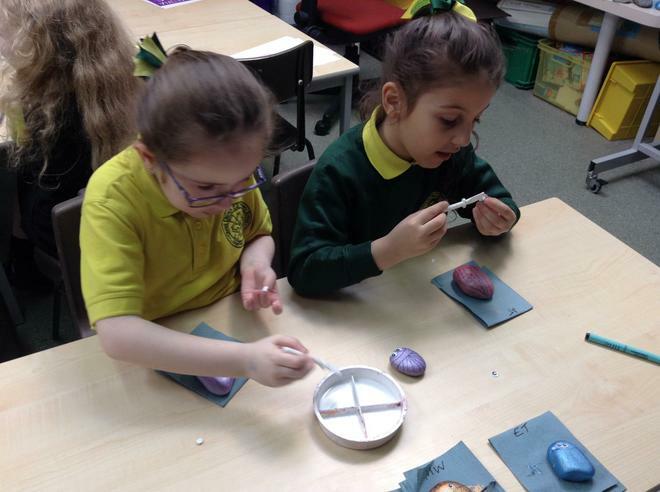 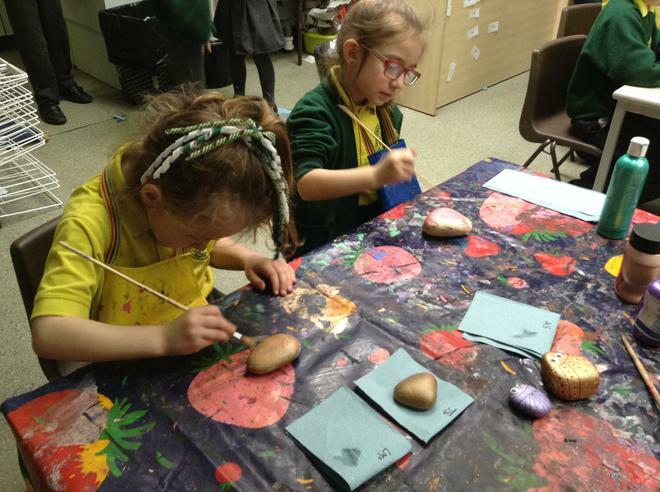 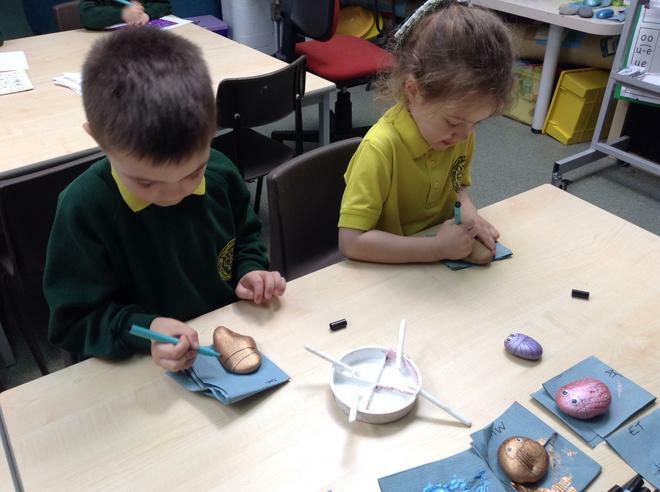 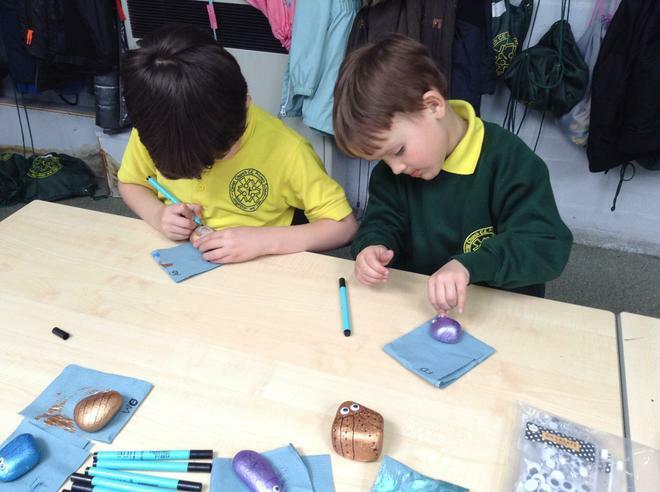 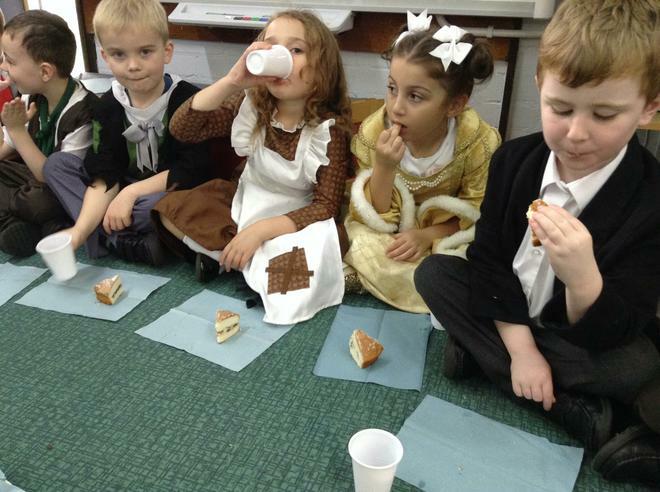 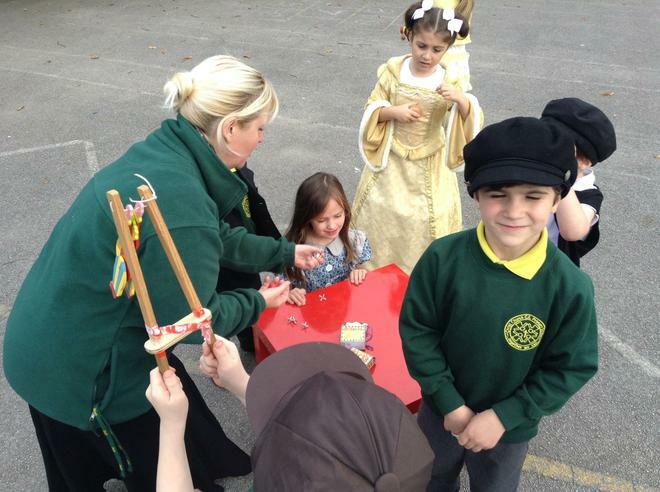 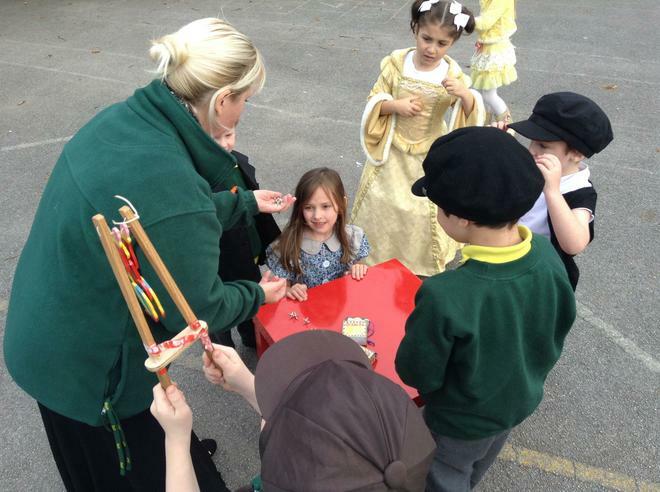 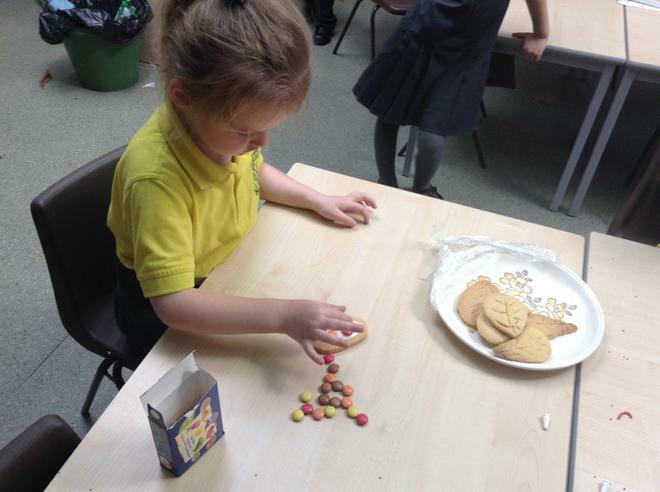 Each class designed their own bake, baked them and then carefully decorated them. 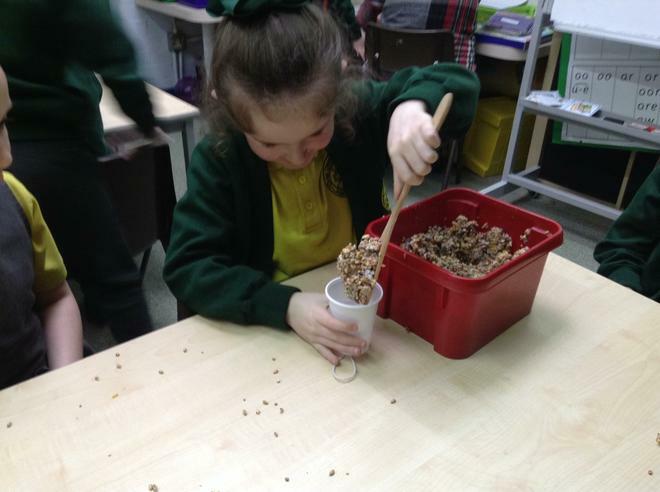 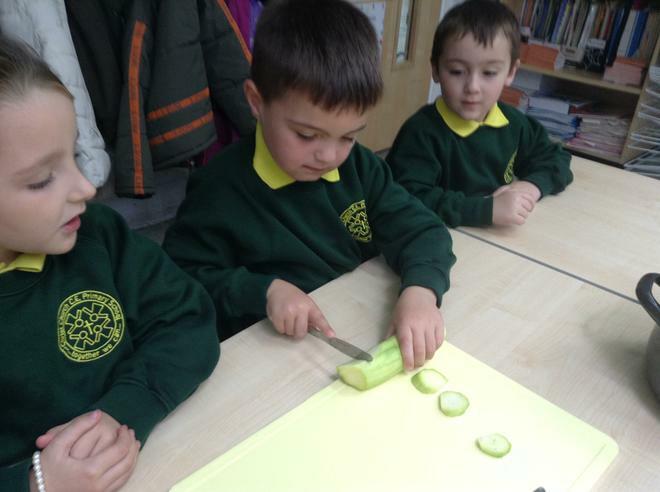 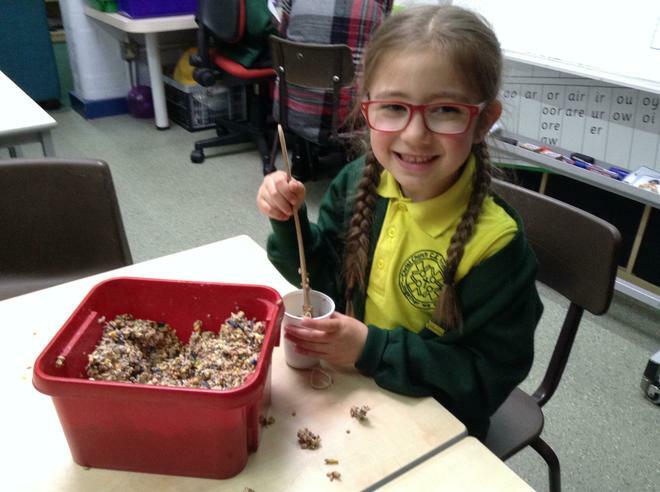 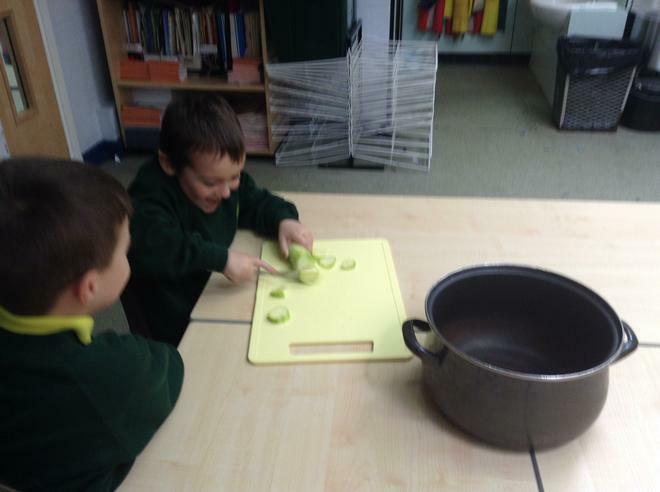 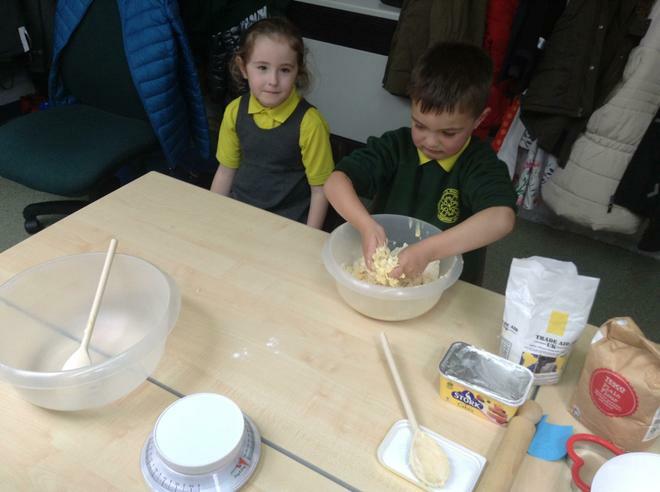 We chose to theme our bake around our science topic 'seasonal changes'. 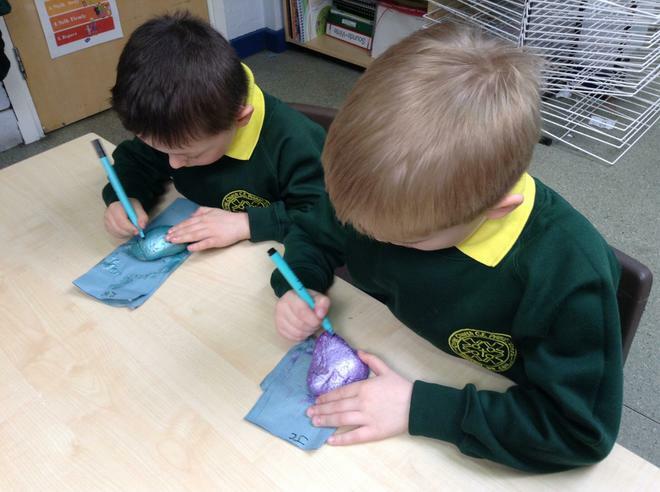 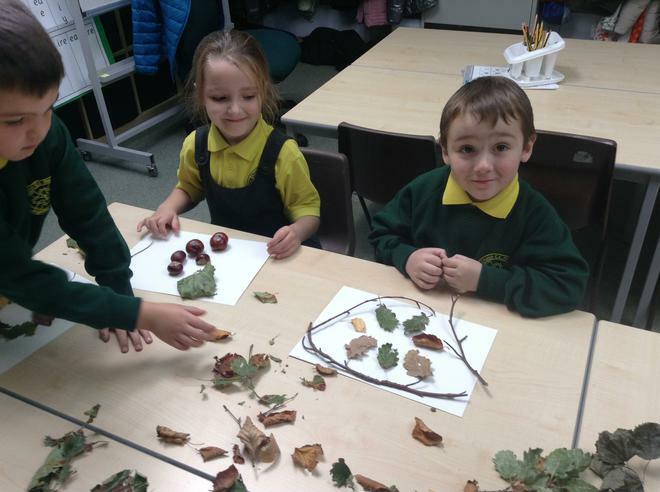 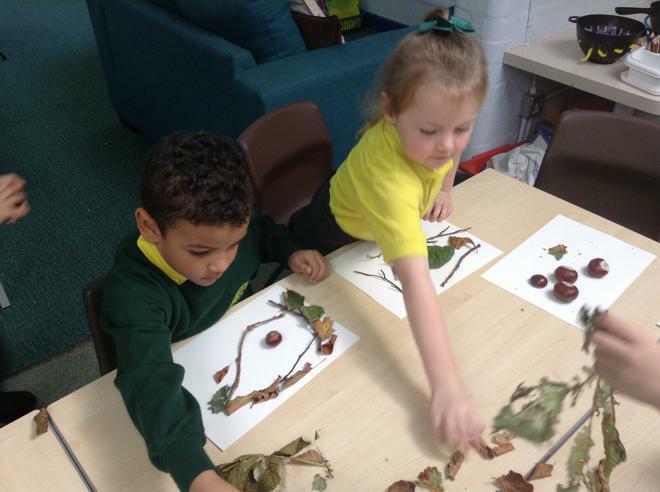 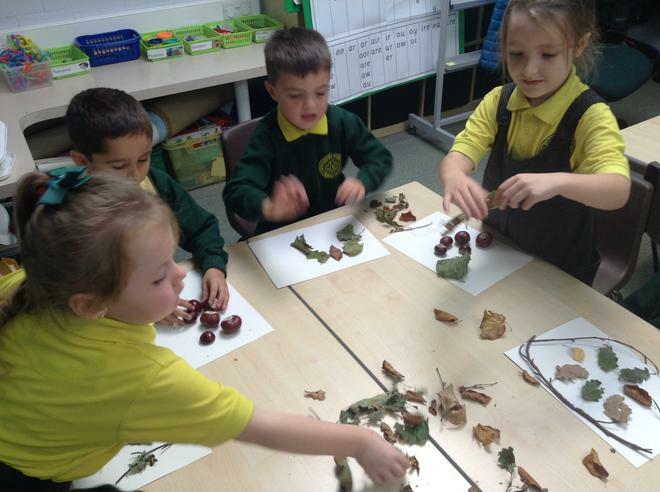 We each designed an Autumn leaf and thought about which sweets we could use to decorate them with. 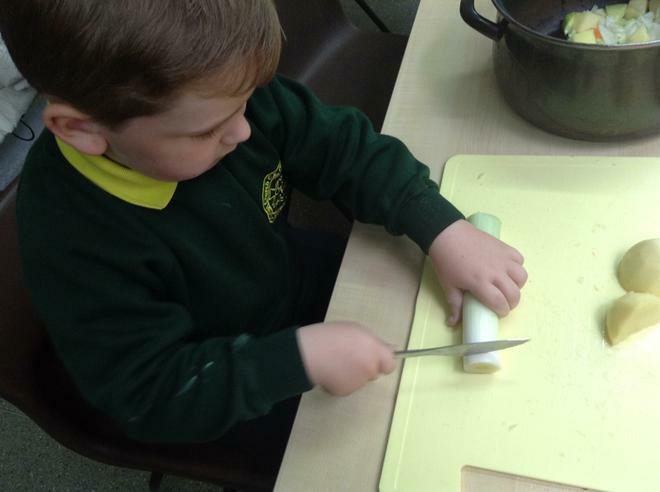 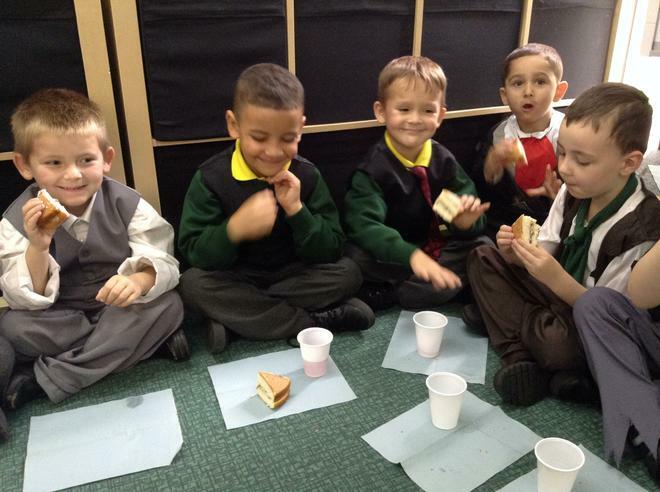 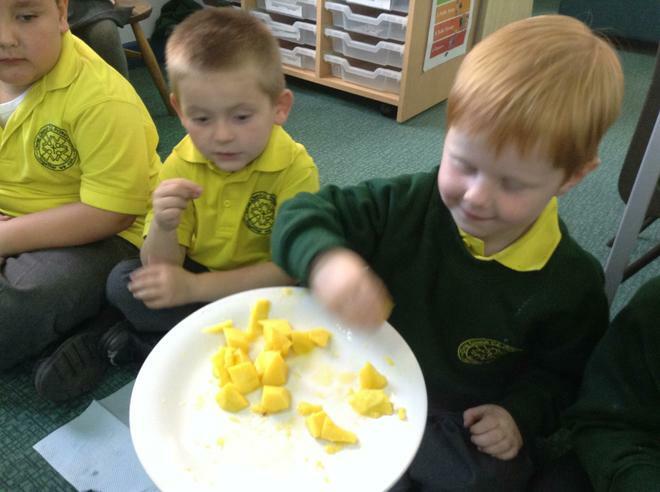 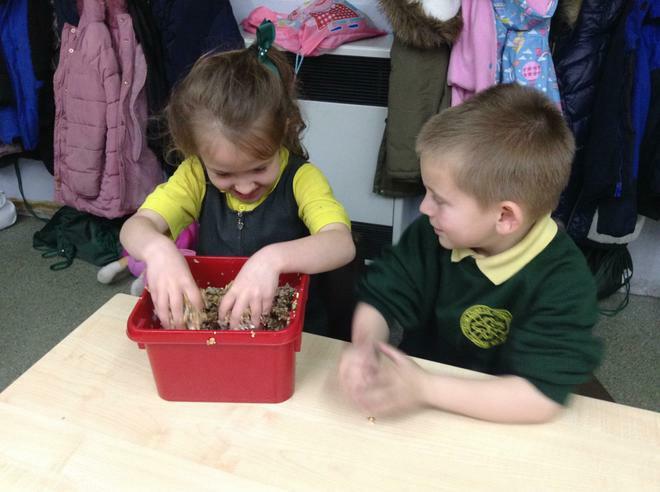 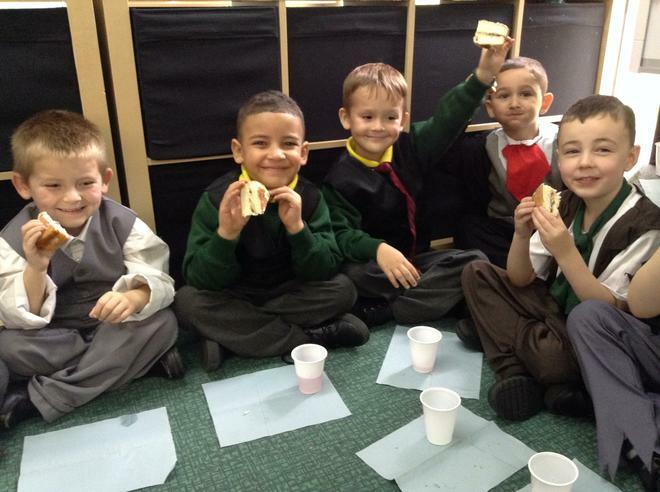 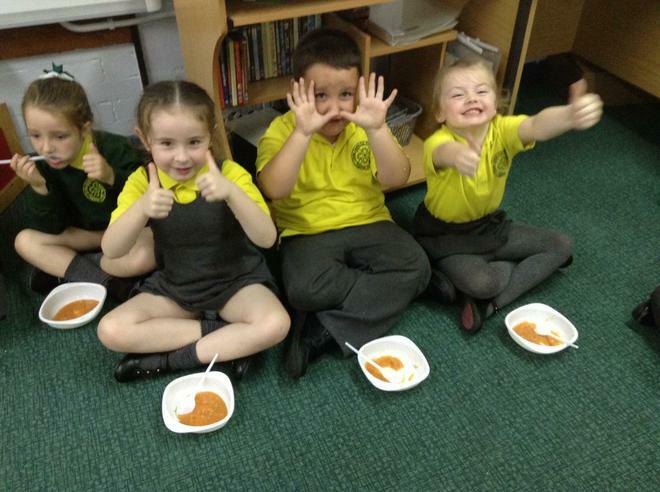 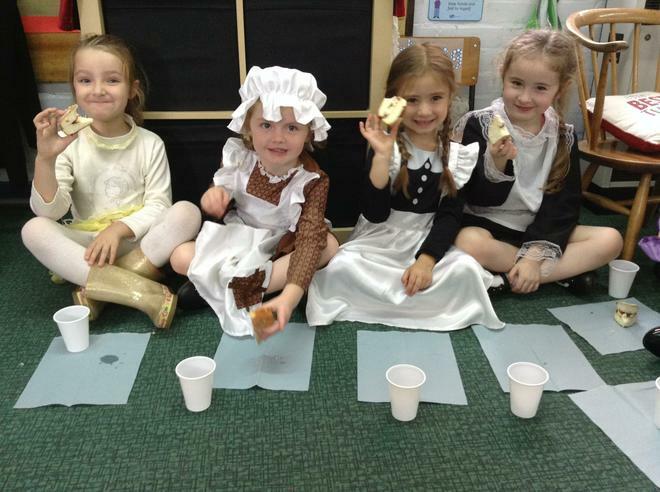 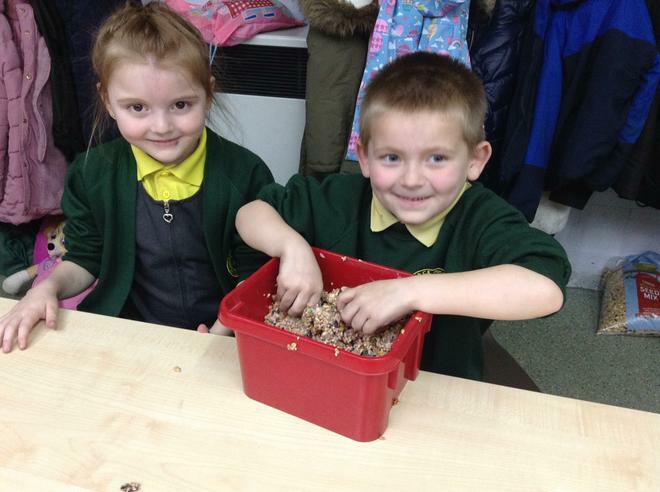 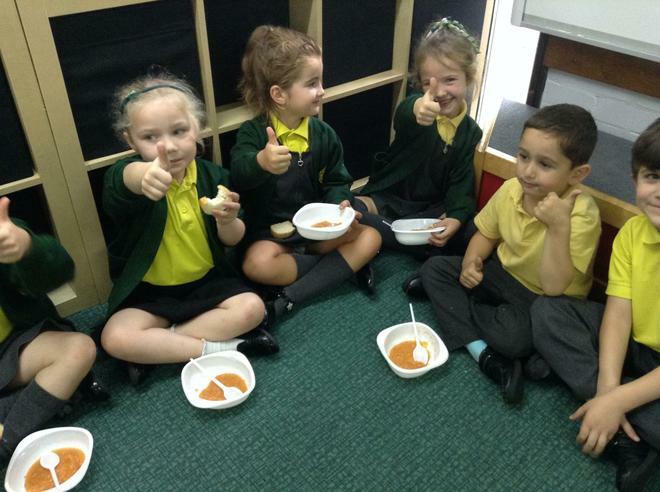 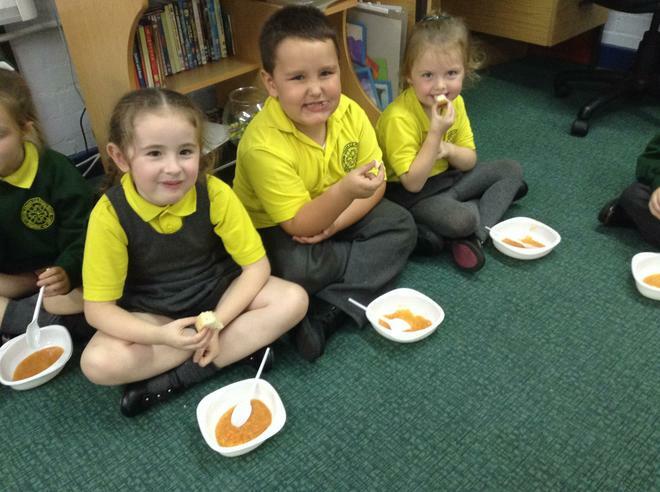 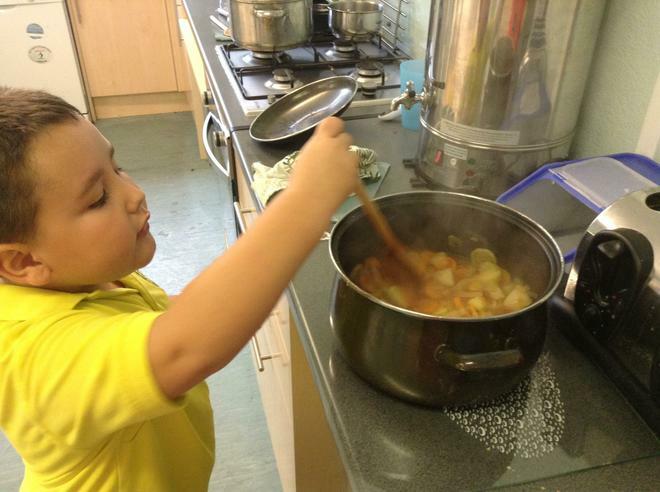 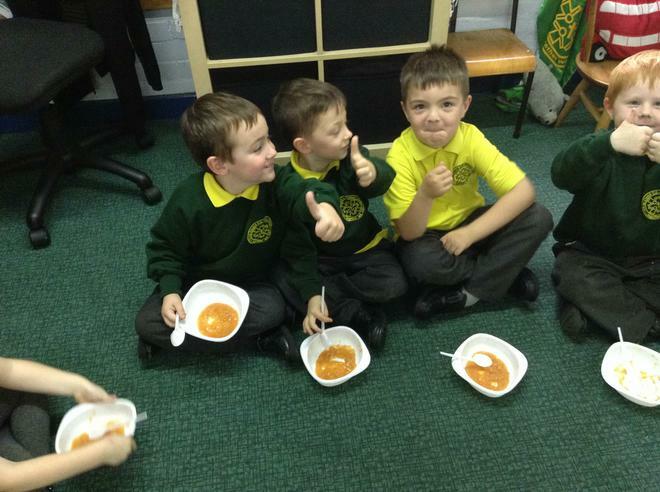 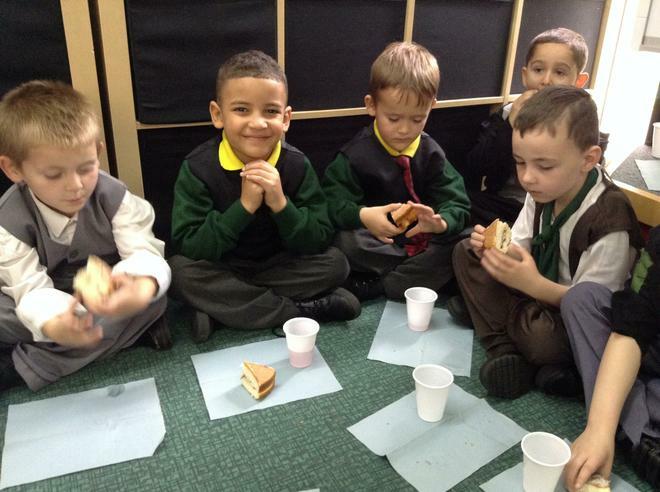 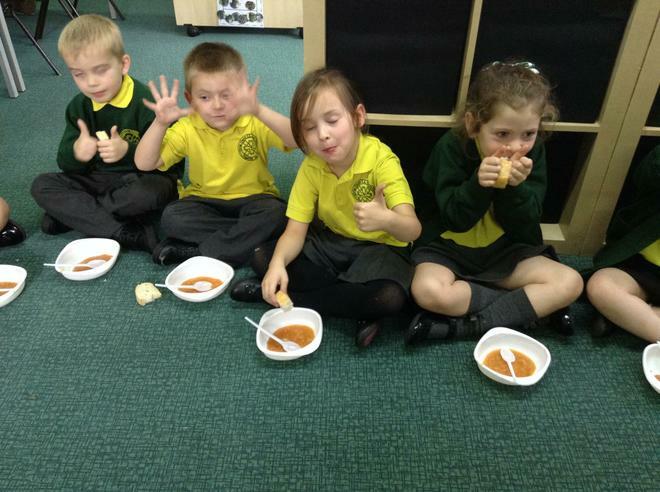 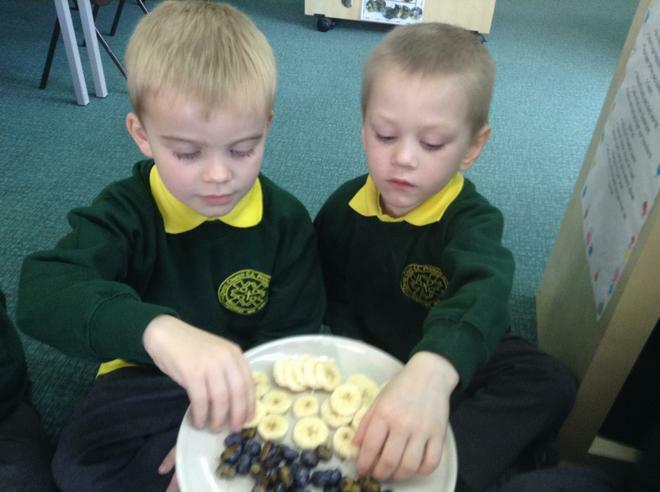 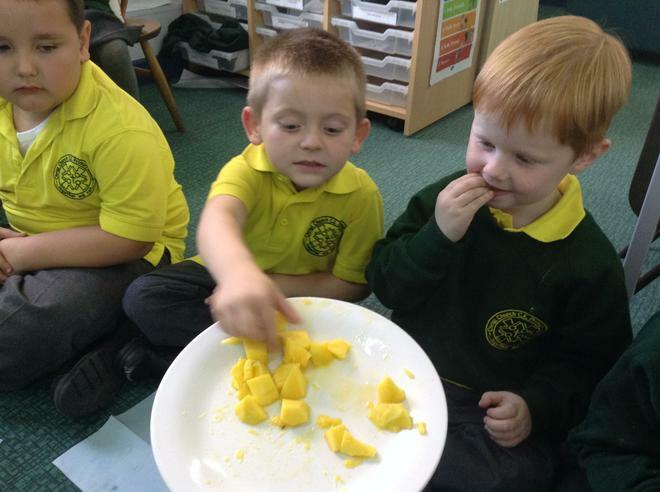 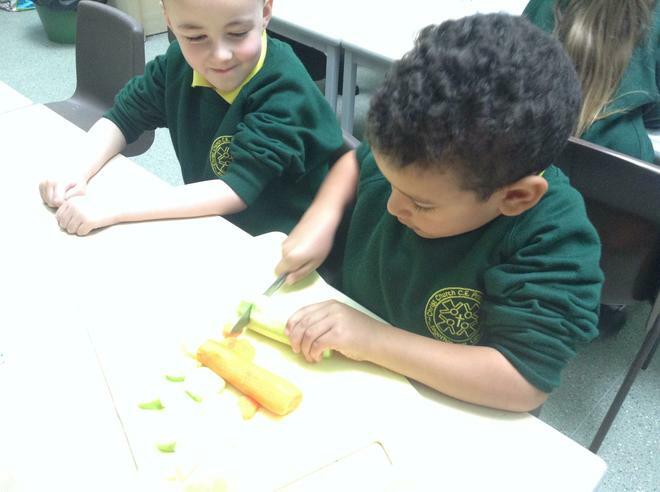 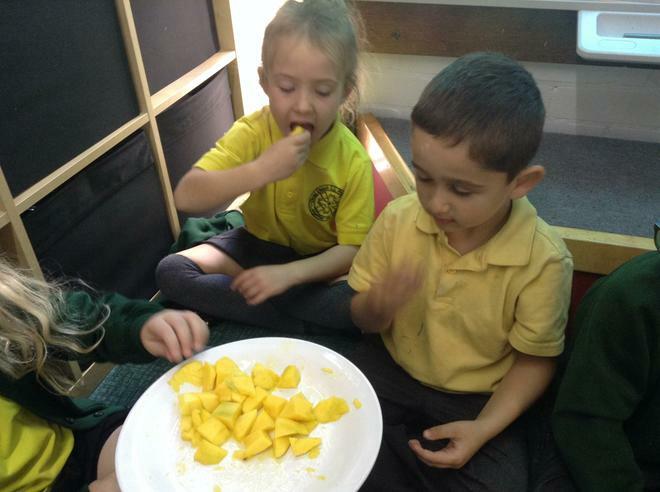 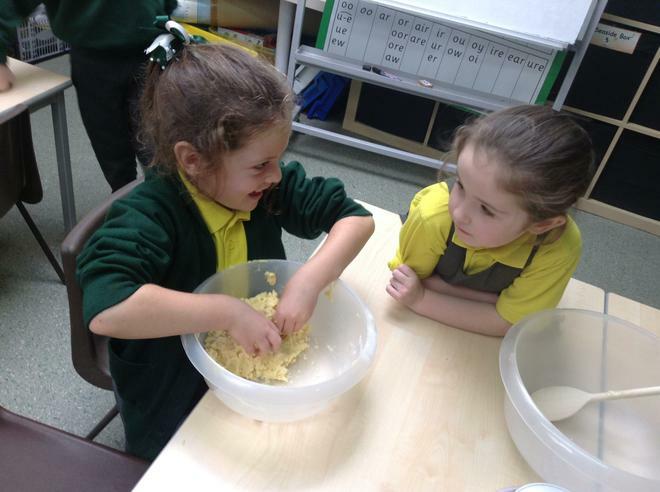 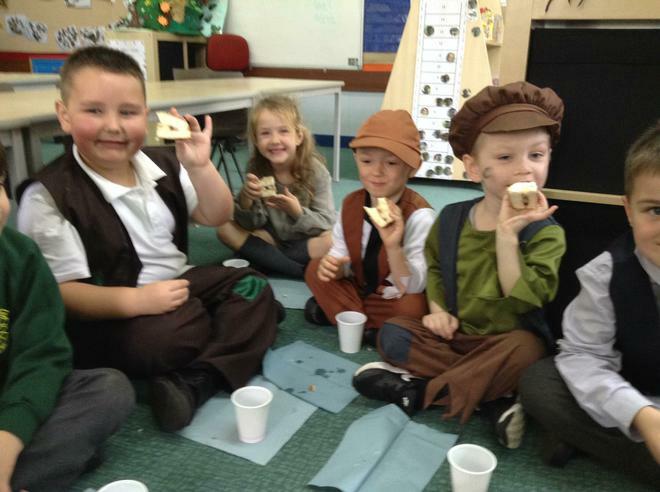 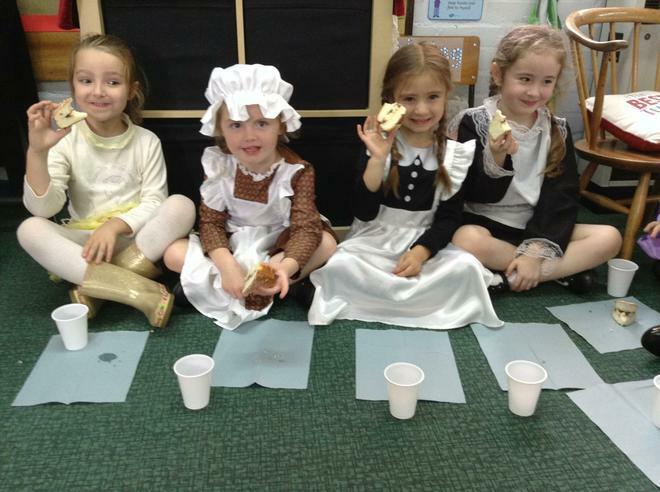 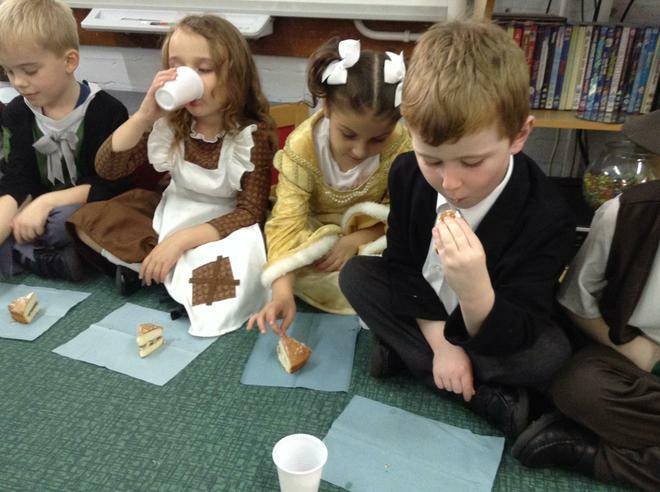 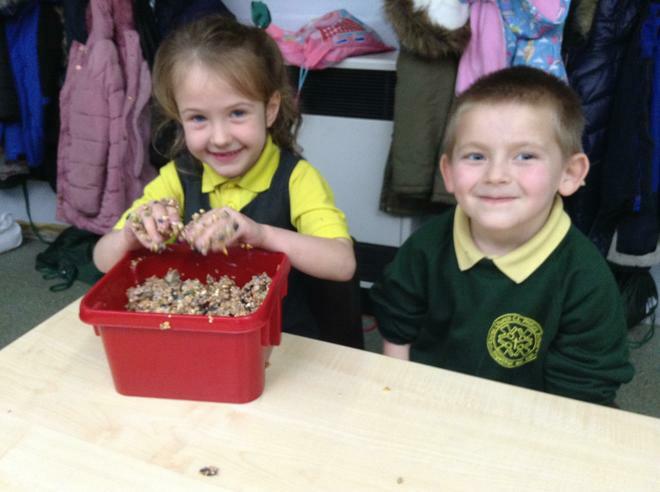 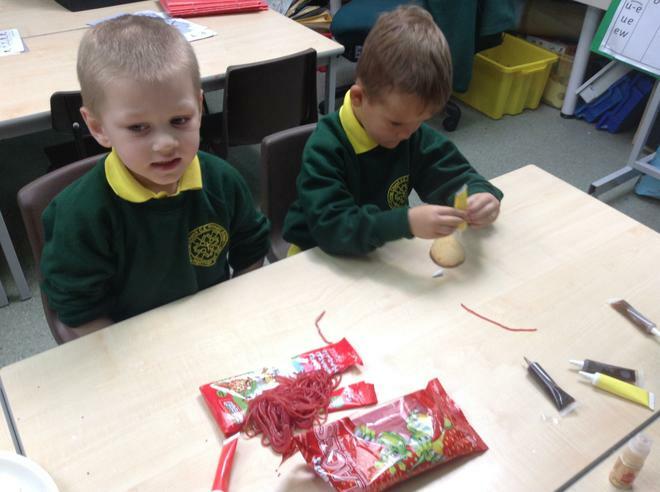 We had lots of fun making our shortbread biscuits and even more fun eating them! 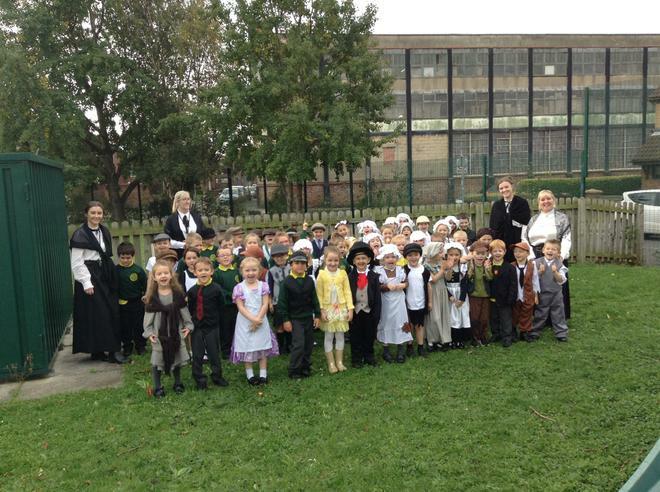 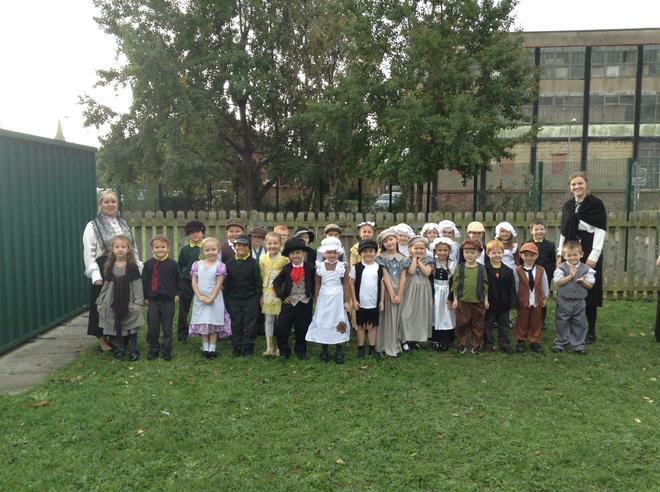 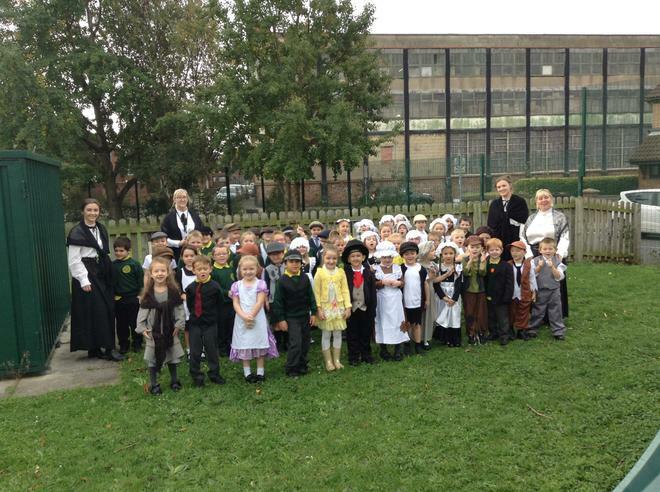 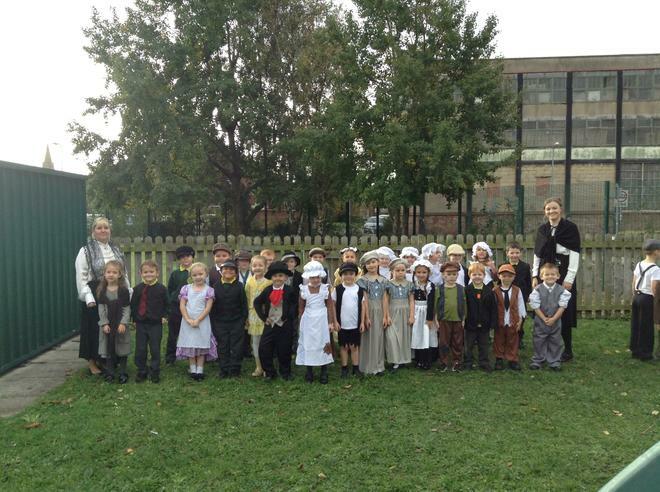 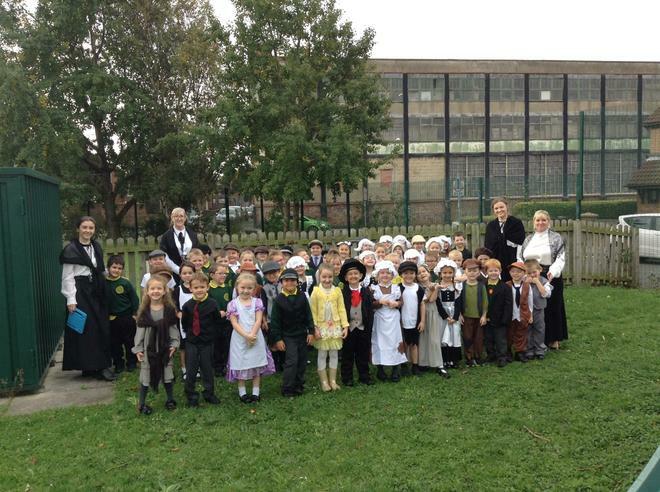 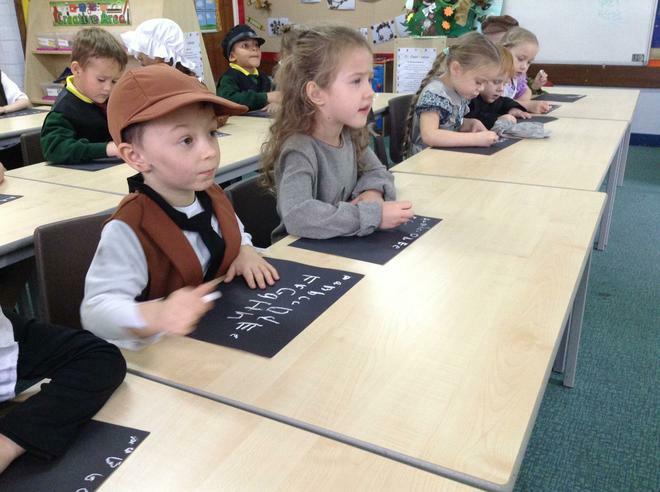 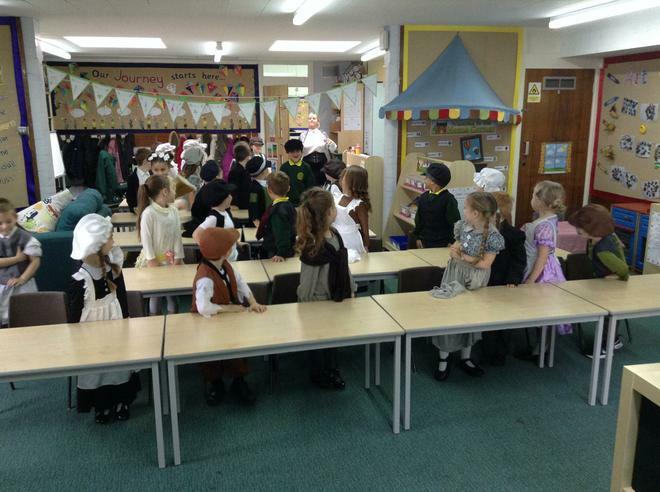 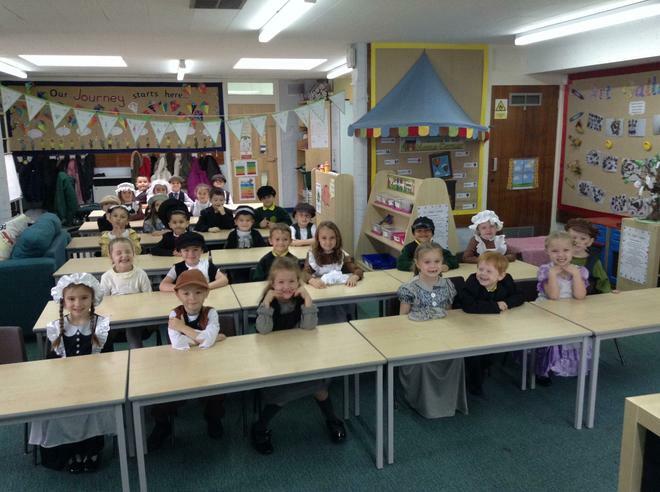 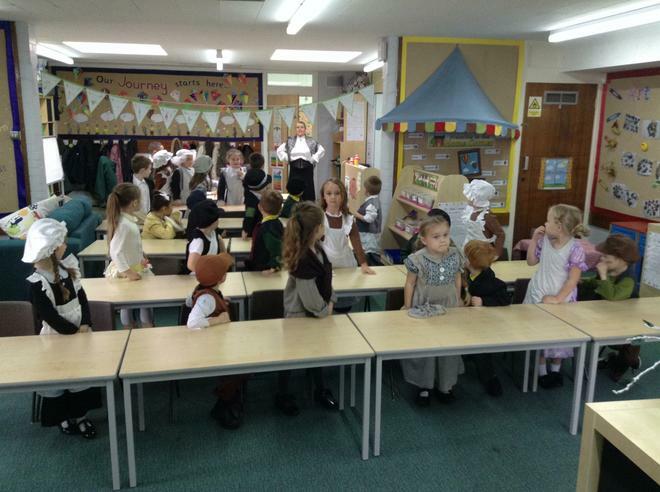 Our History topic this term is 'How life has changed'. 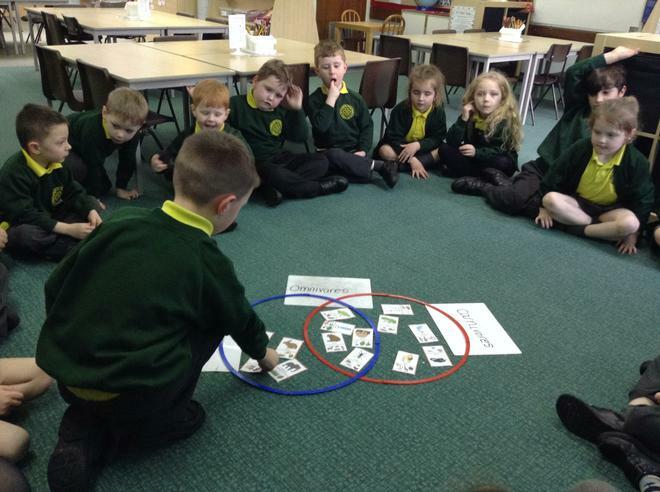 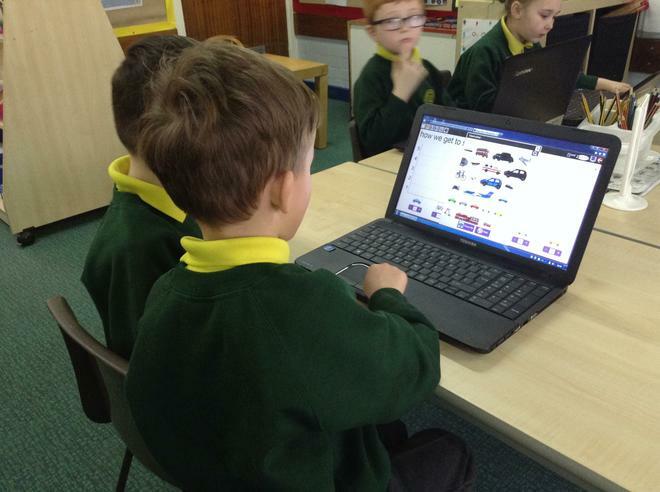 We will be looking at how our lives have changed since we were born and also use a variety of different sources to identify how others lives have changed over time. 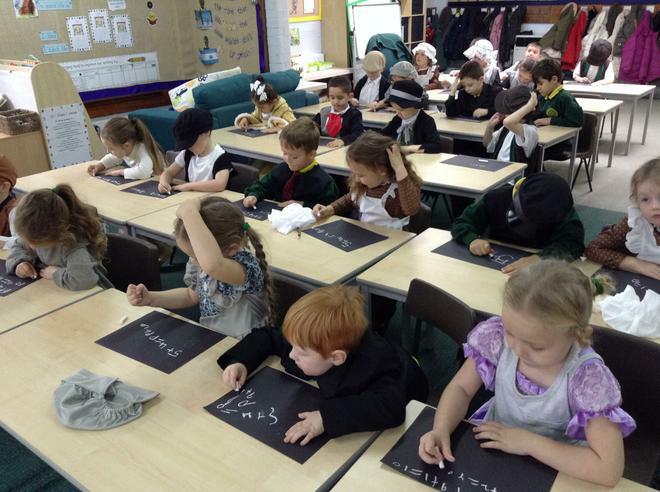 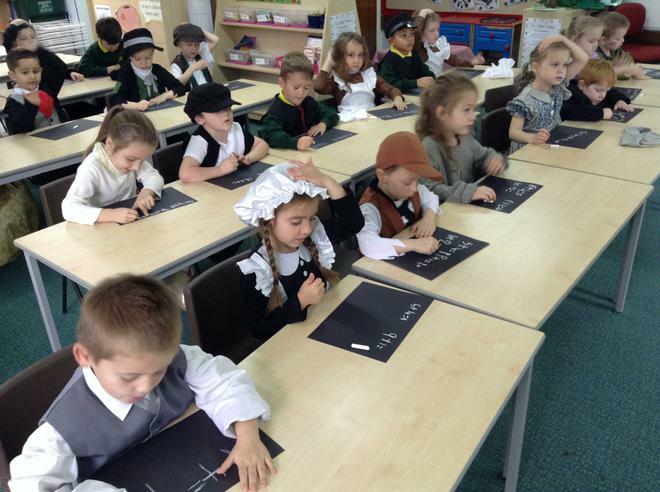 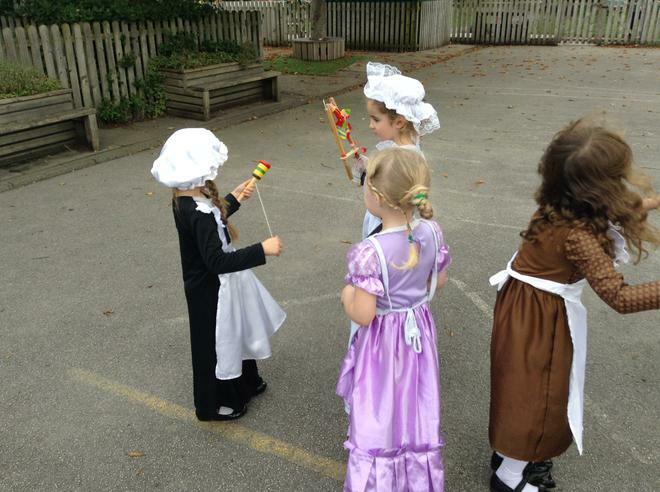 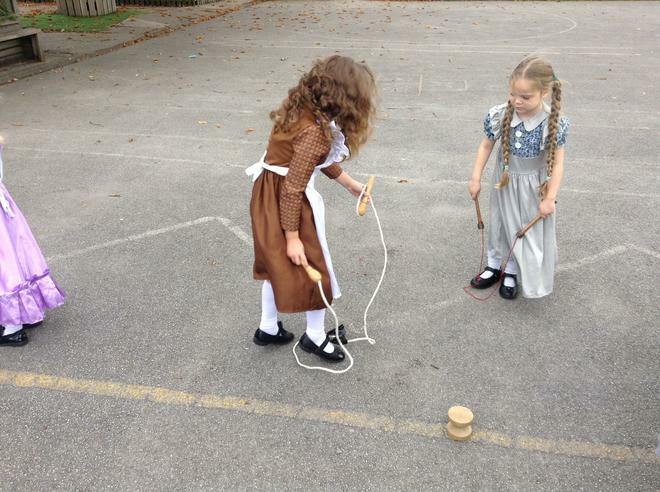 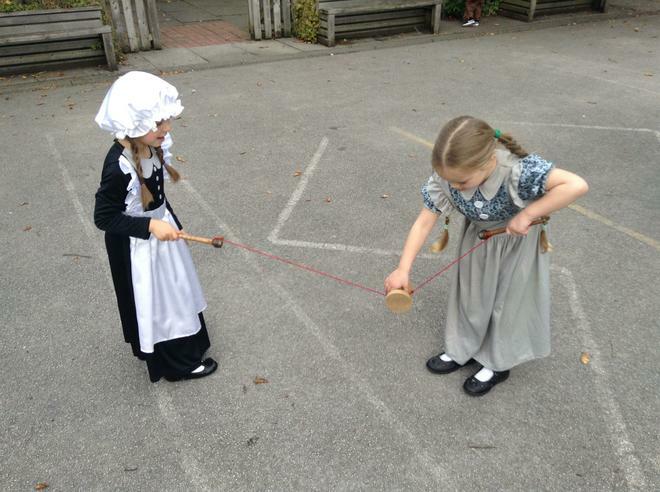 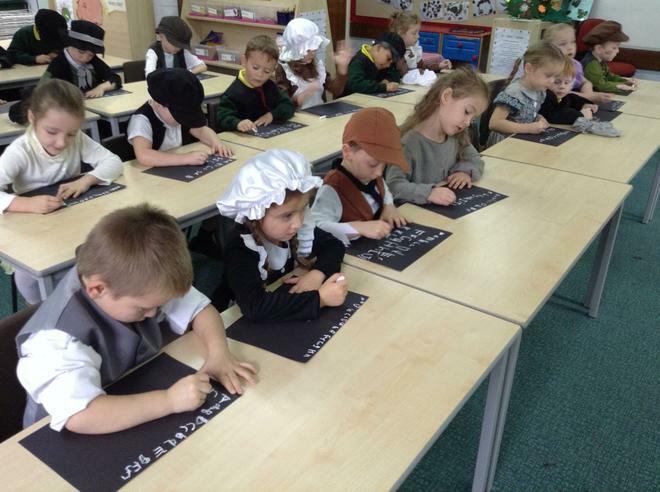 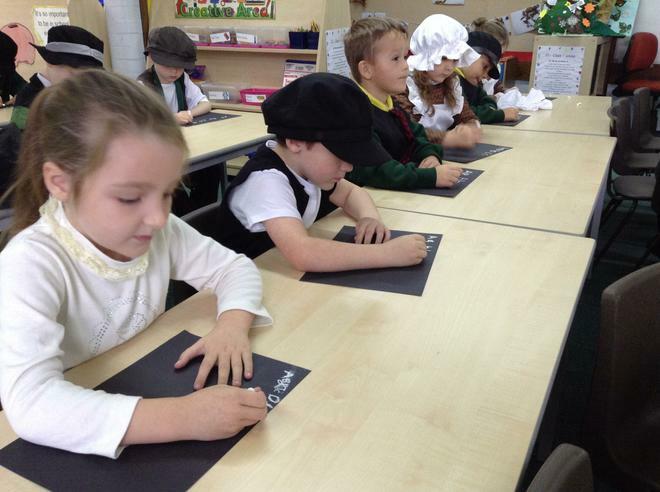 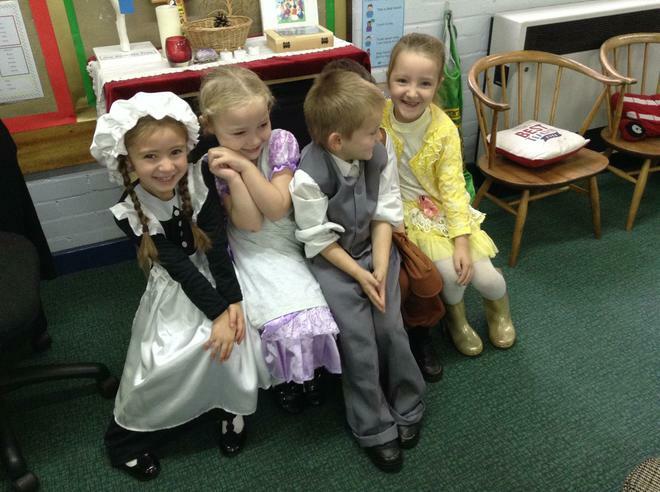 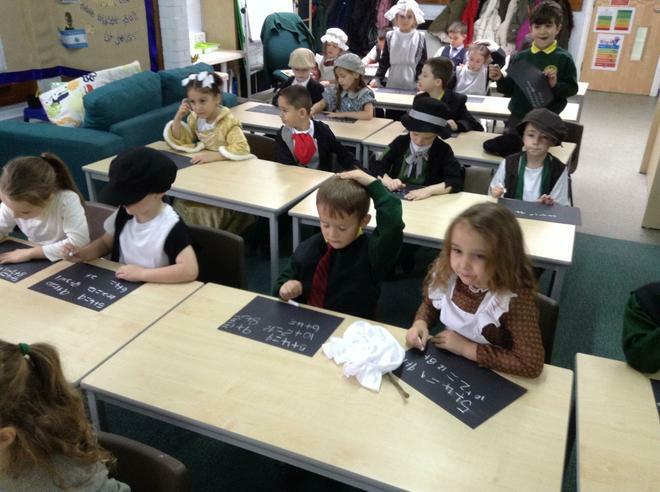 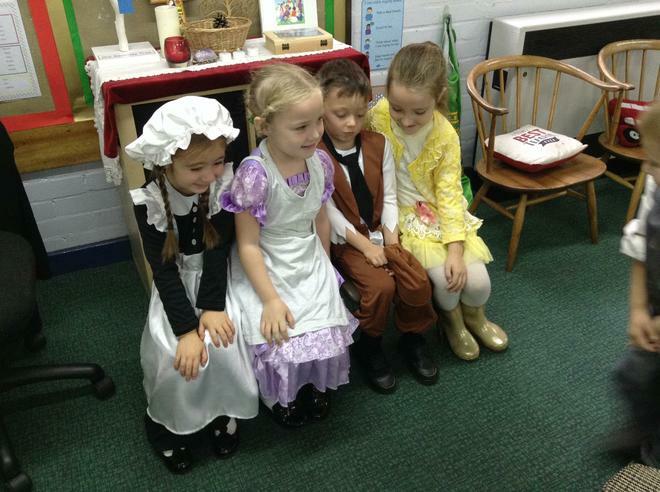 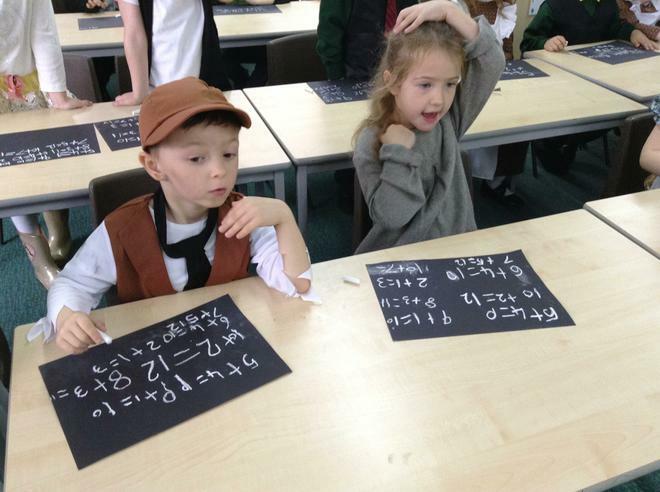 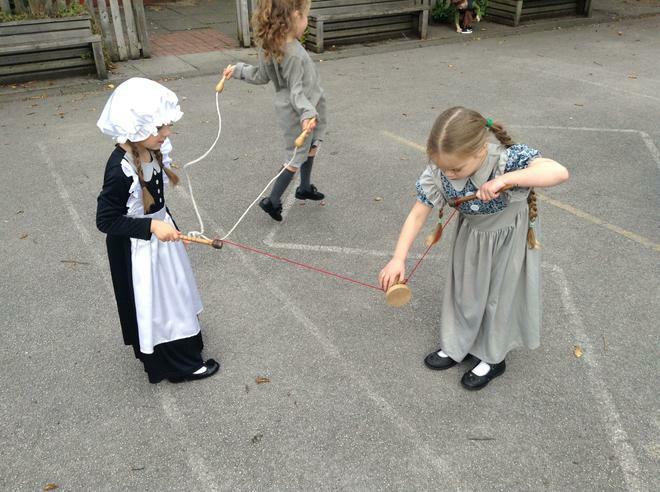 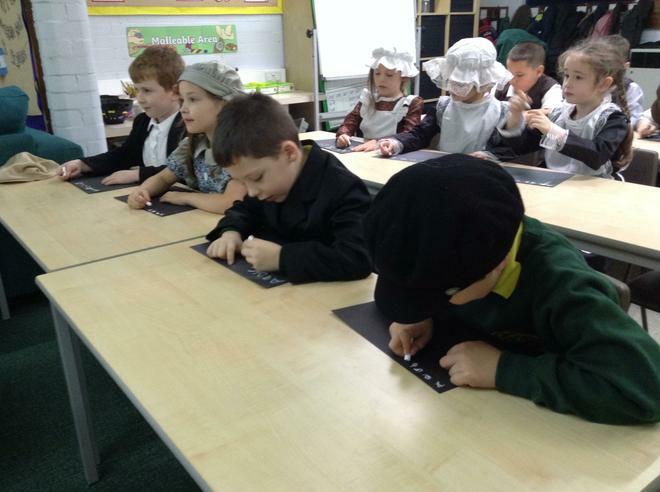 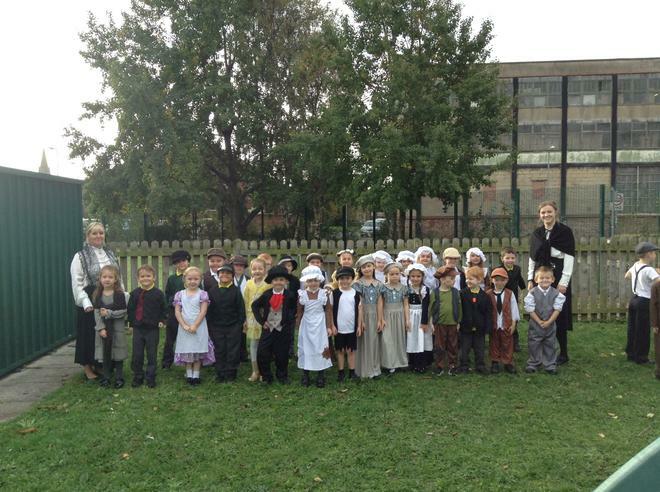 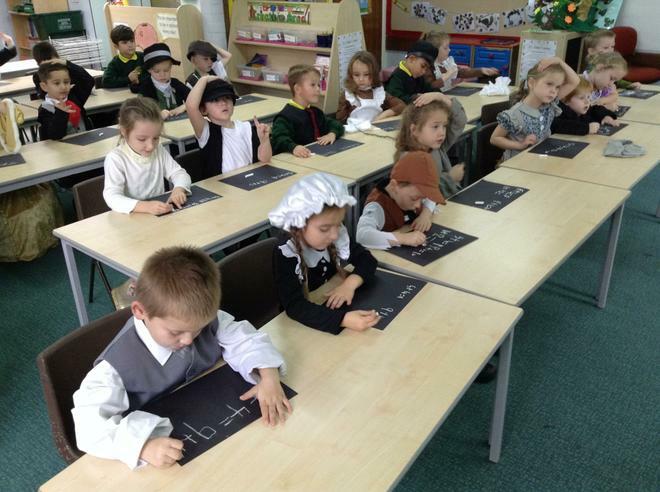 We will be looking at home life and school life from the past and use a range of key vocabulary to talk about the past. 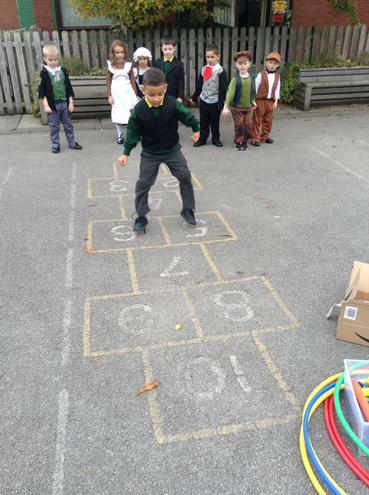 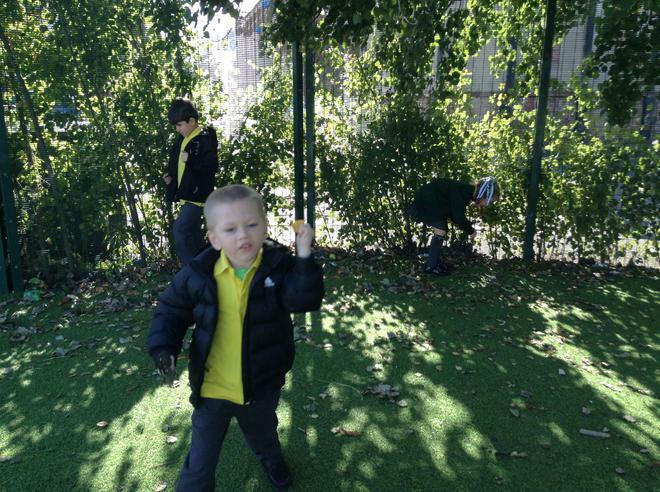 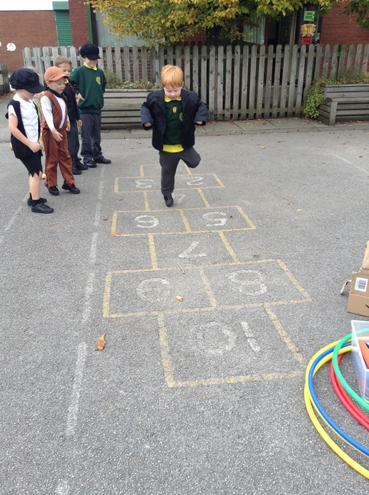 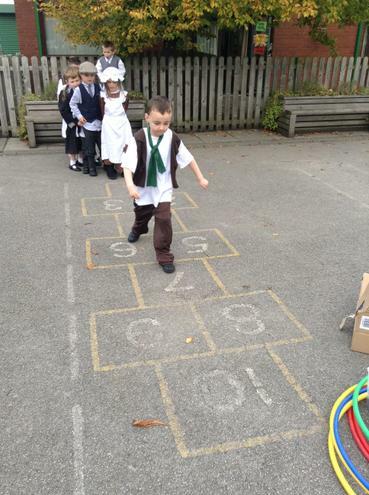 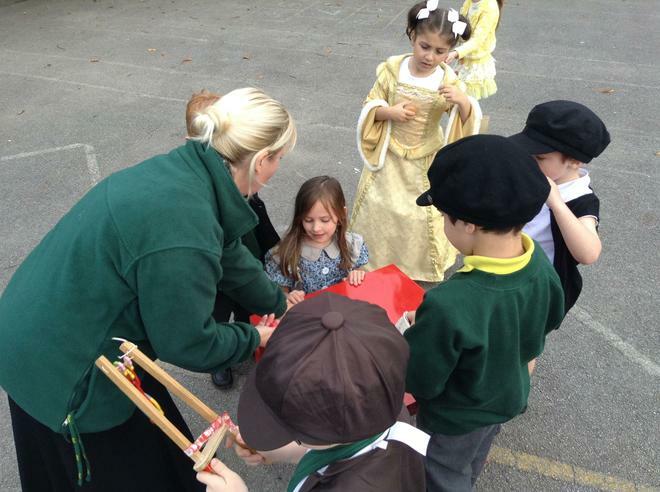 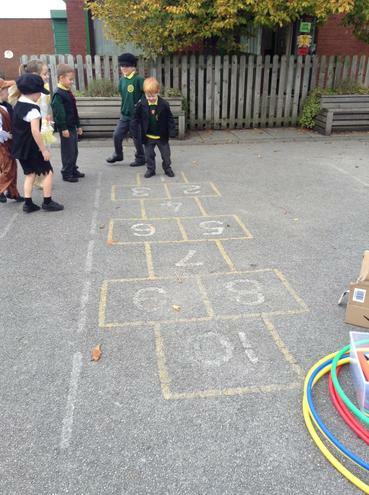 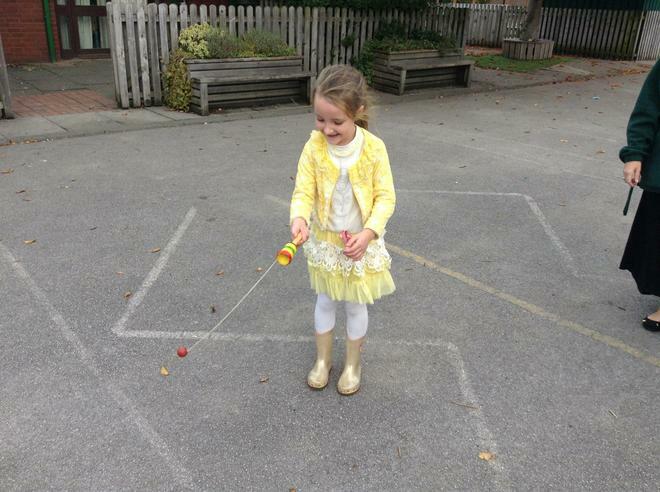 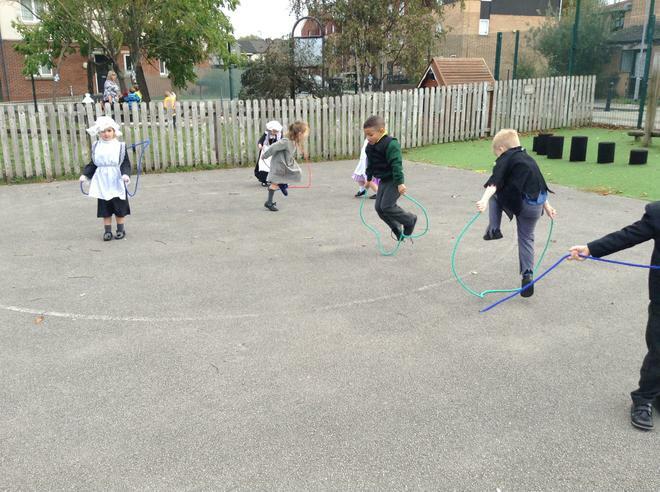 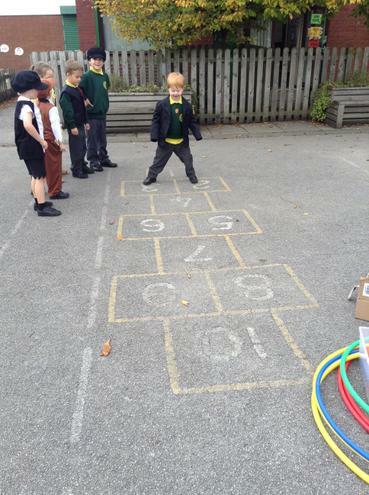 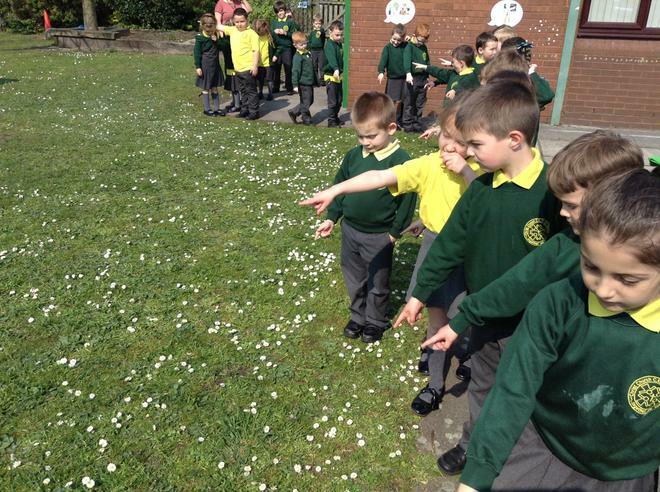 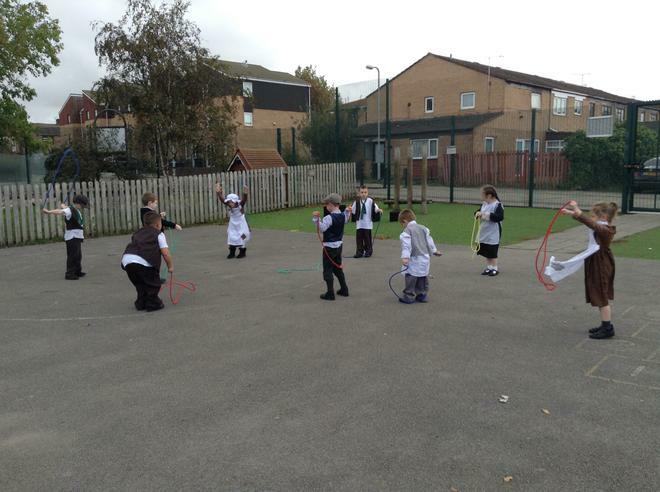 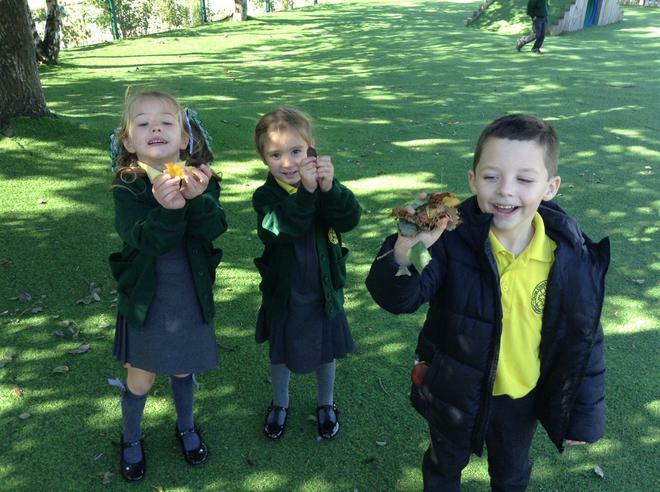 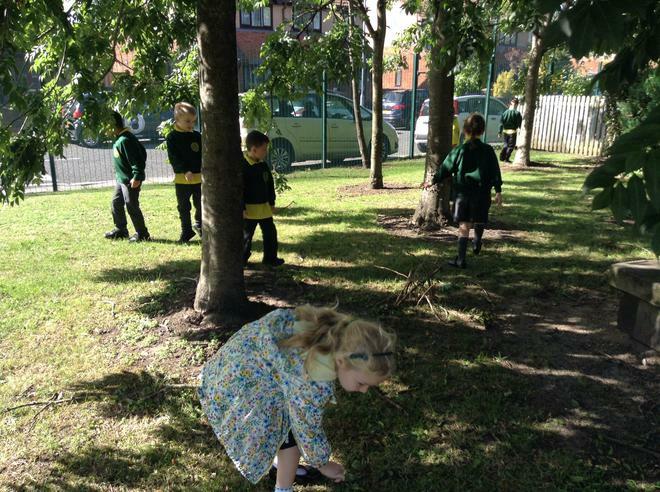 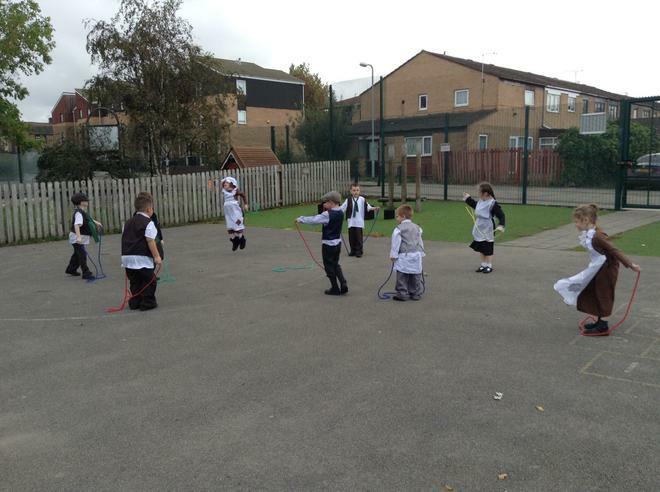 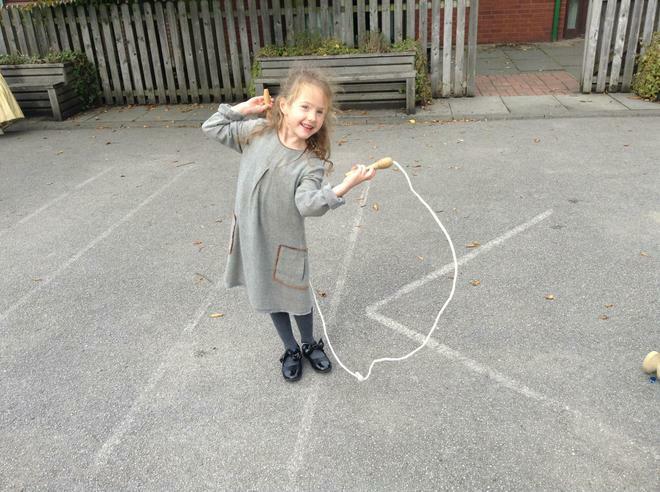 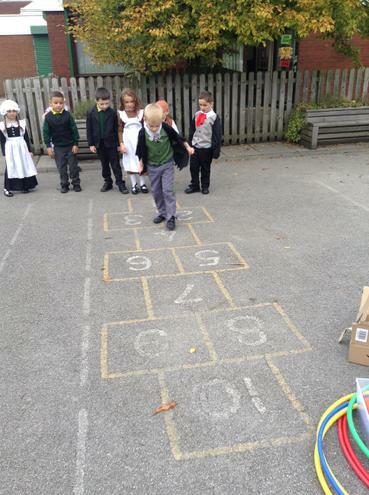 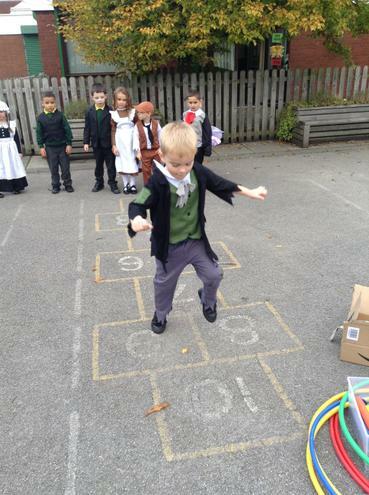 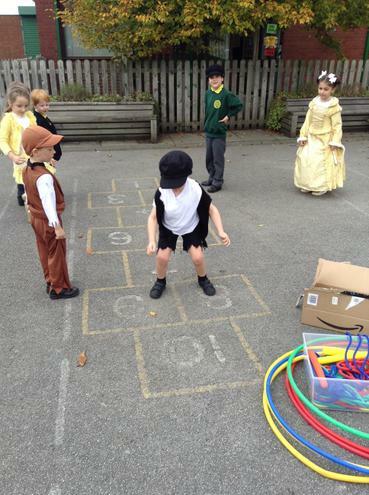 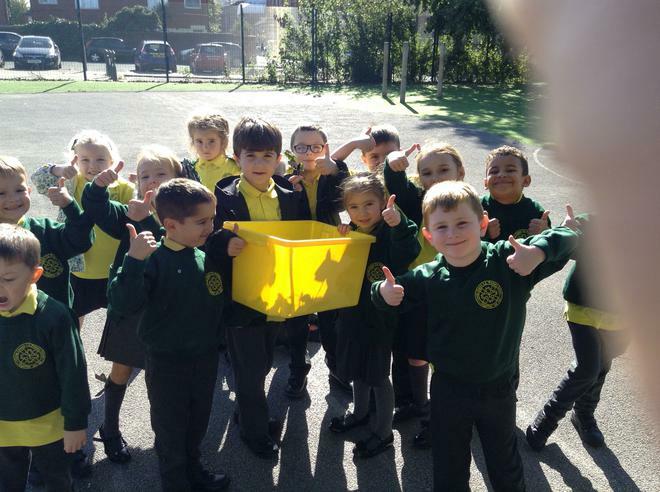 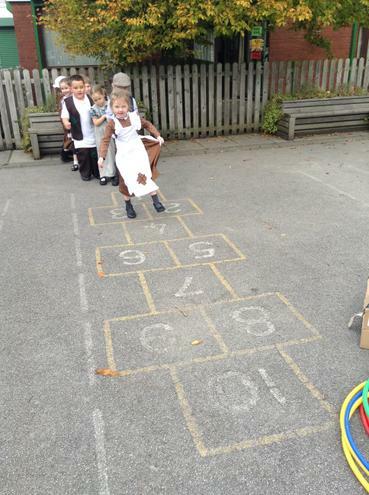 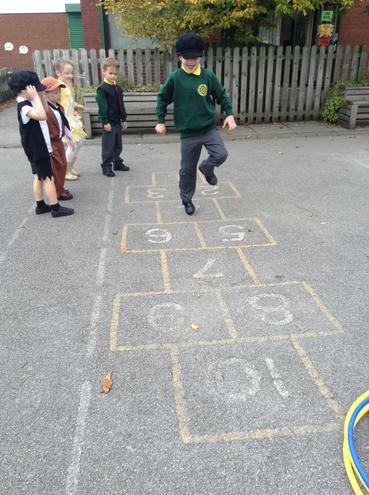 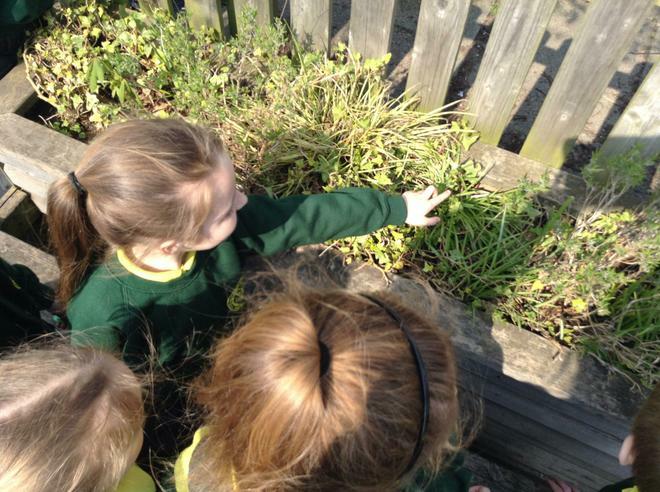 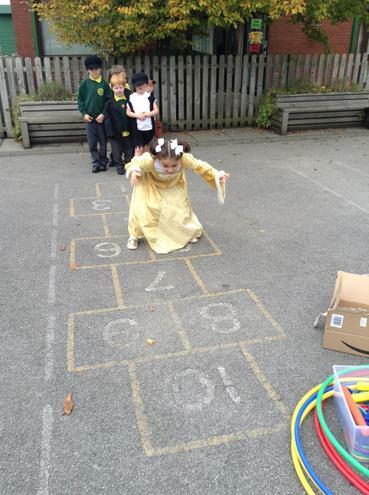 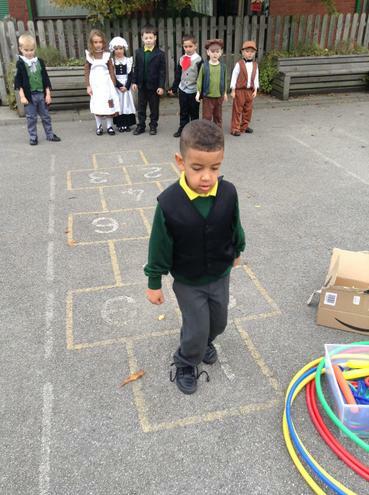 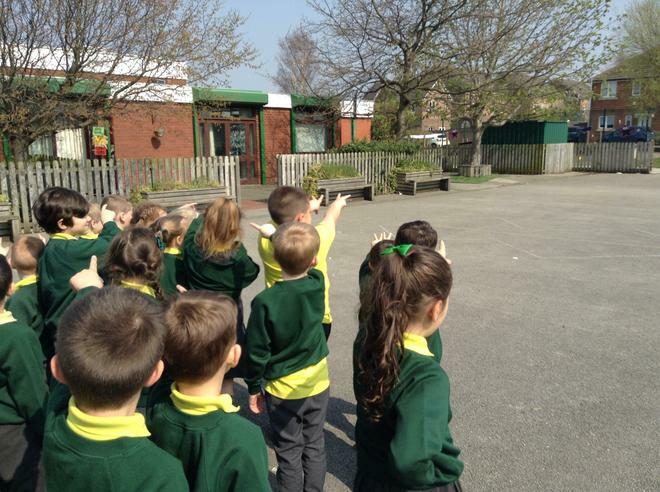 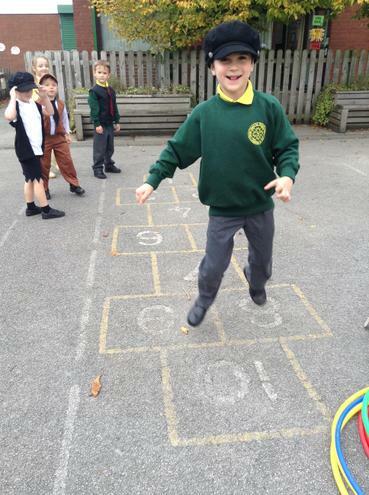 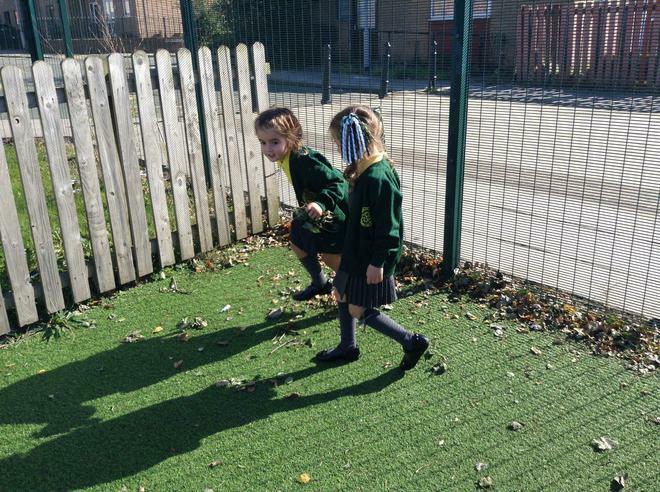 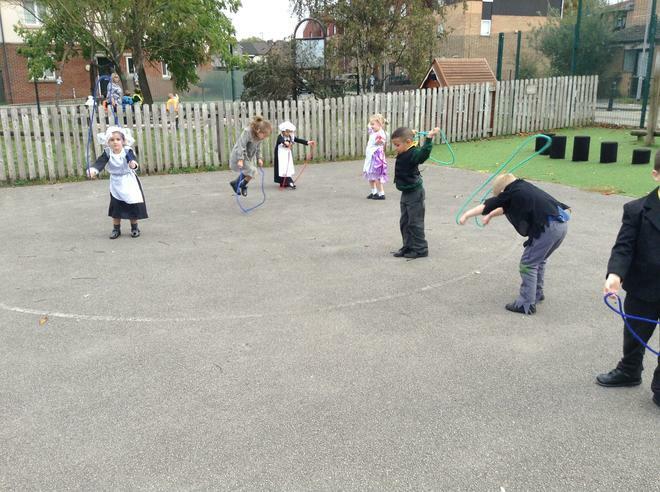 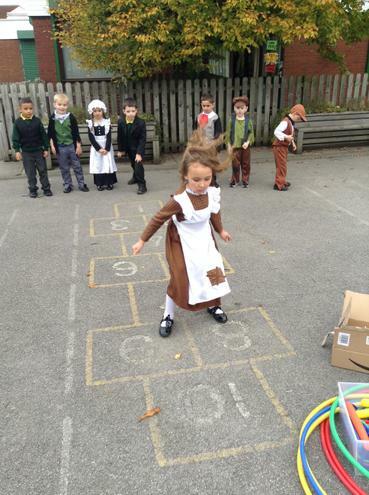 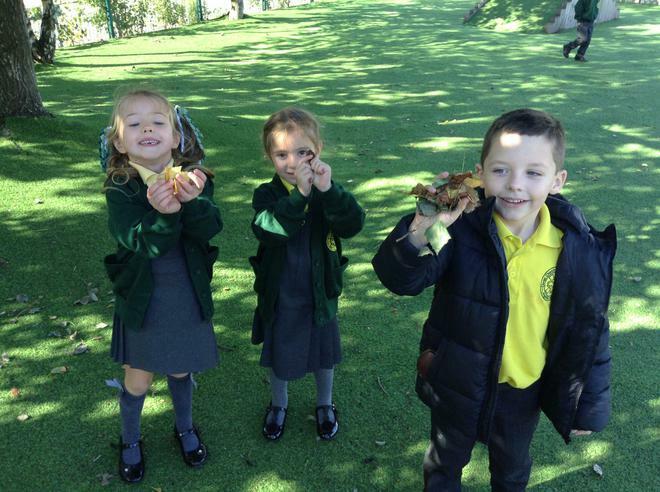 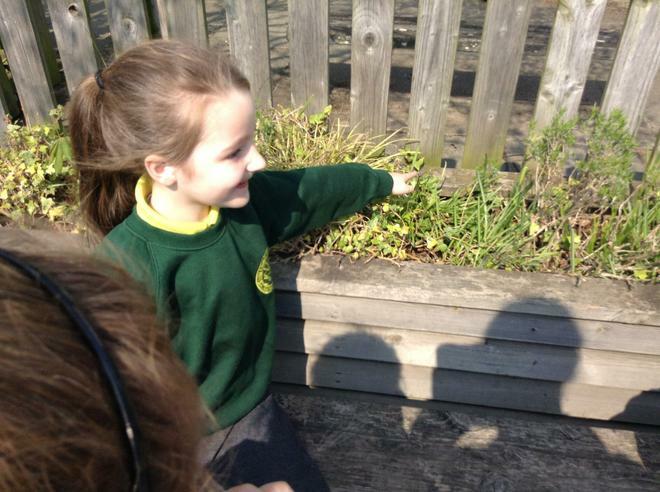 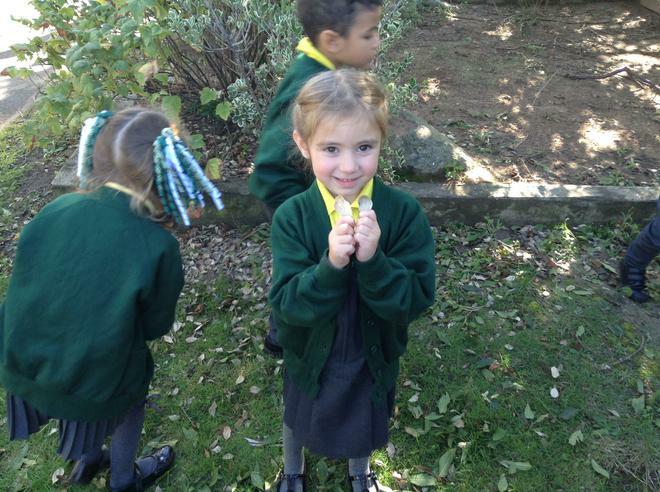 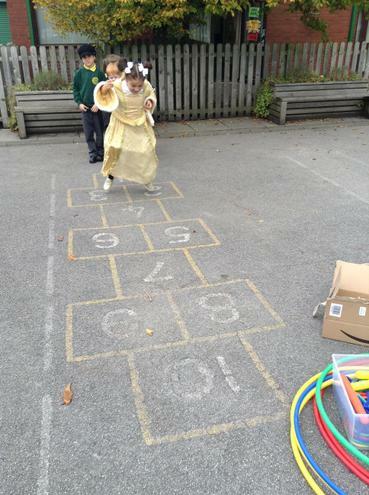 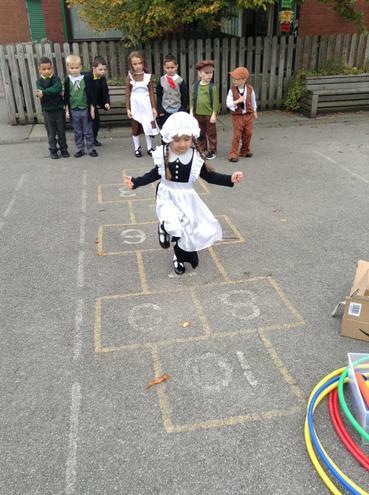 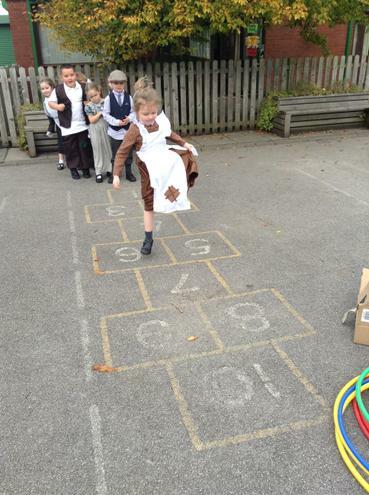 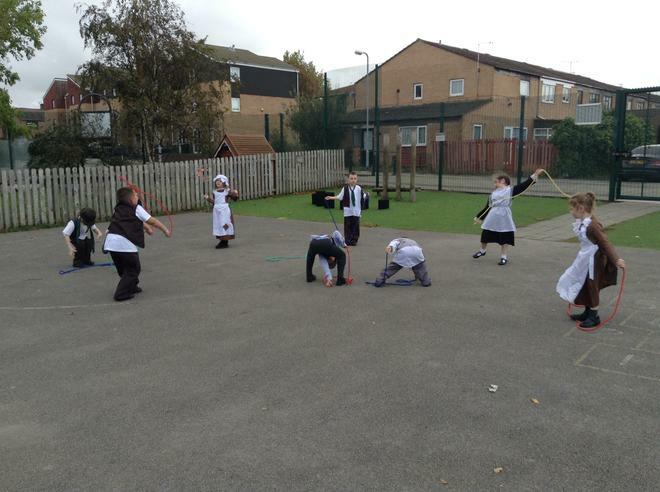 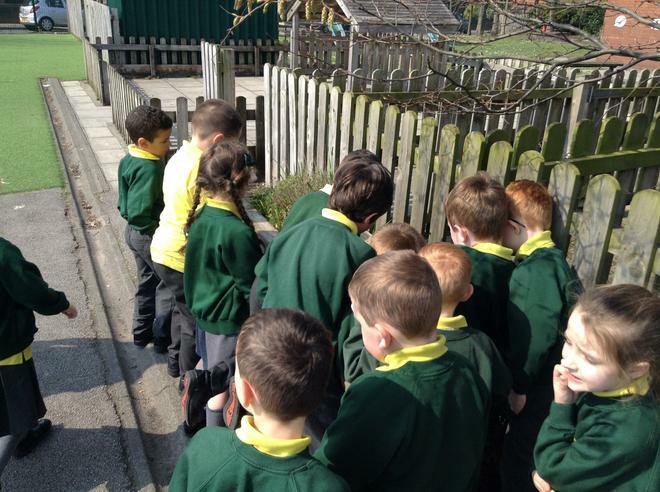 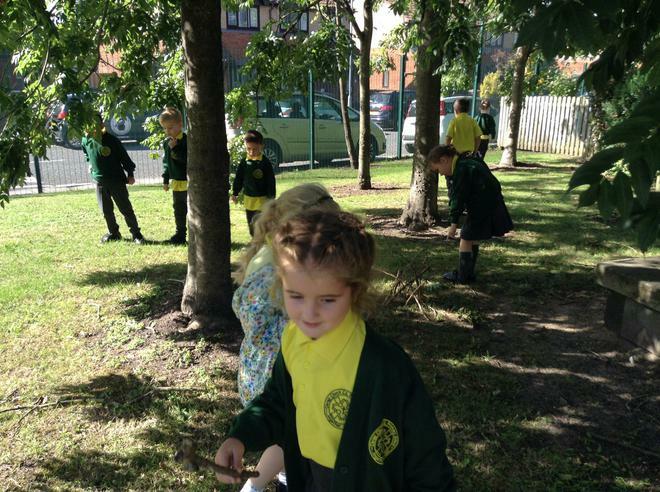 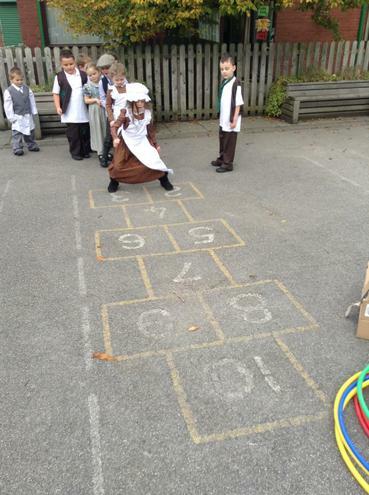 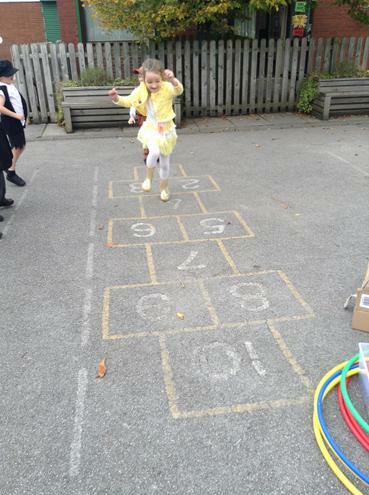 During our Geography lessons this term, we will be exploring our school grounds. 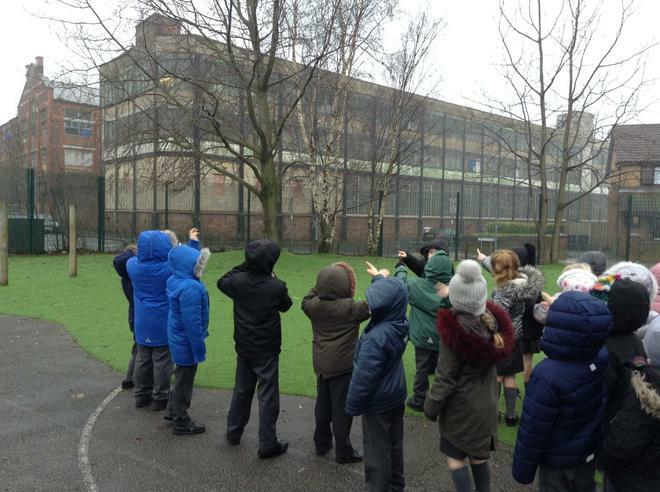 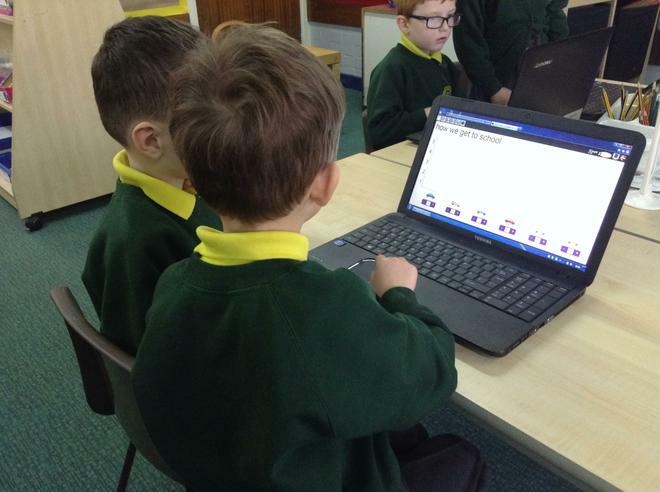 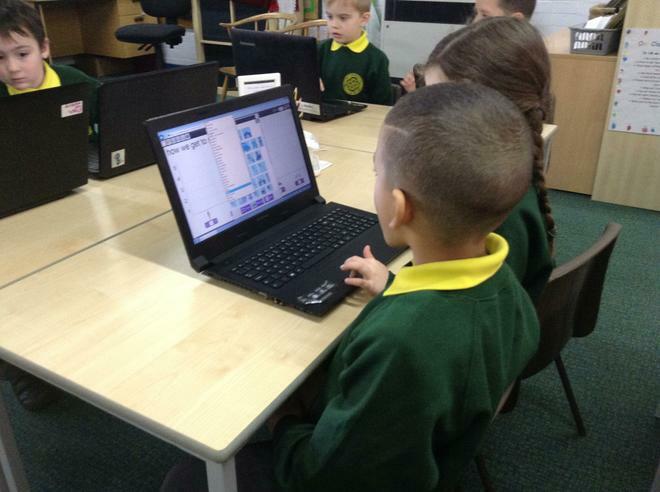 We will be observing the different facilities that our school has as well as expressing what we like and dislike about different parts of our school. 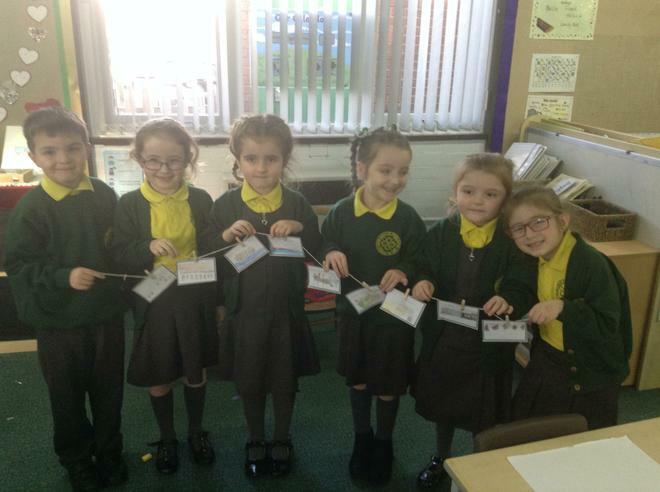 We will also be creating our own 'messy maps' of our KS1 part of school and creating our own key so that we could add symbols to our 'messy maps'.